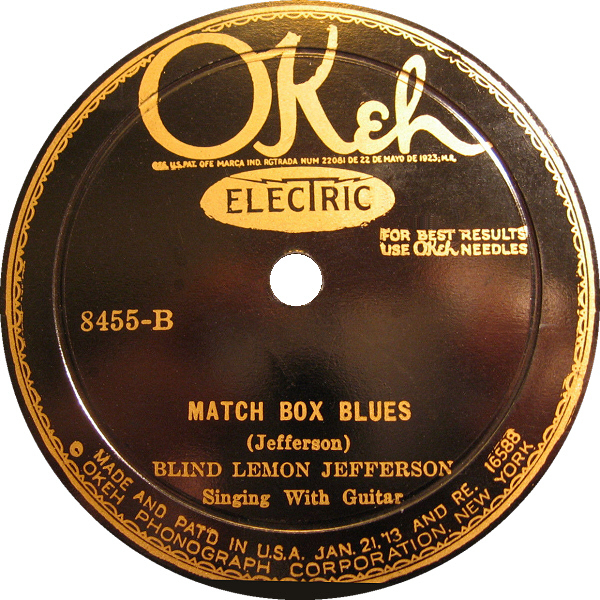 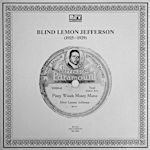 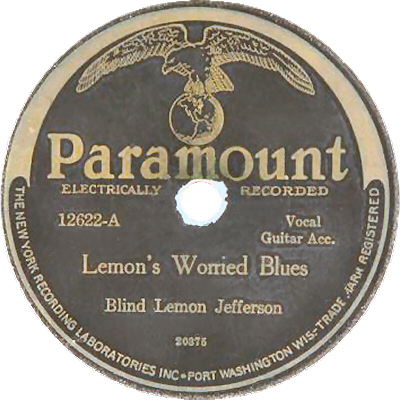 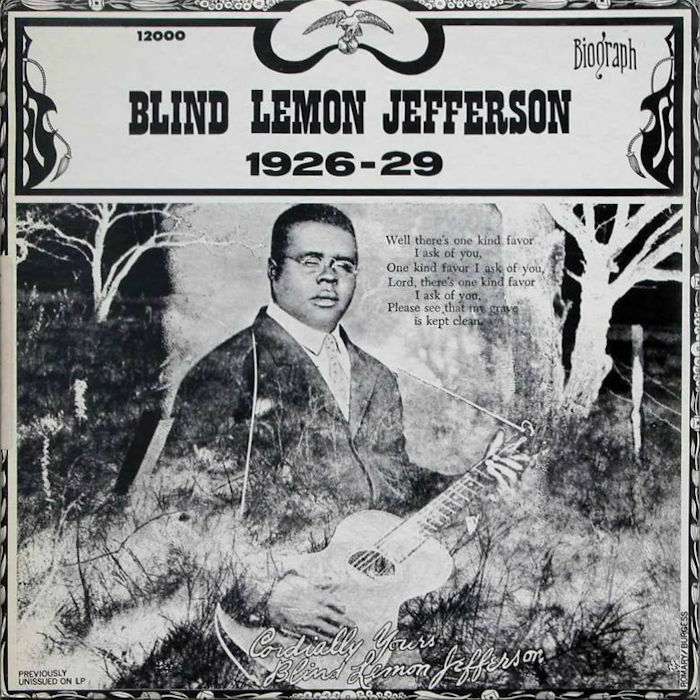 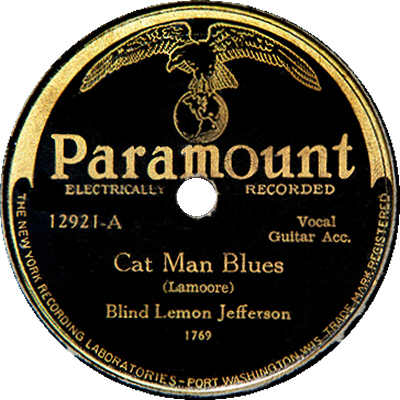 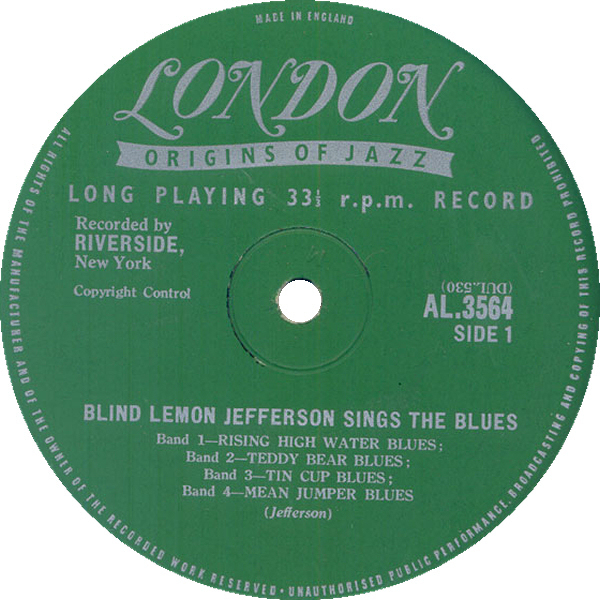 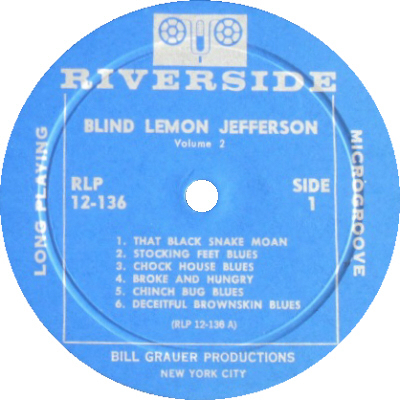 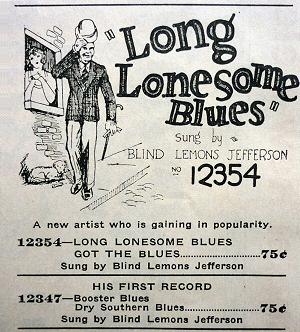 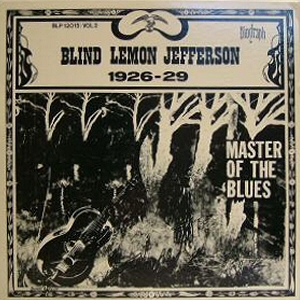 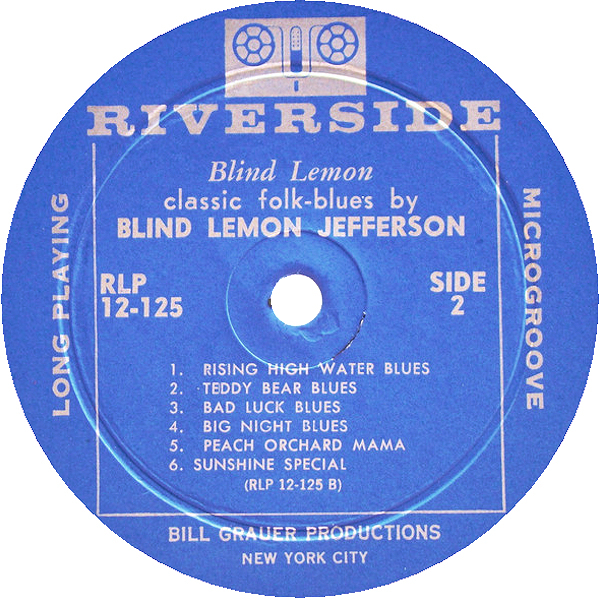 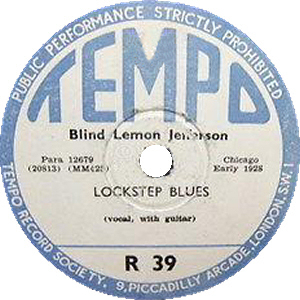 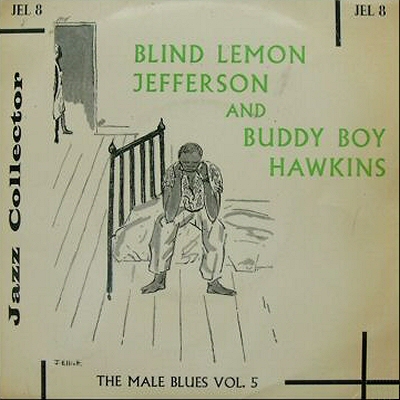 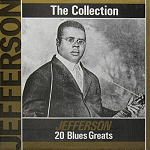 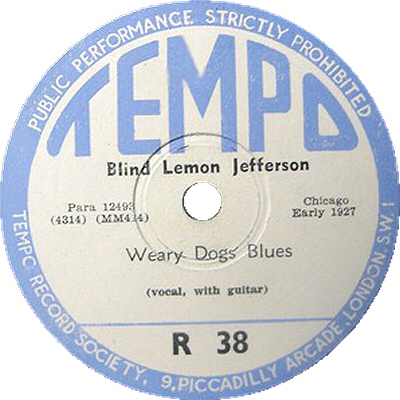 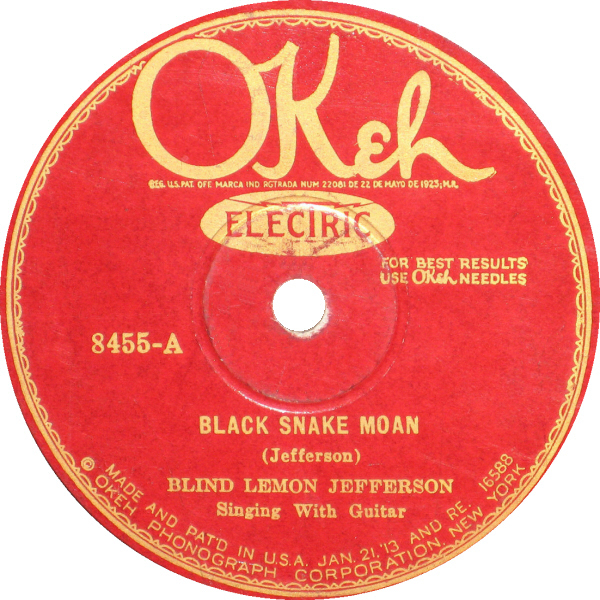 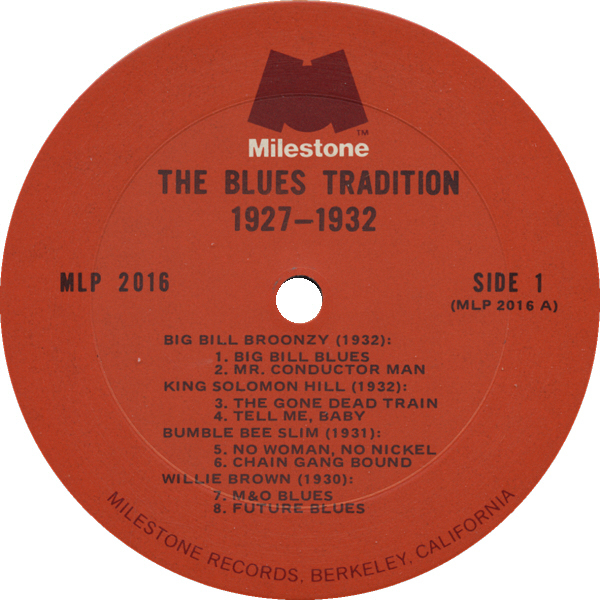 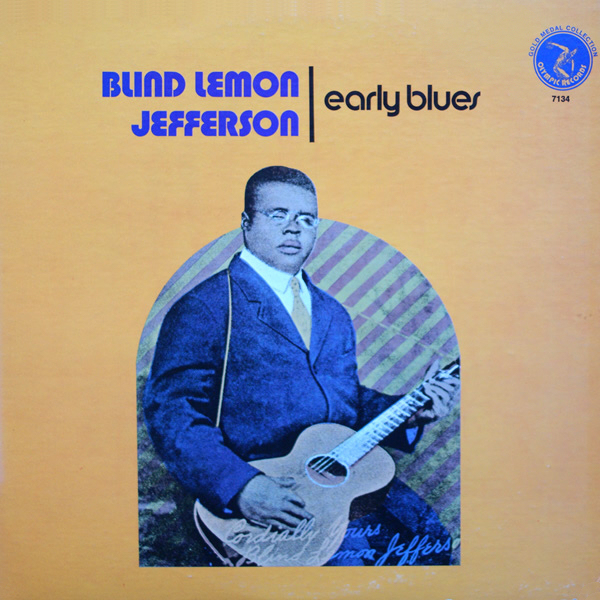 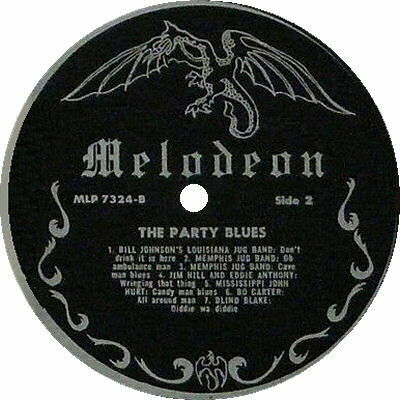 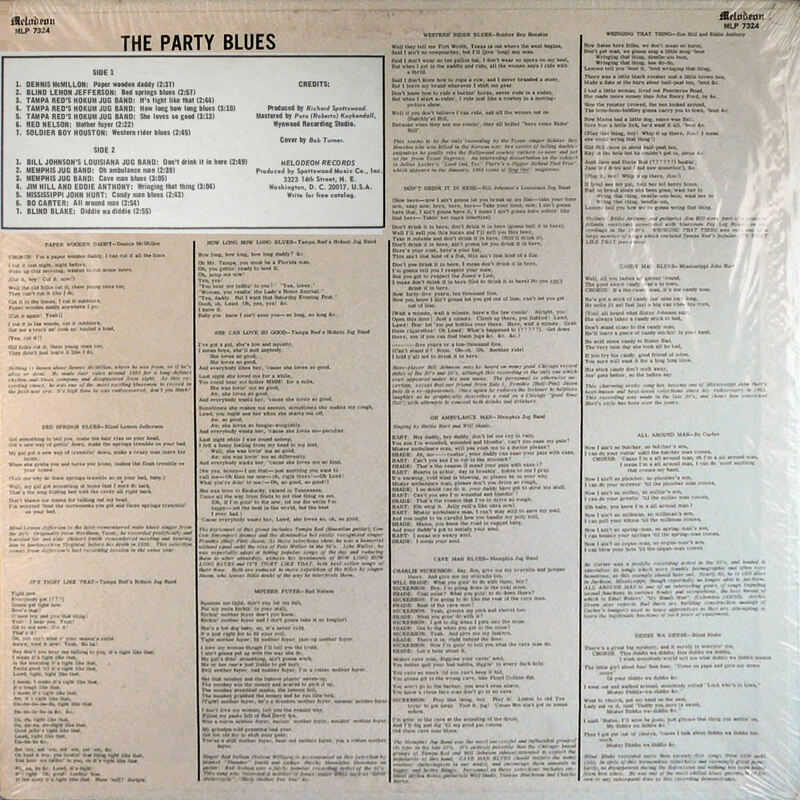 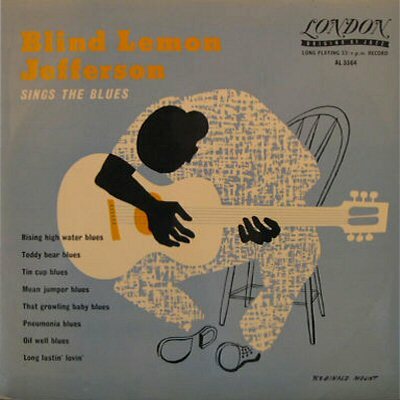 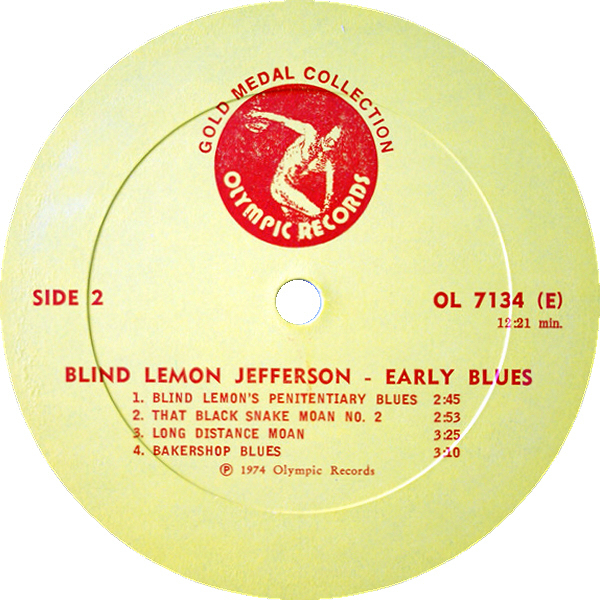 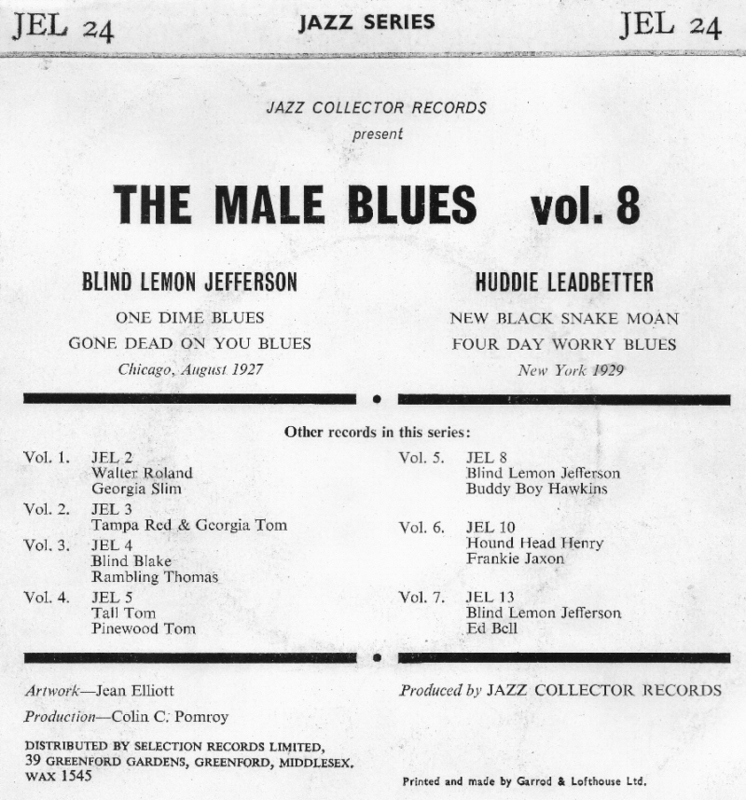 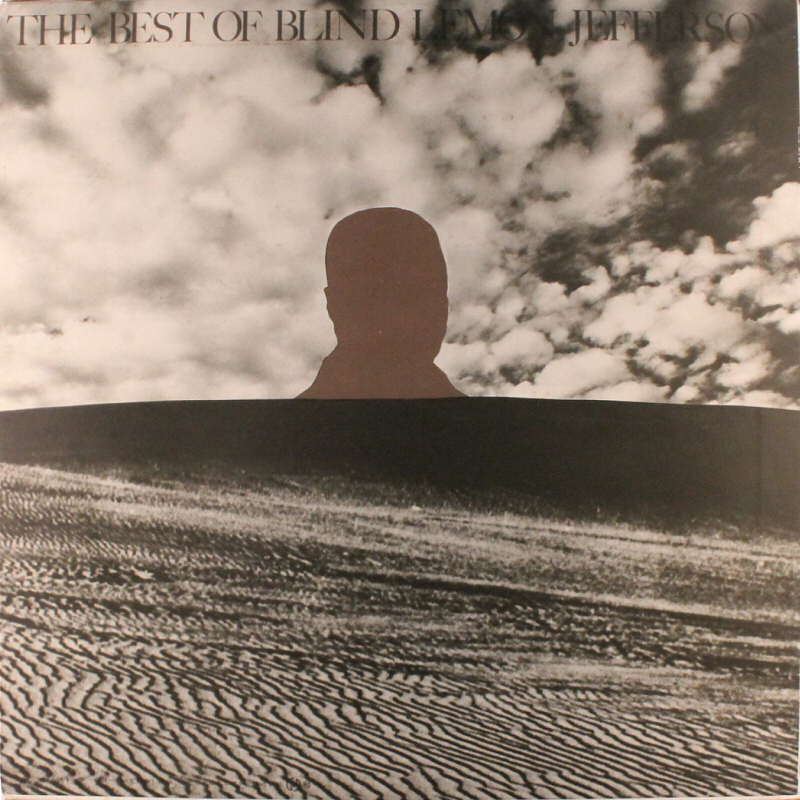 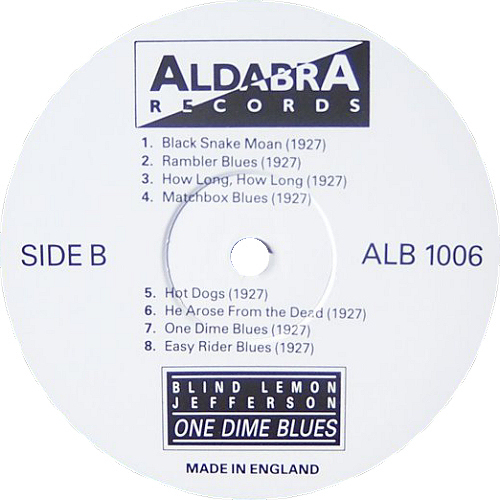 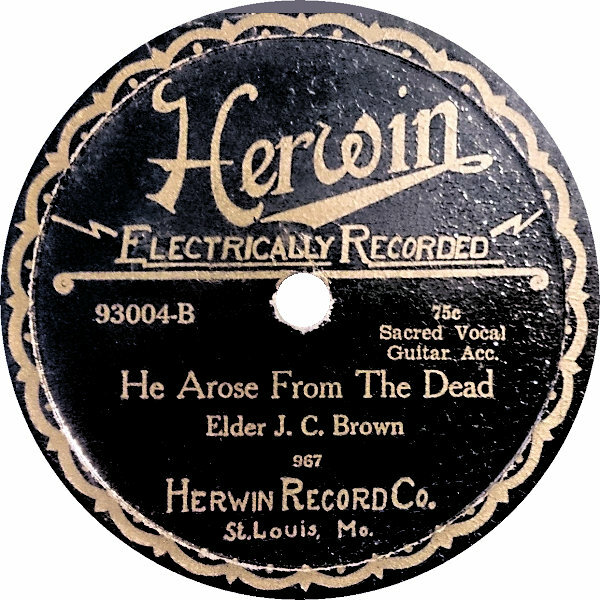 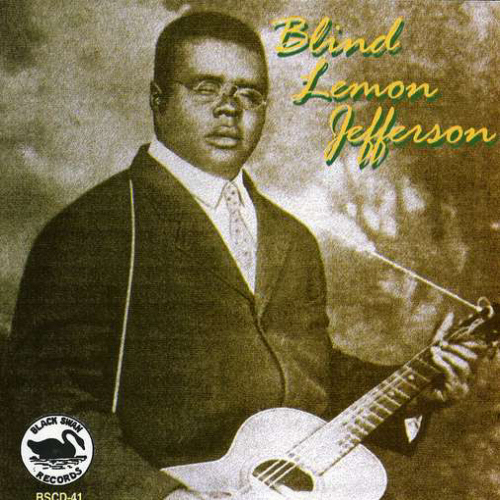 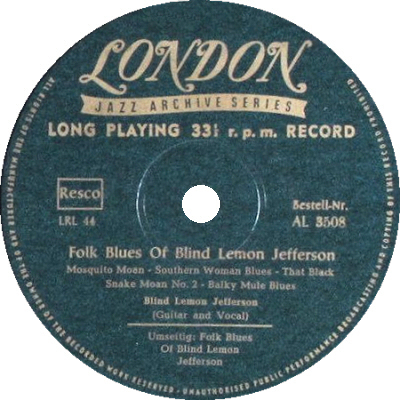 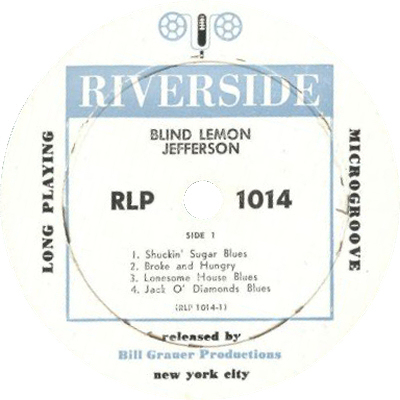 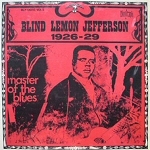 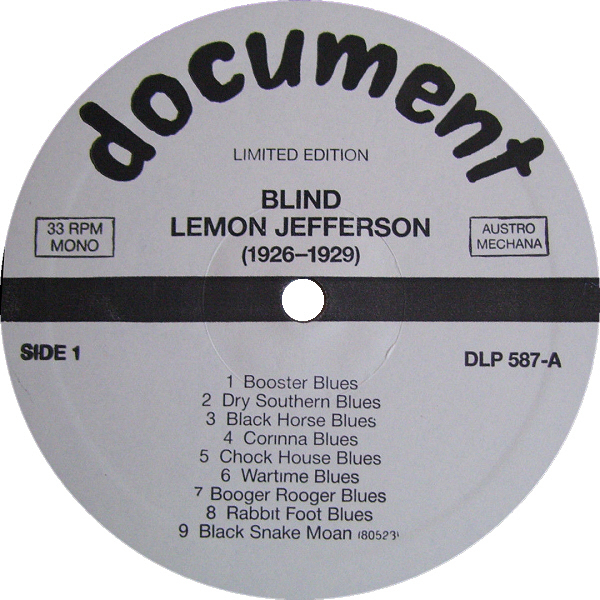 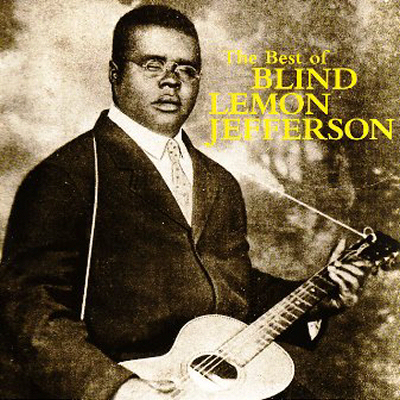 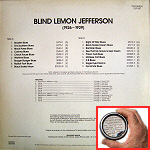 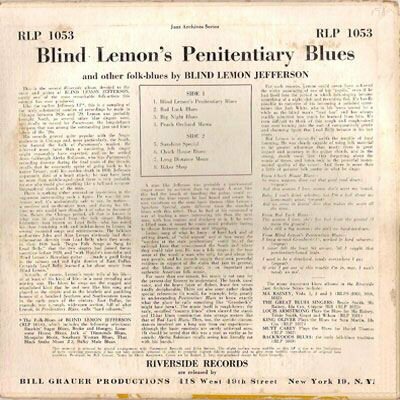 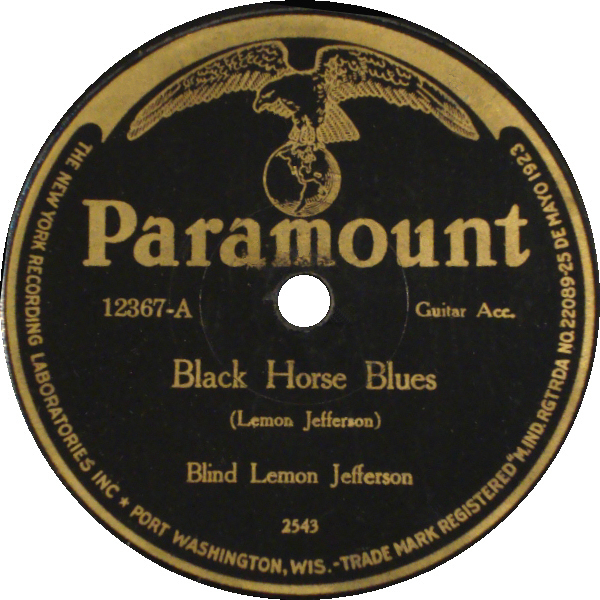 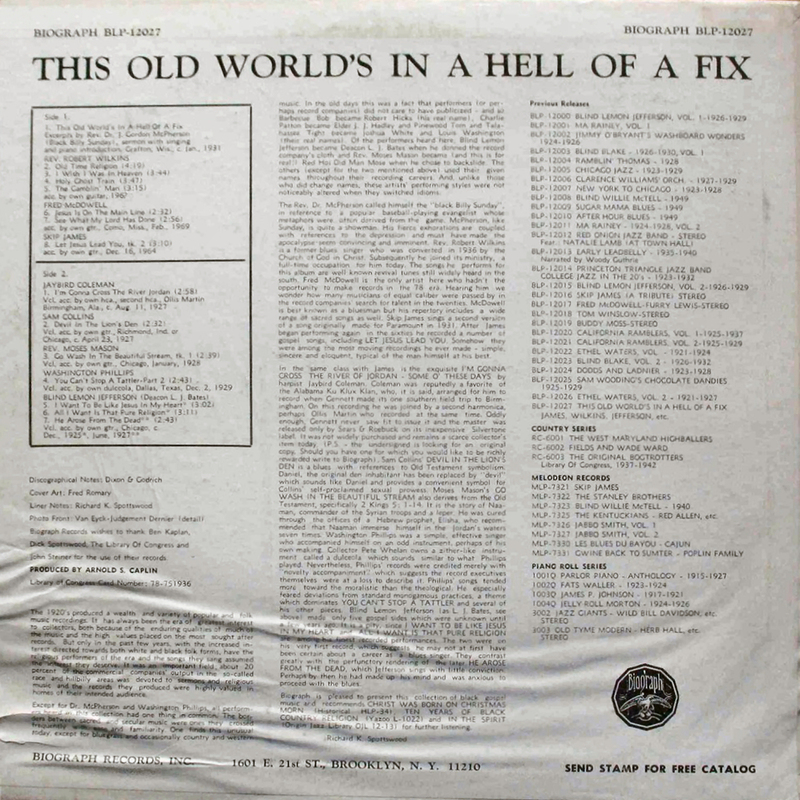 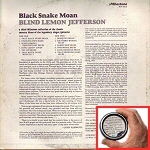 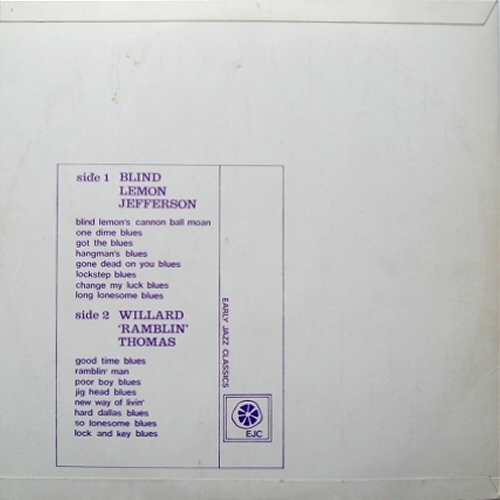 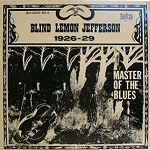 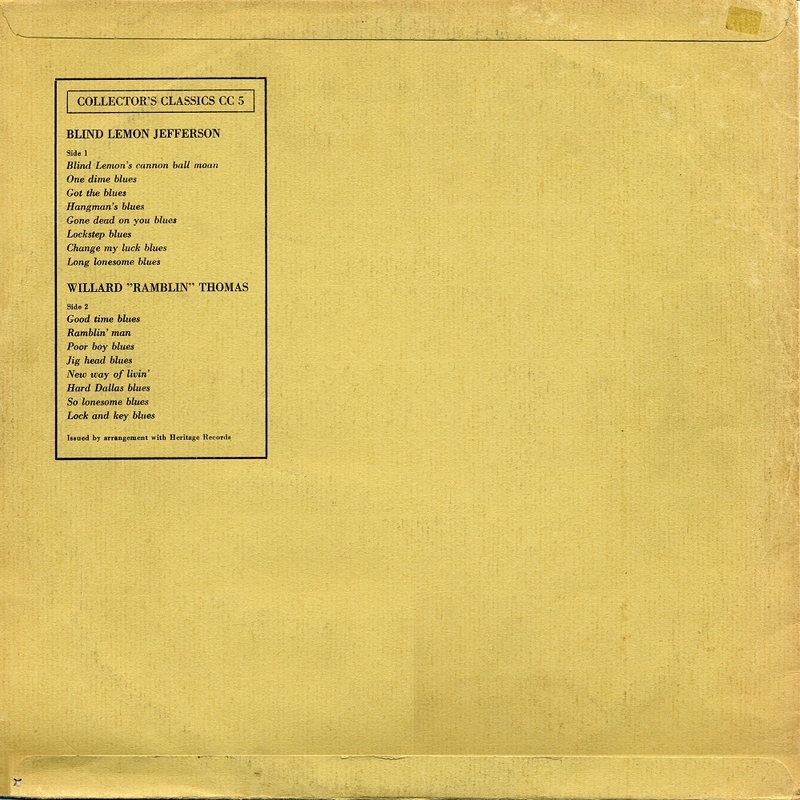 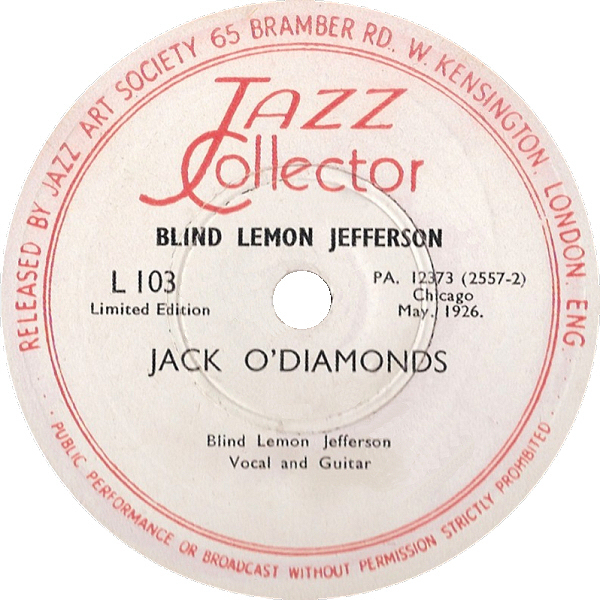 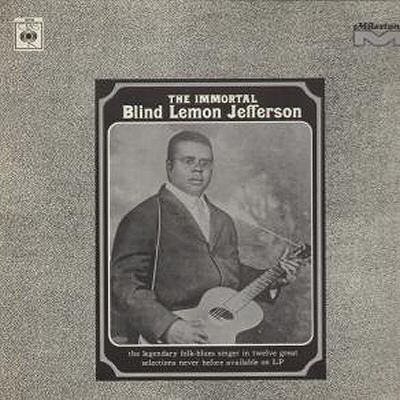 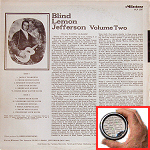 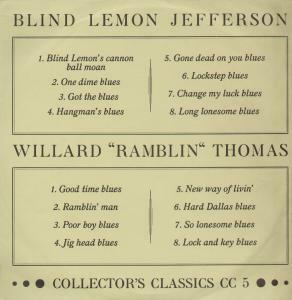 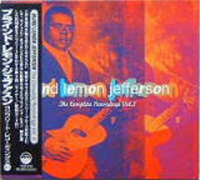 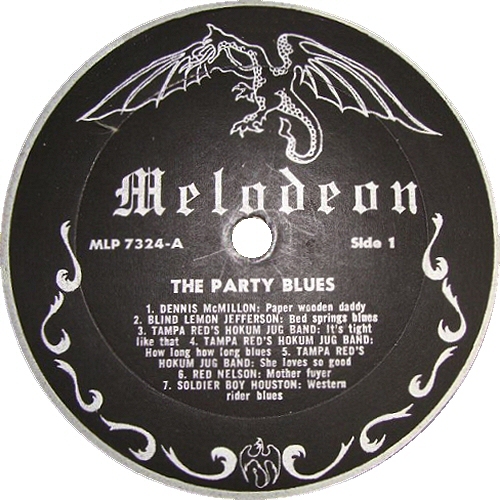 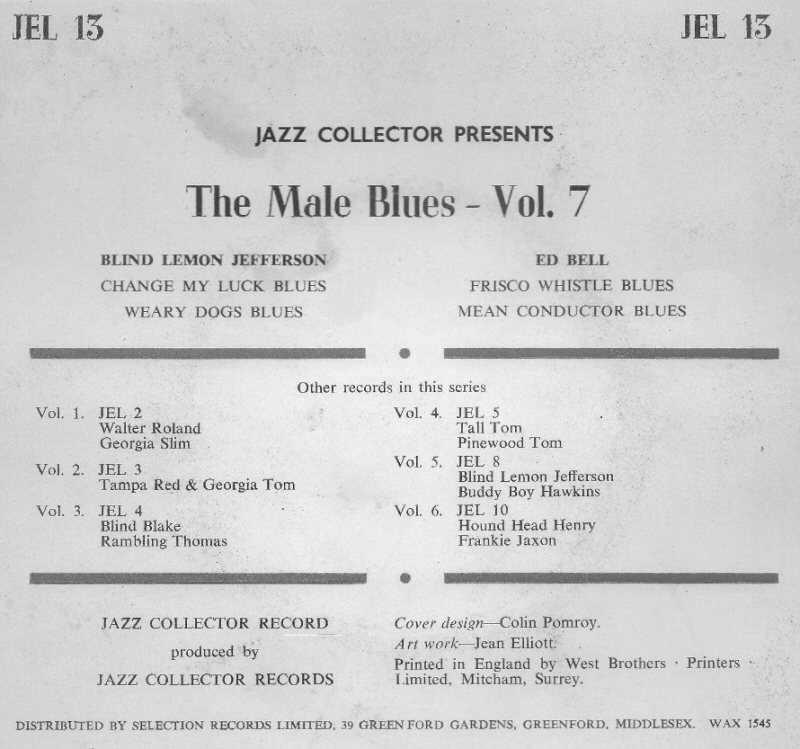 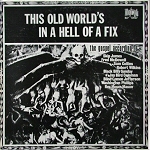 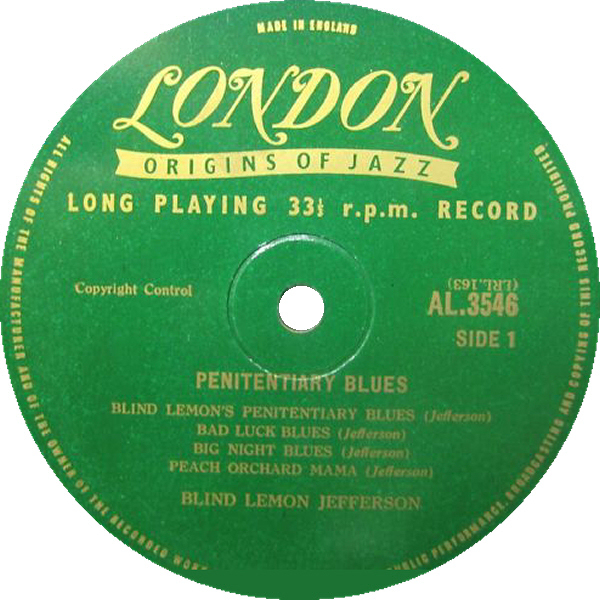 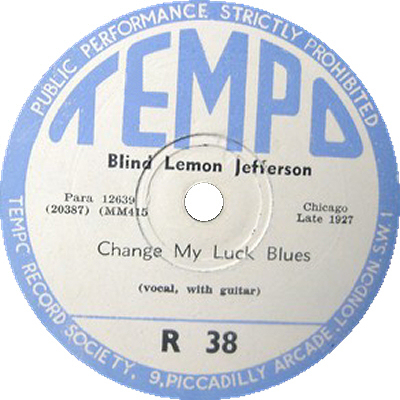 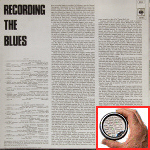 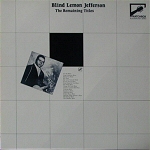 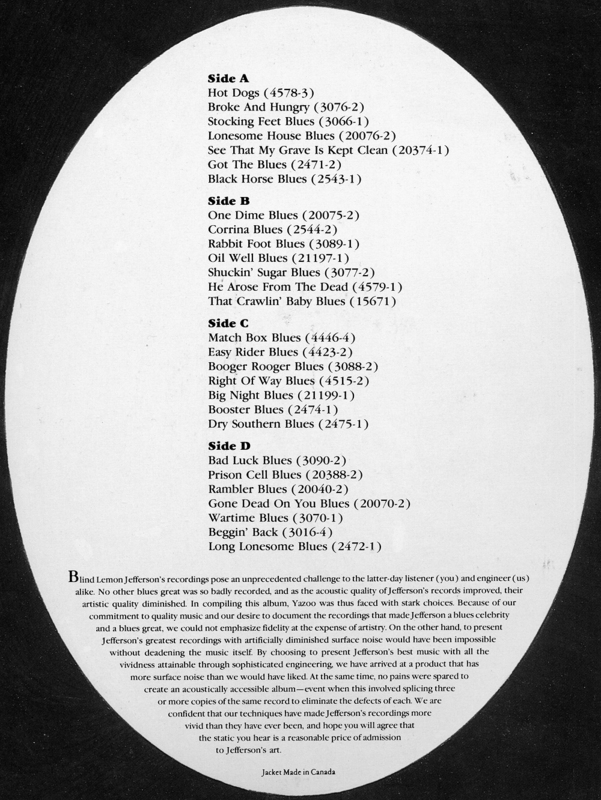 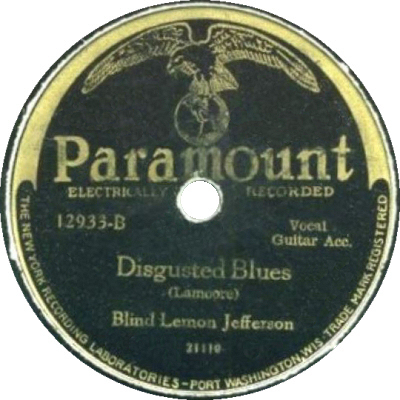 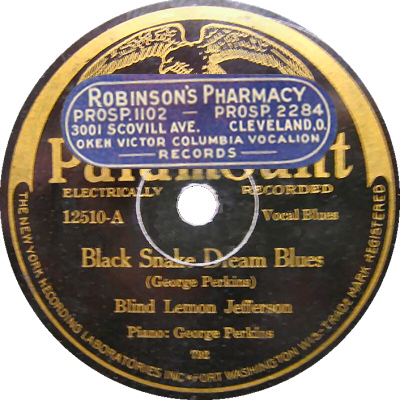 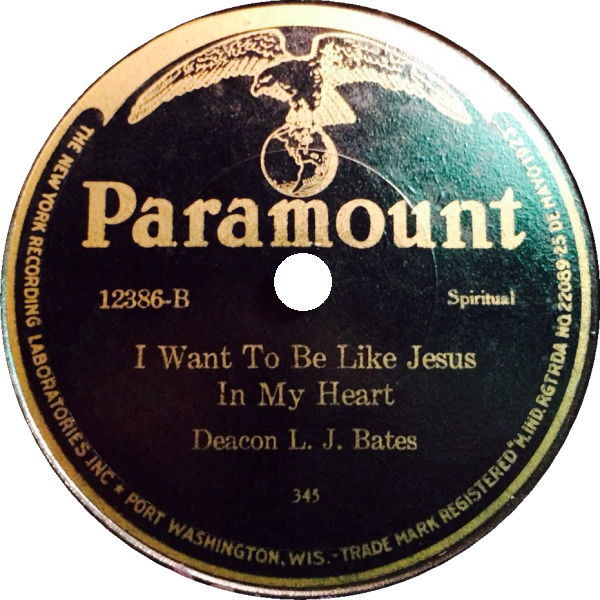 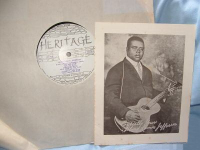 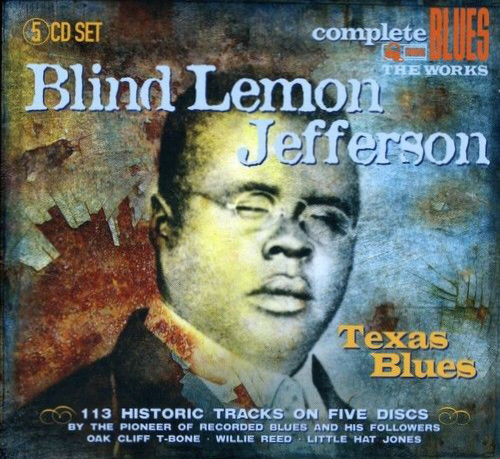 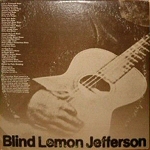 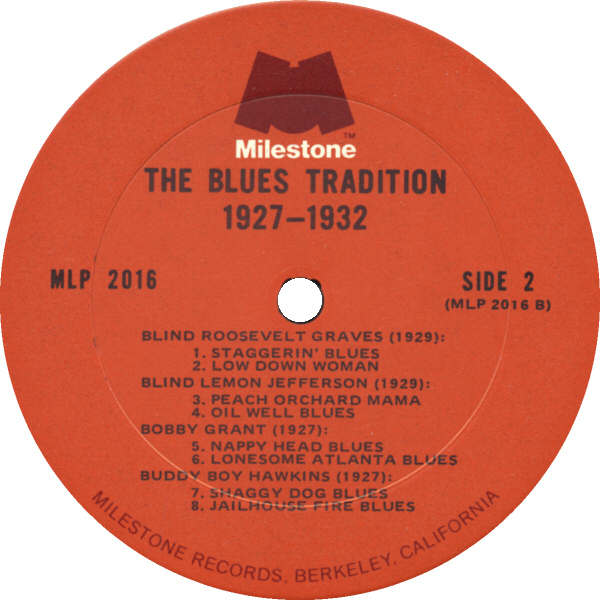 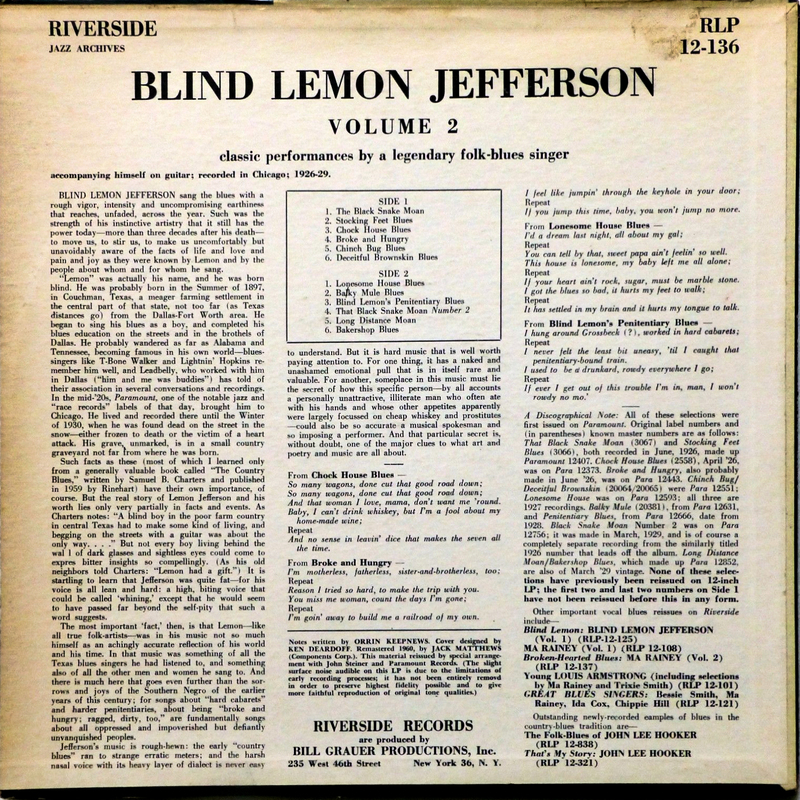 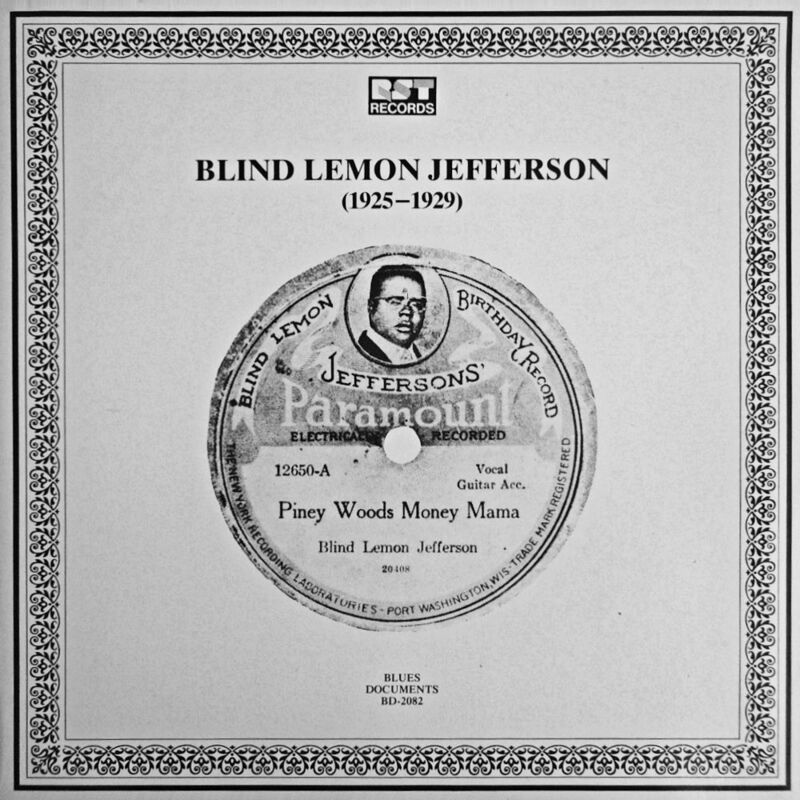 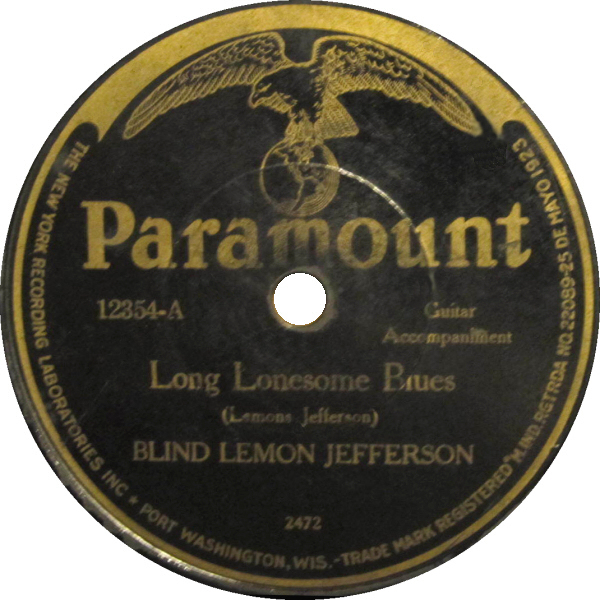 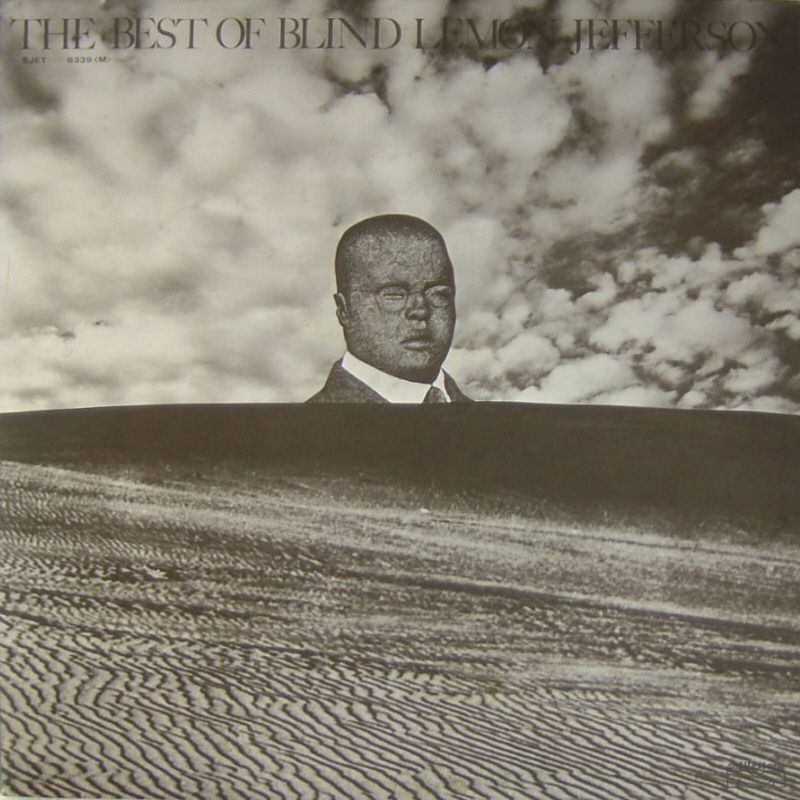 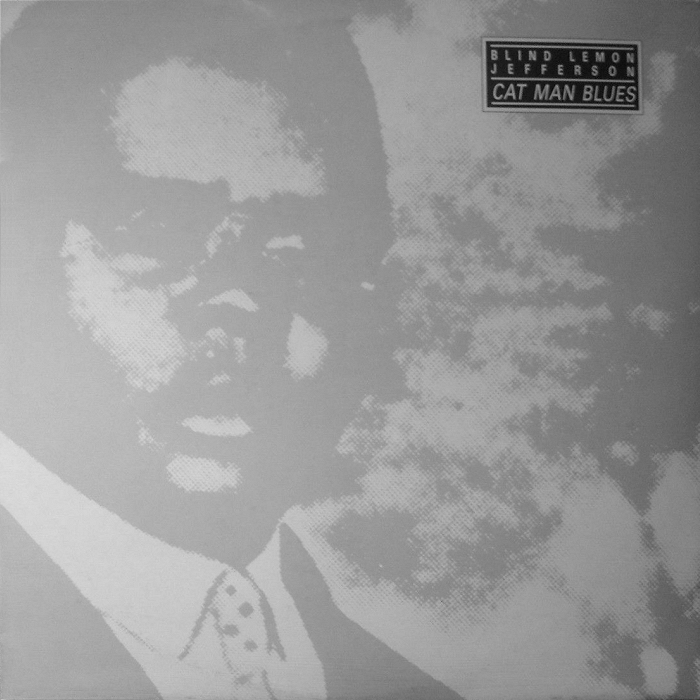 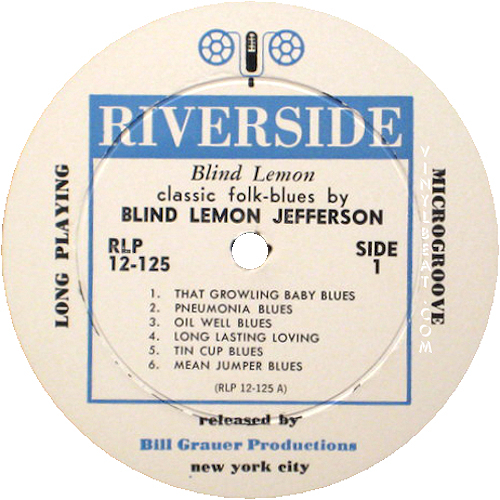 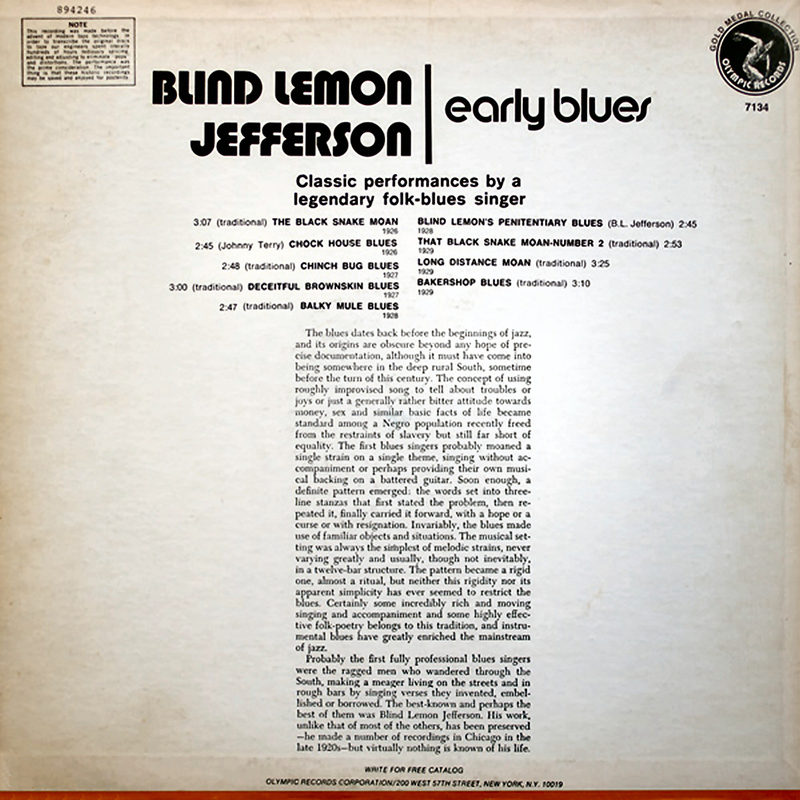 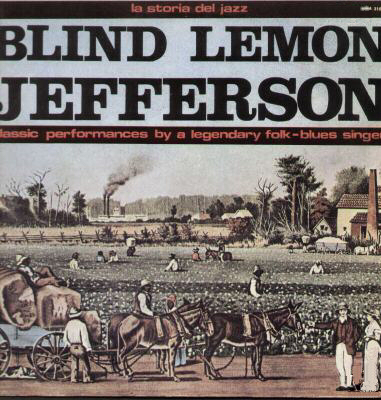 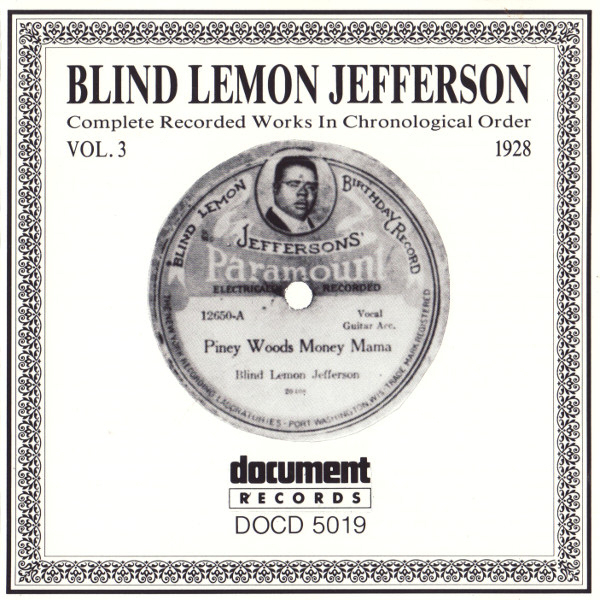 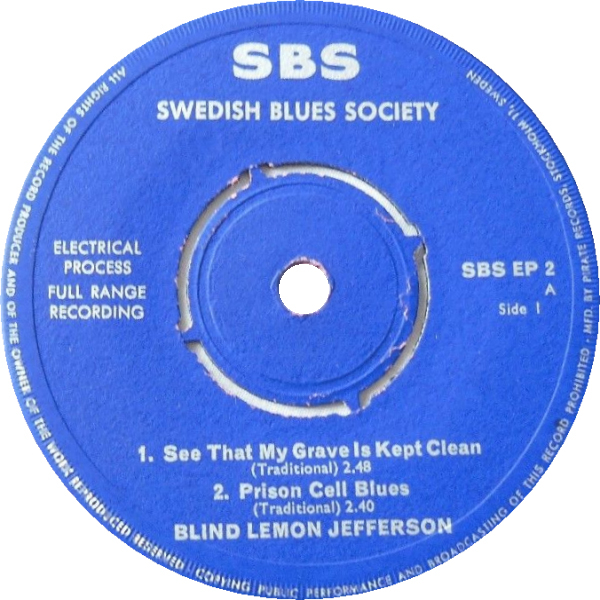 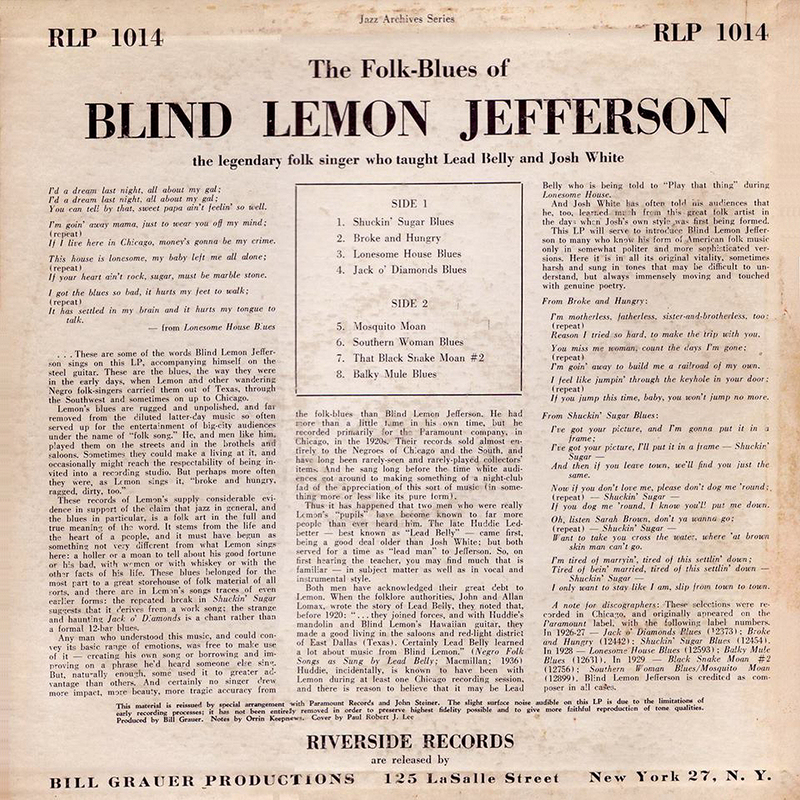 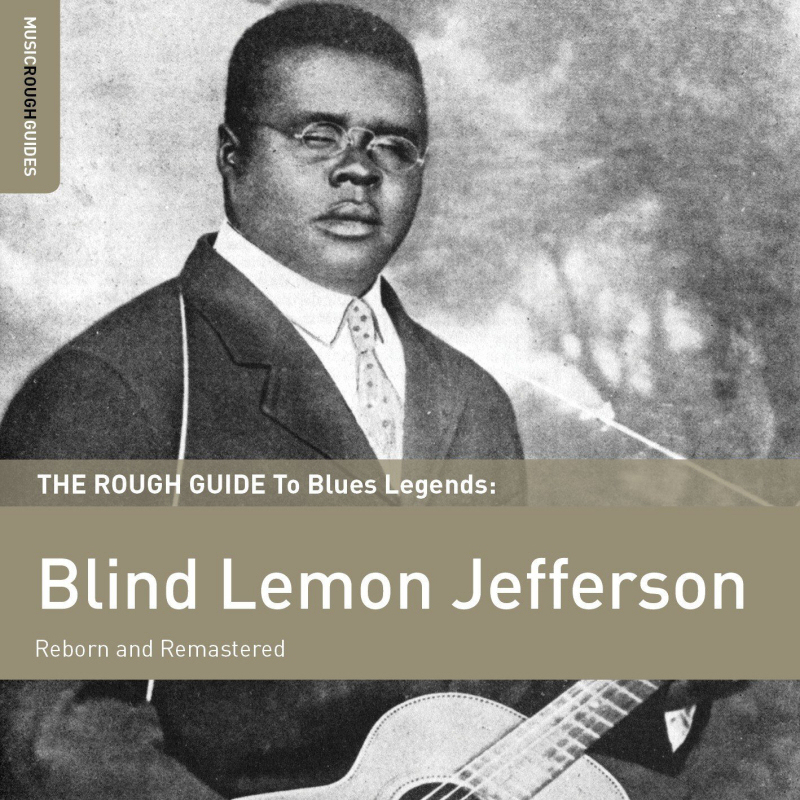 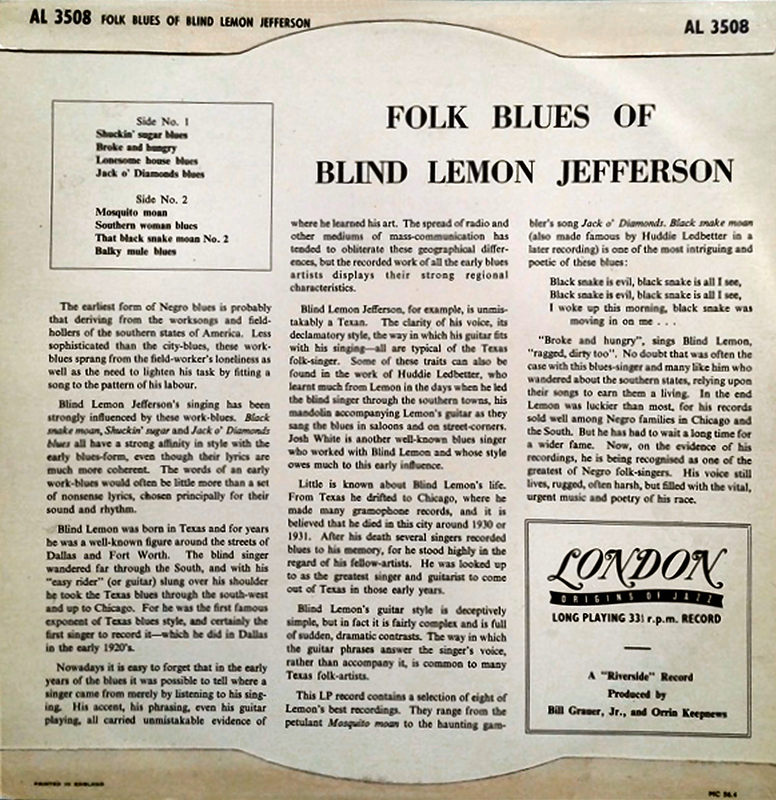 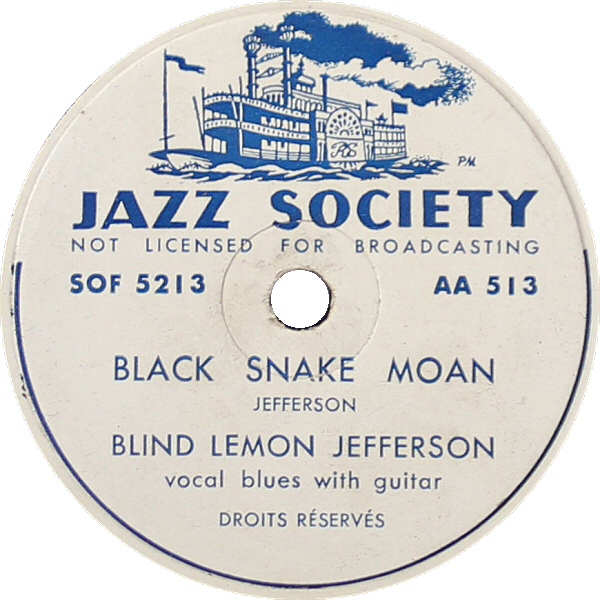 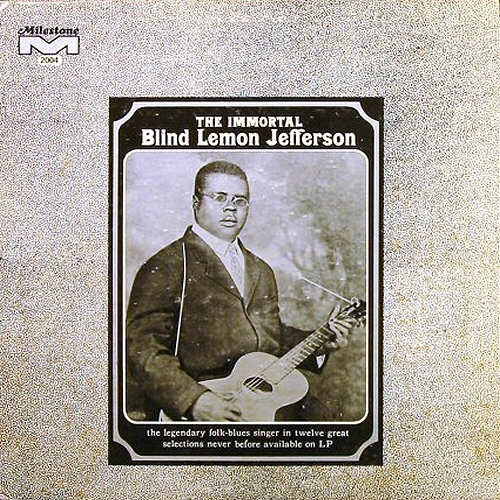 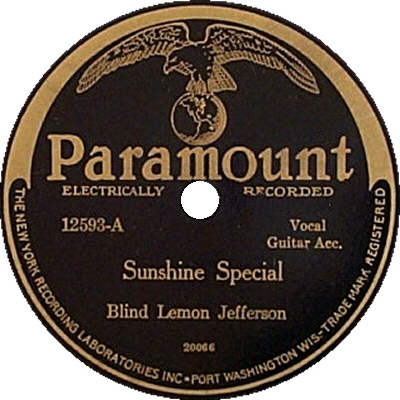 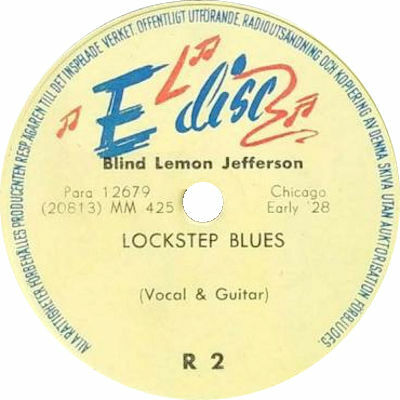 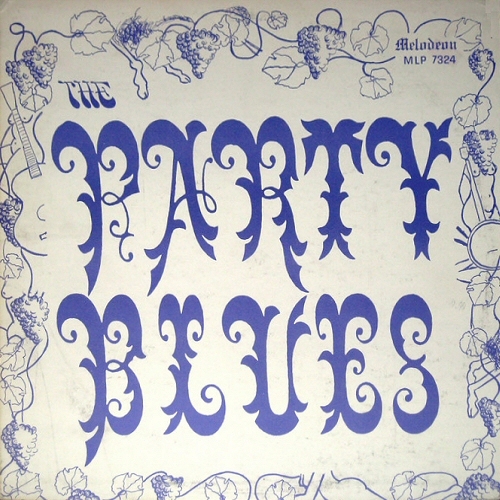 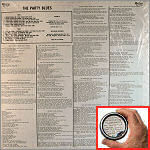 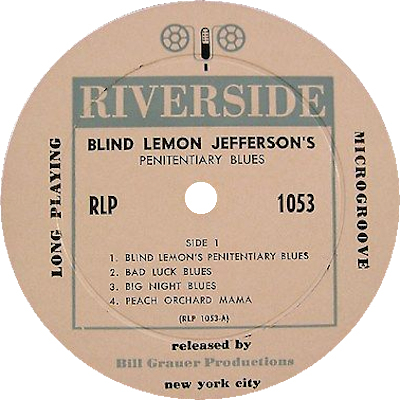 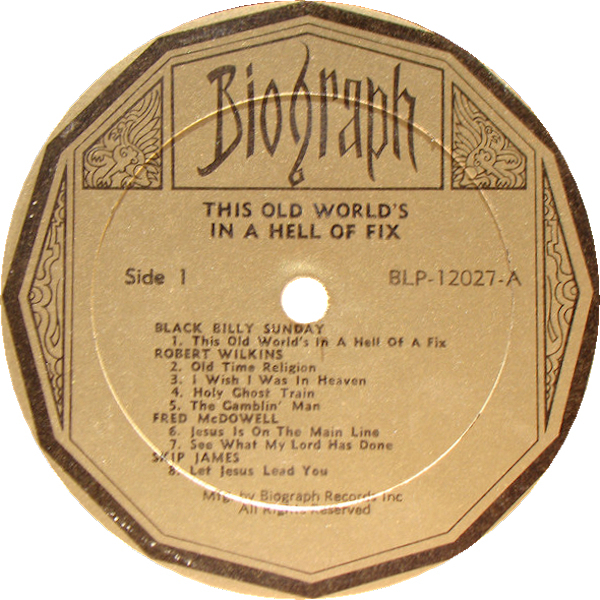 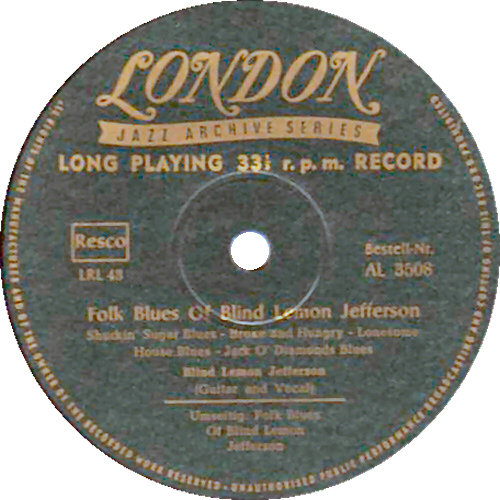 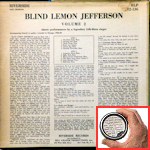 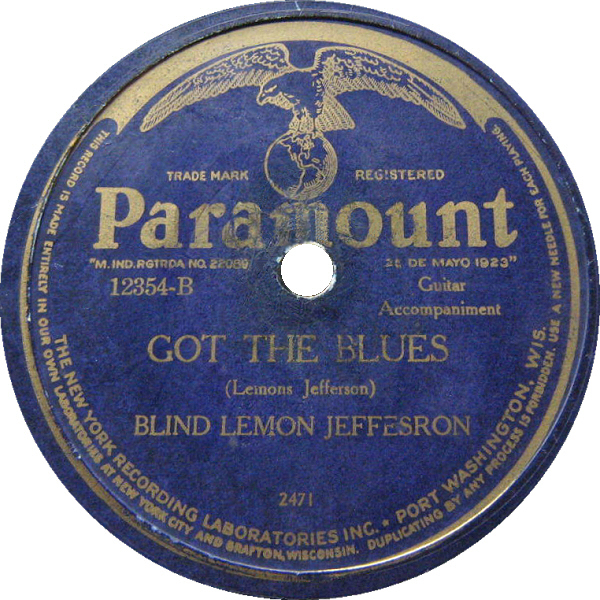 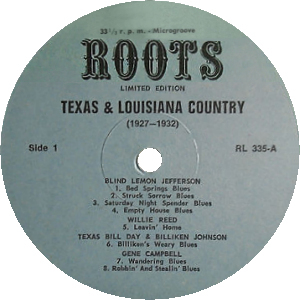 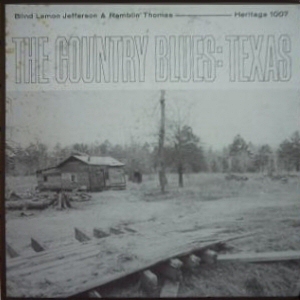 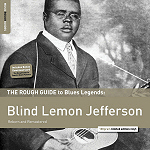 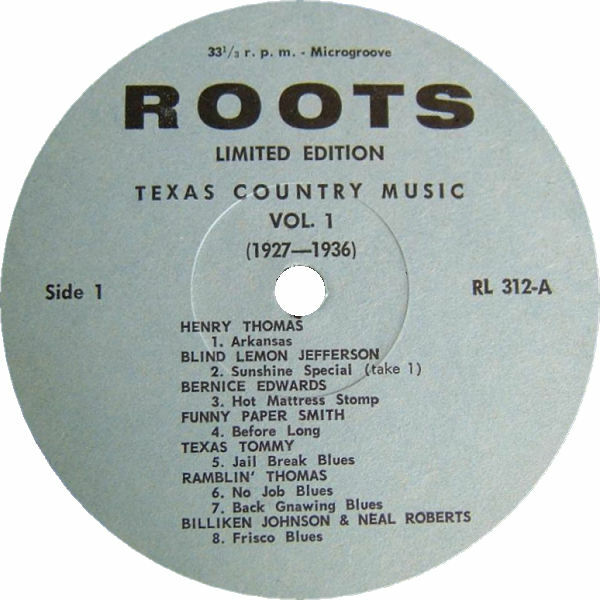 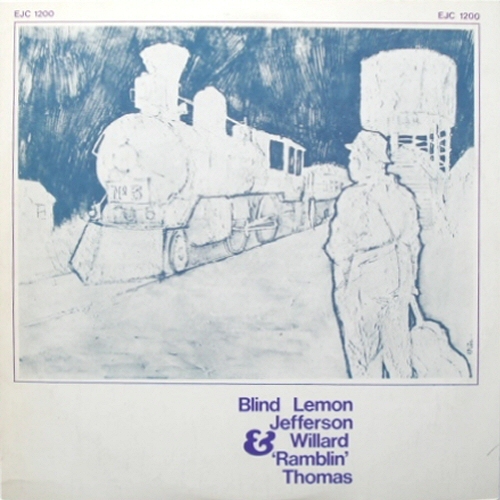 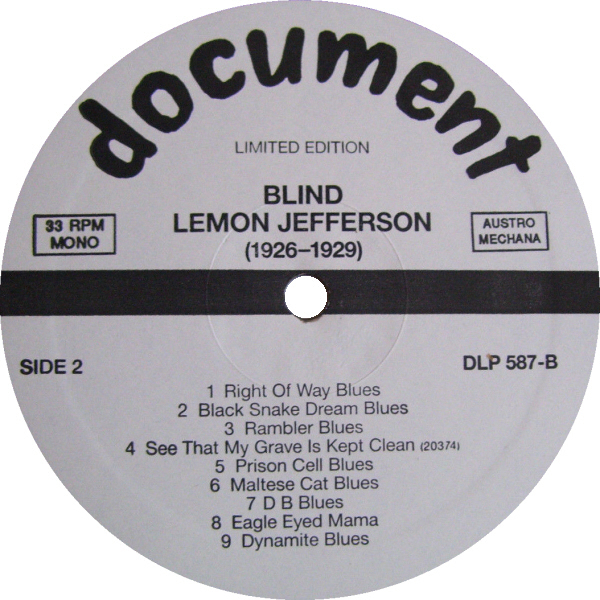 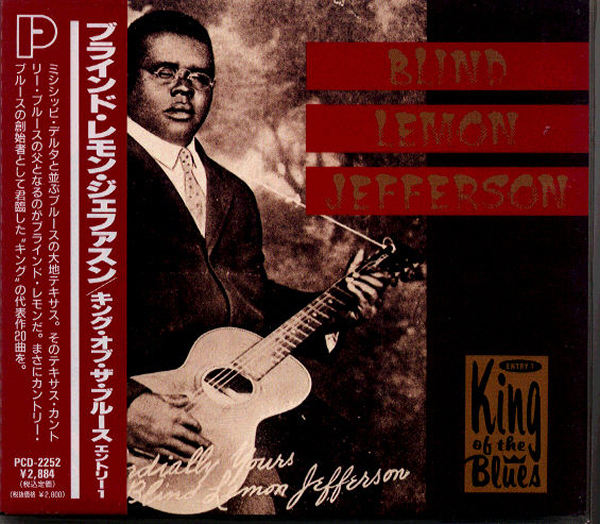 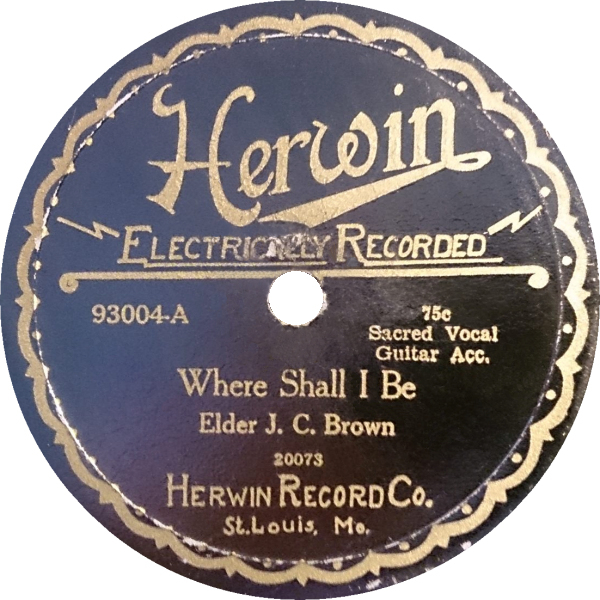 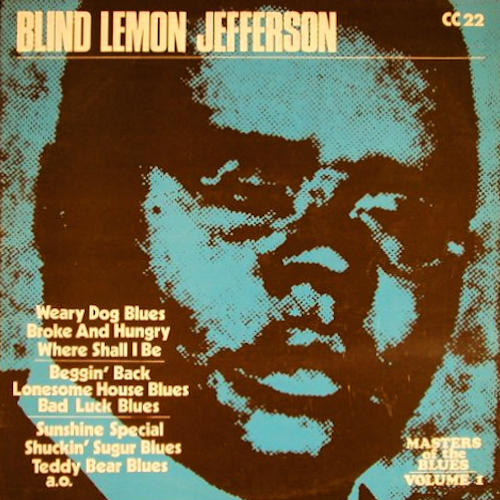 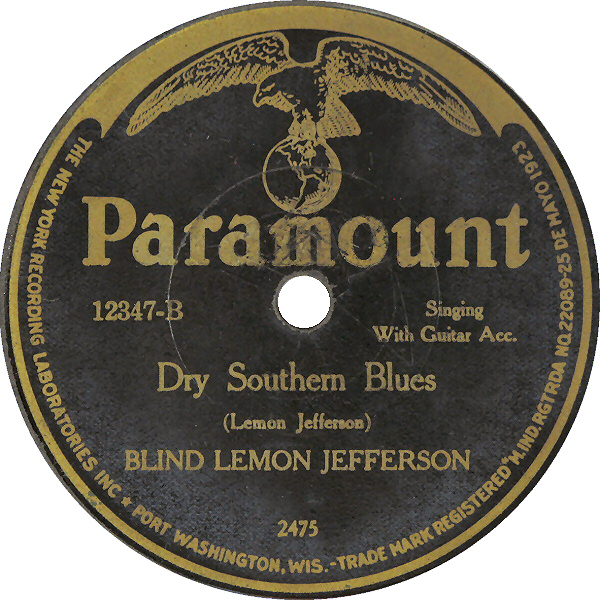 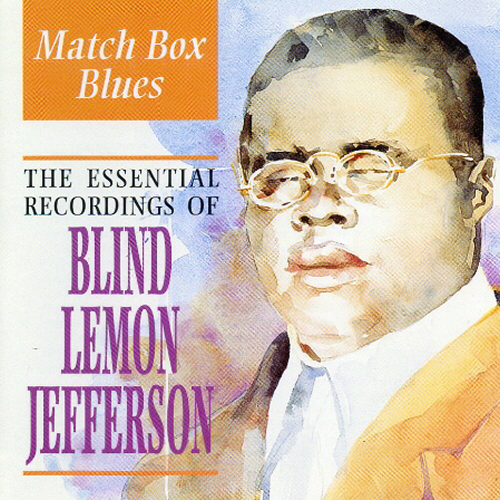 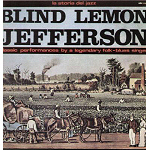 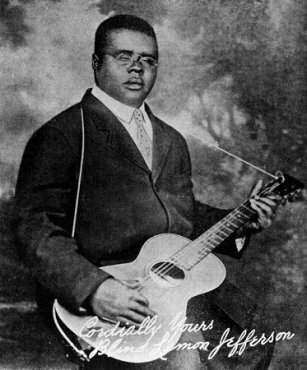 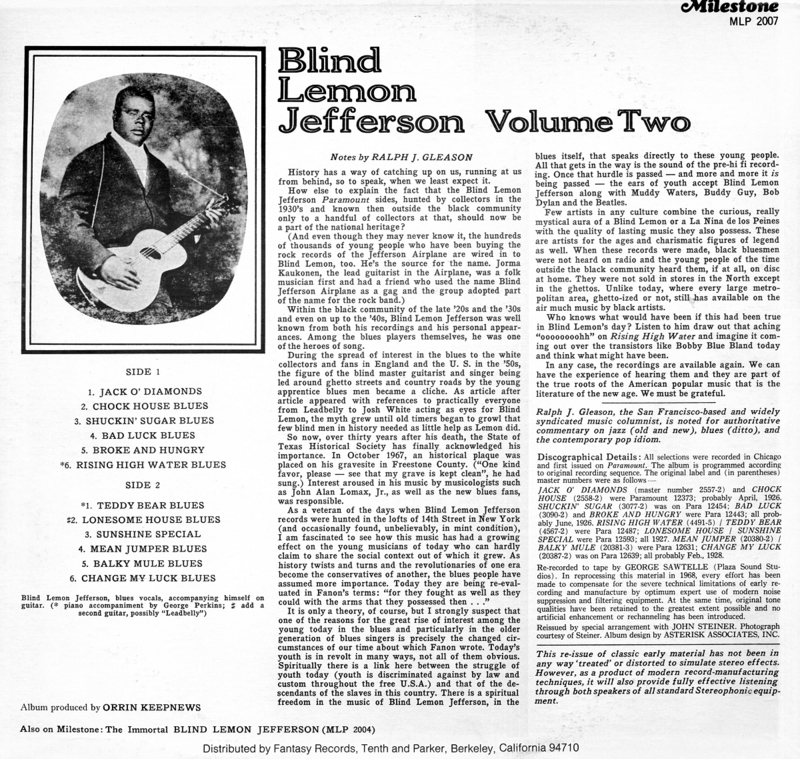 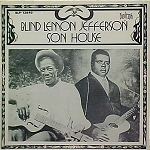 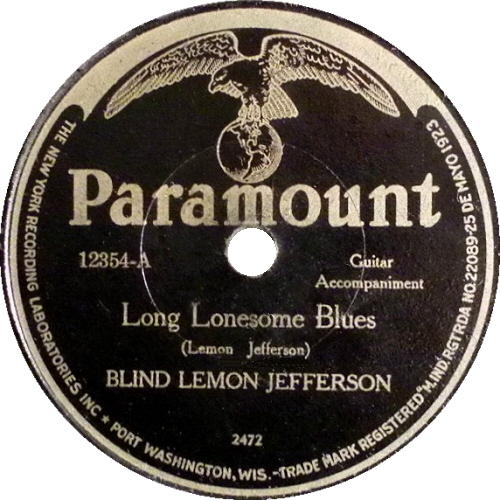 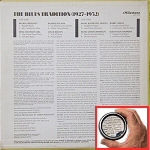 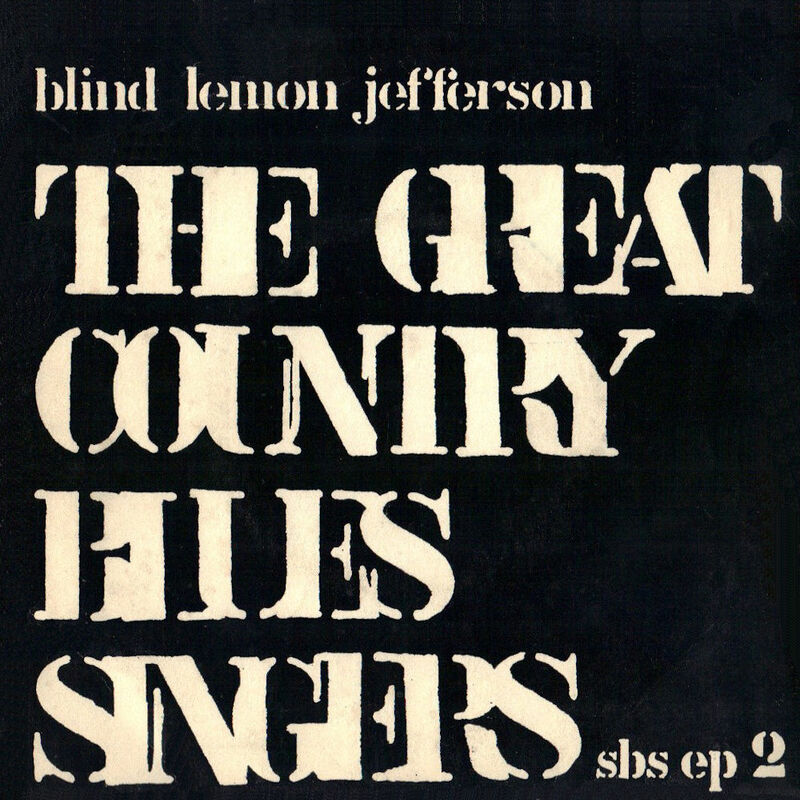 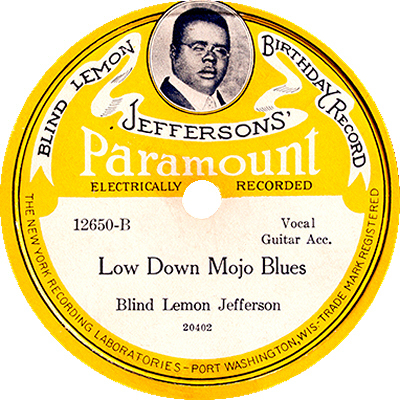 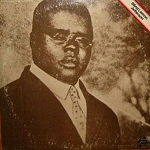 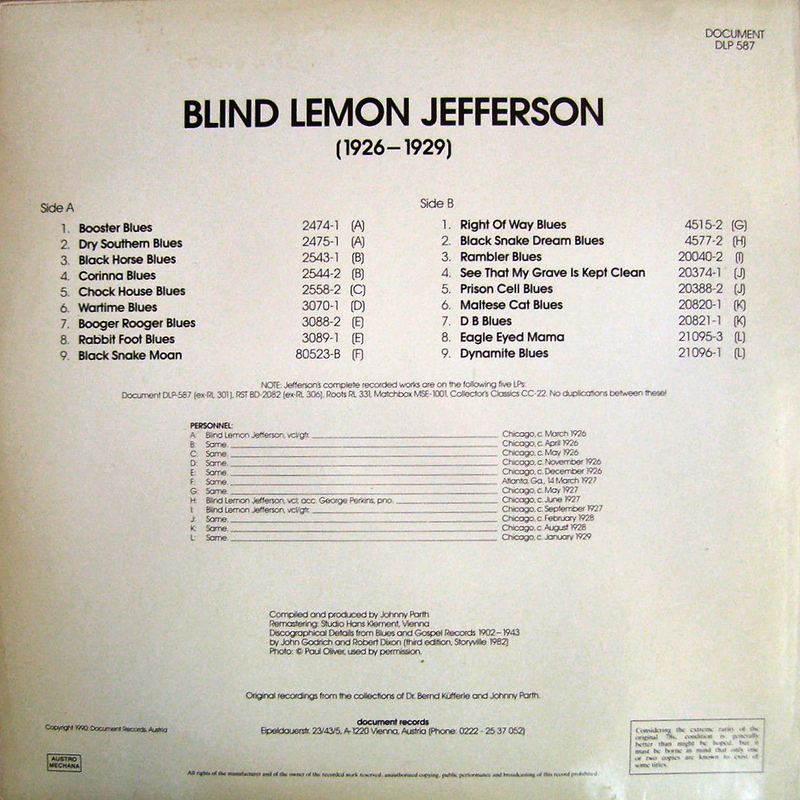 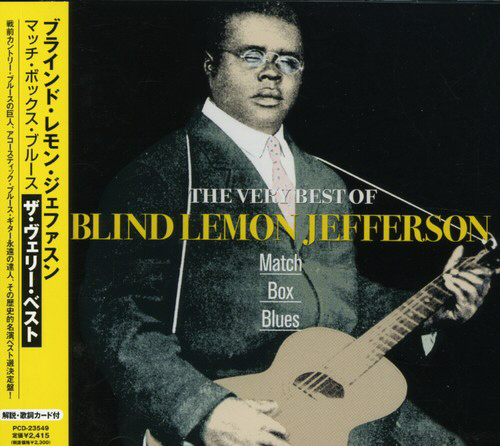 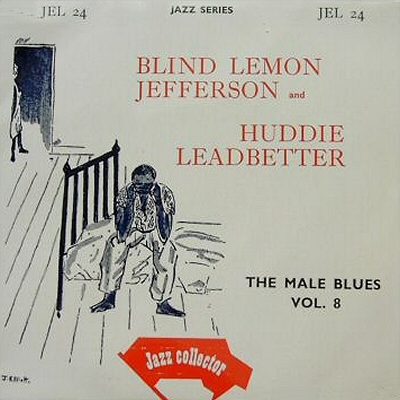 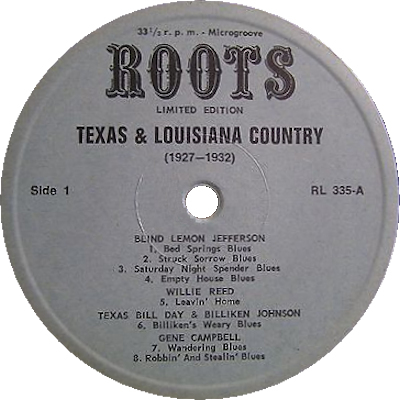 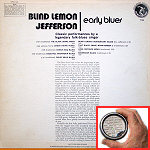 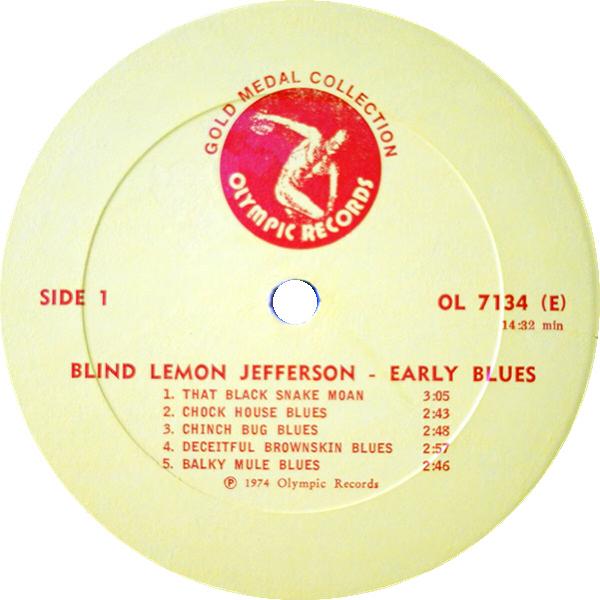 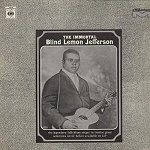 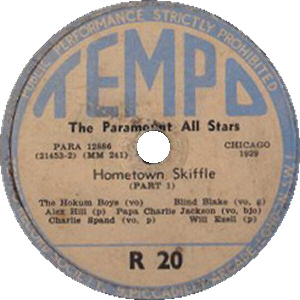 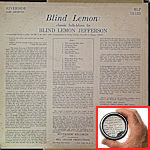 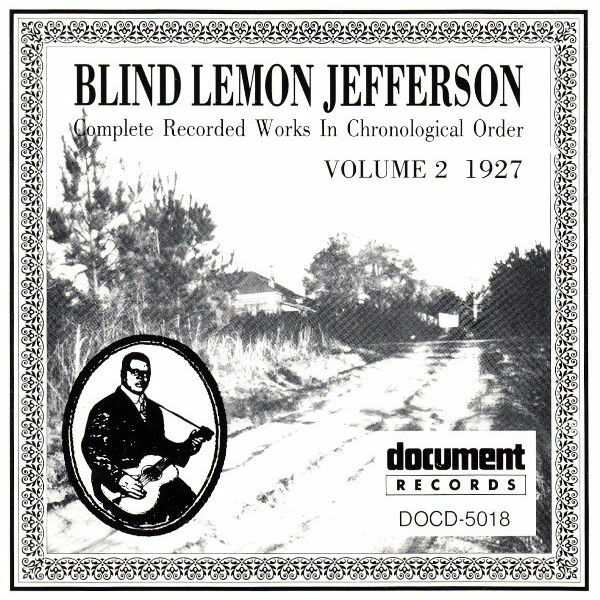 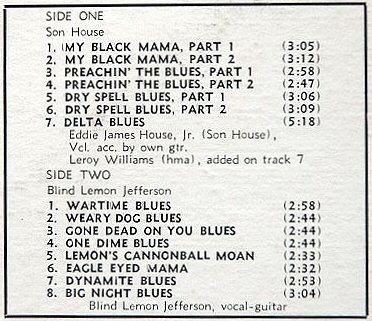 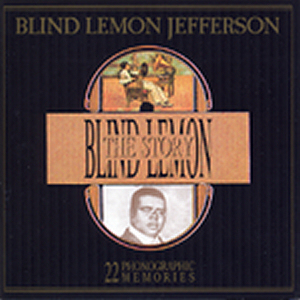 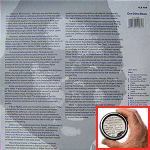 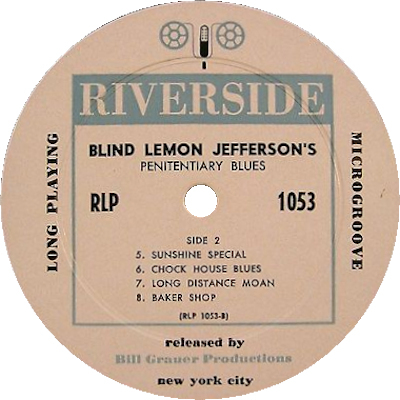 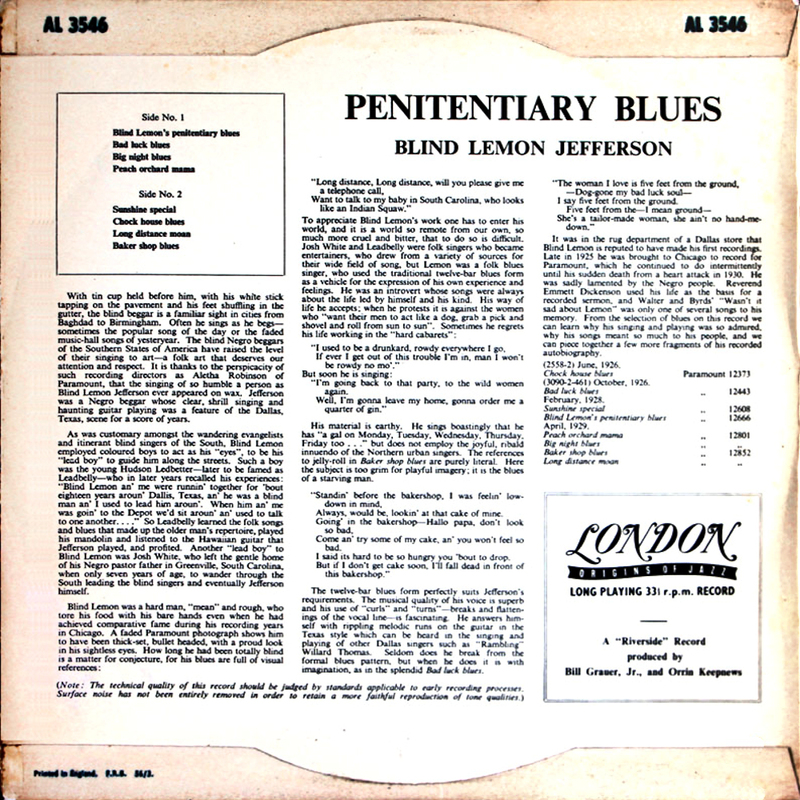 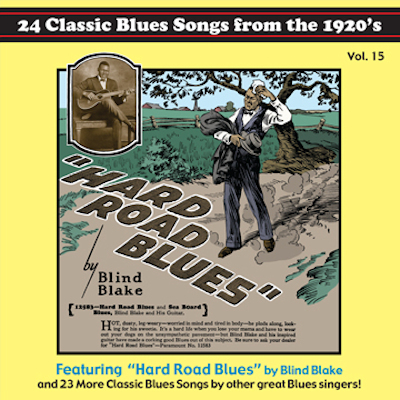 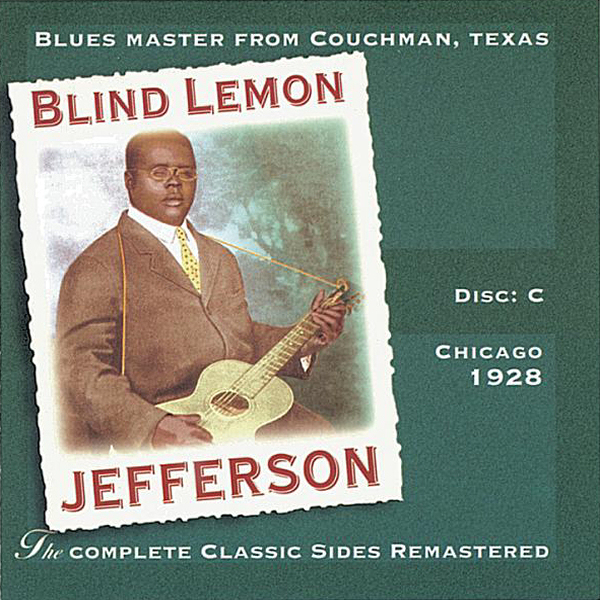 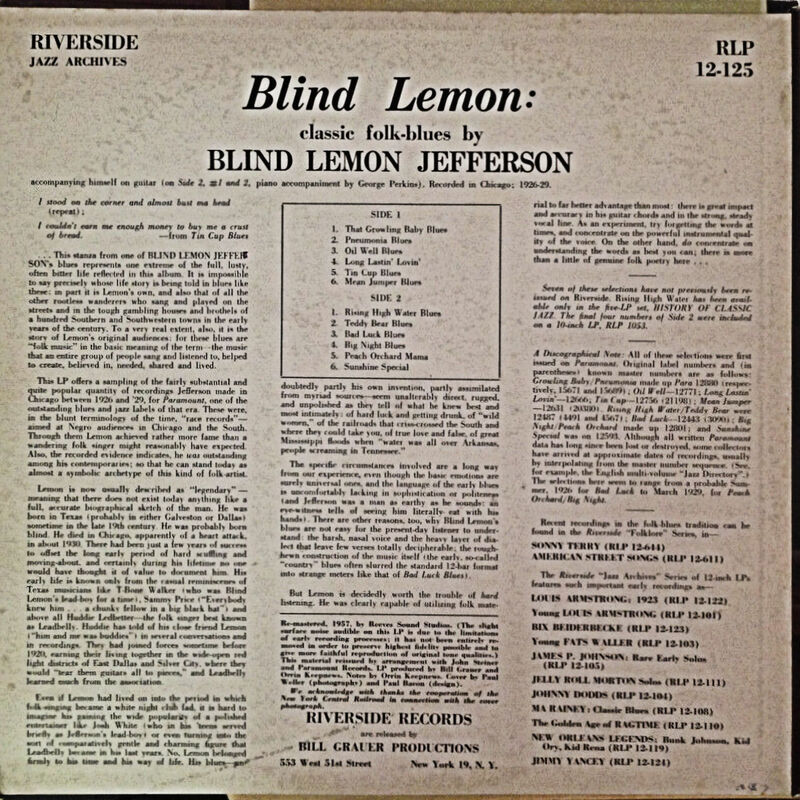 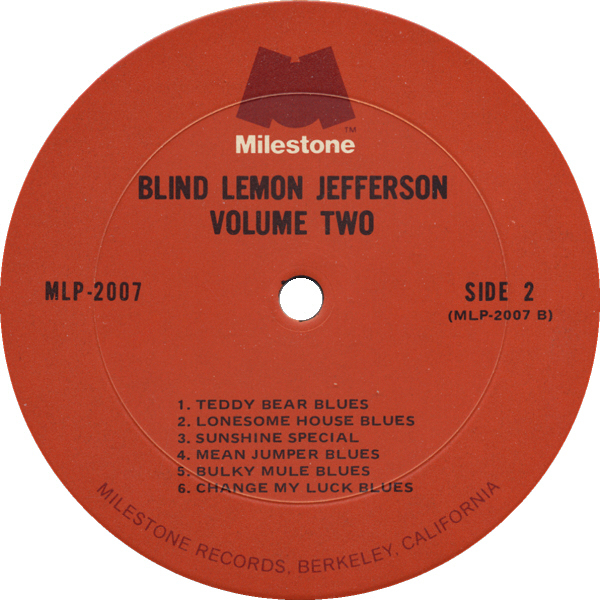 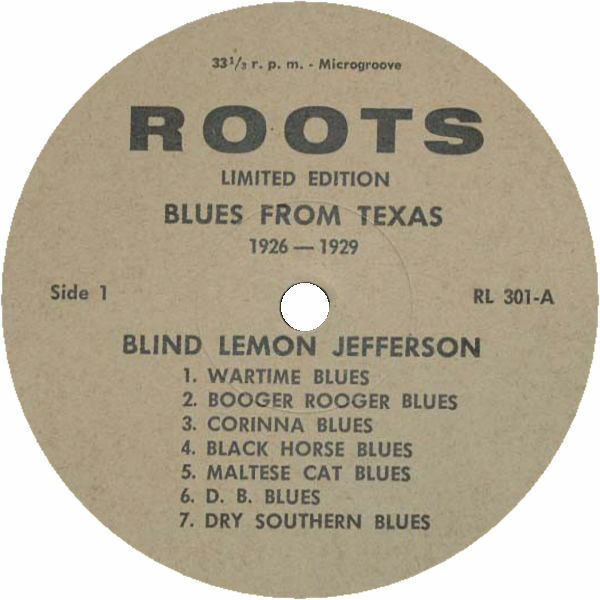 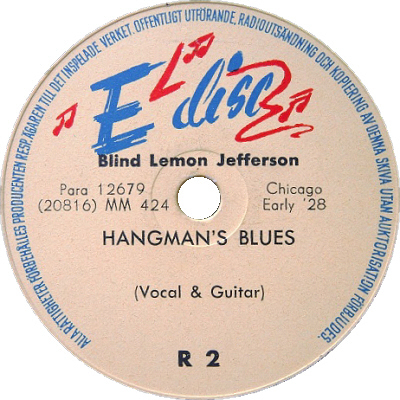 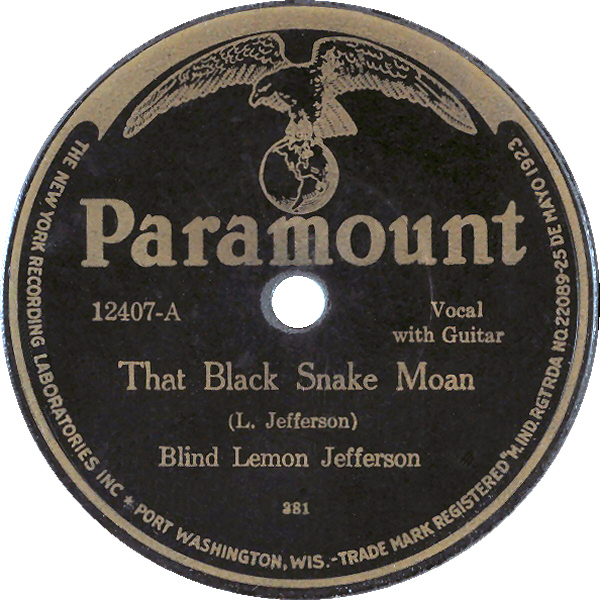 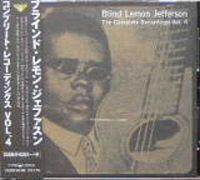 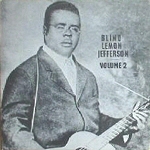 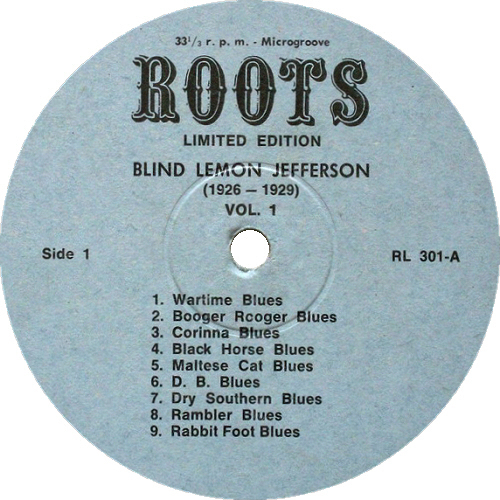 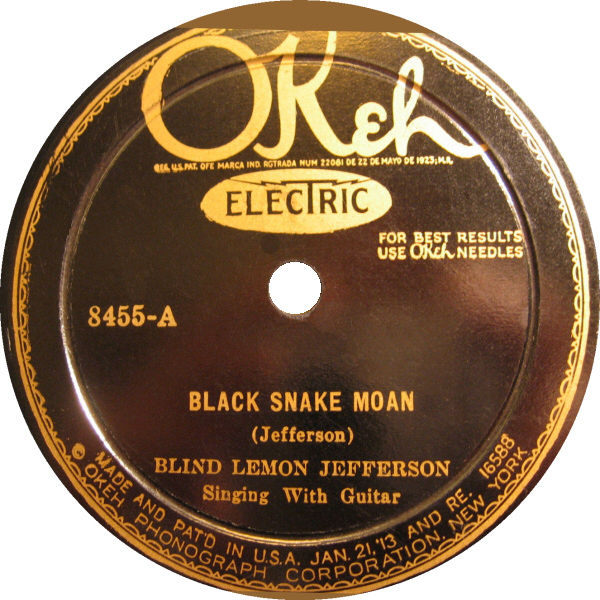 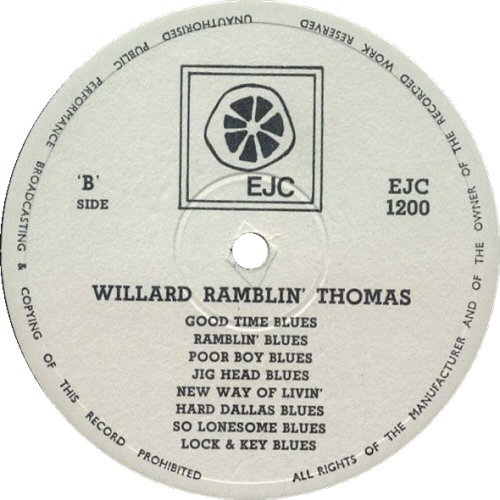 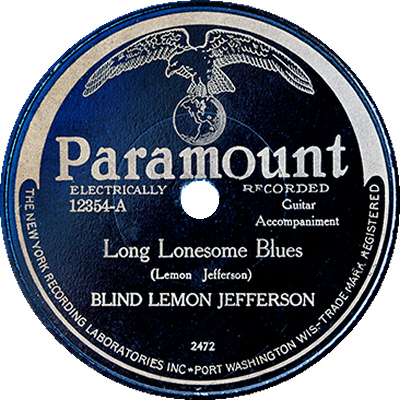 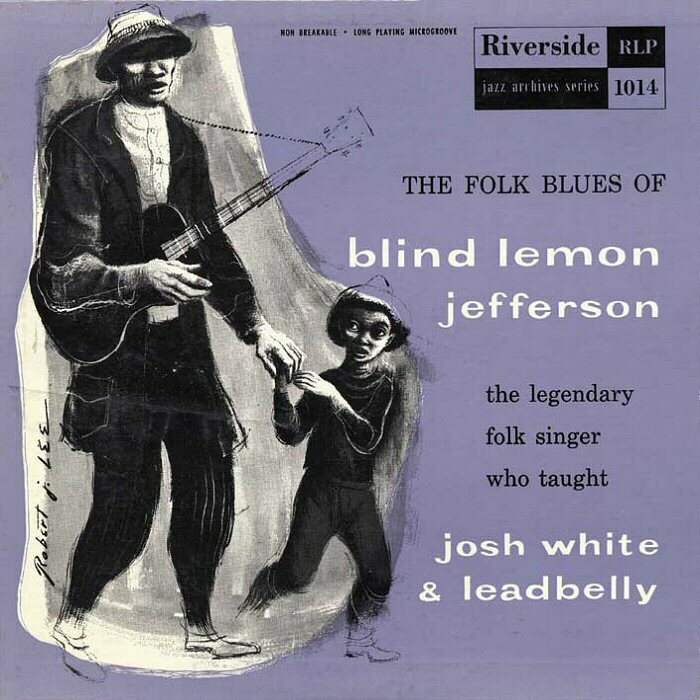 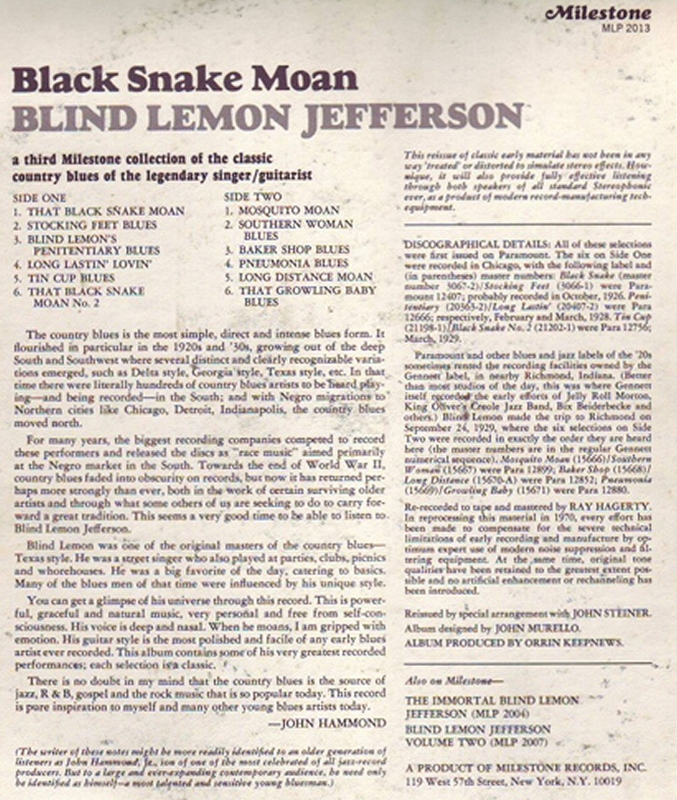 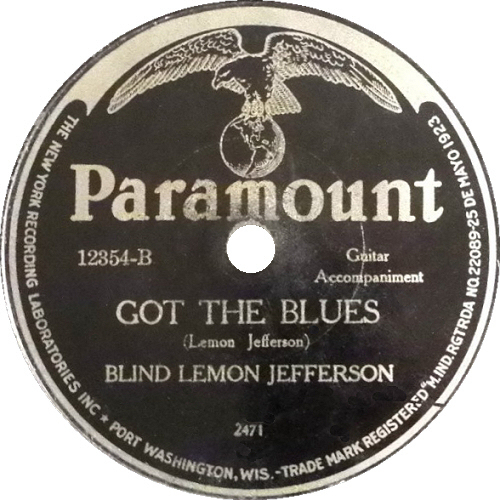 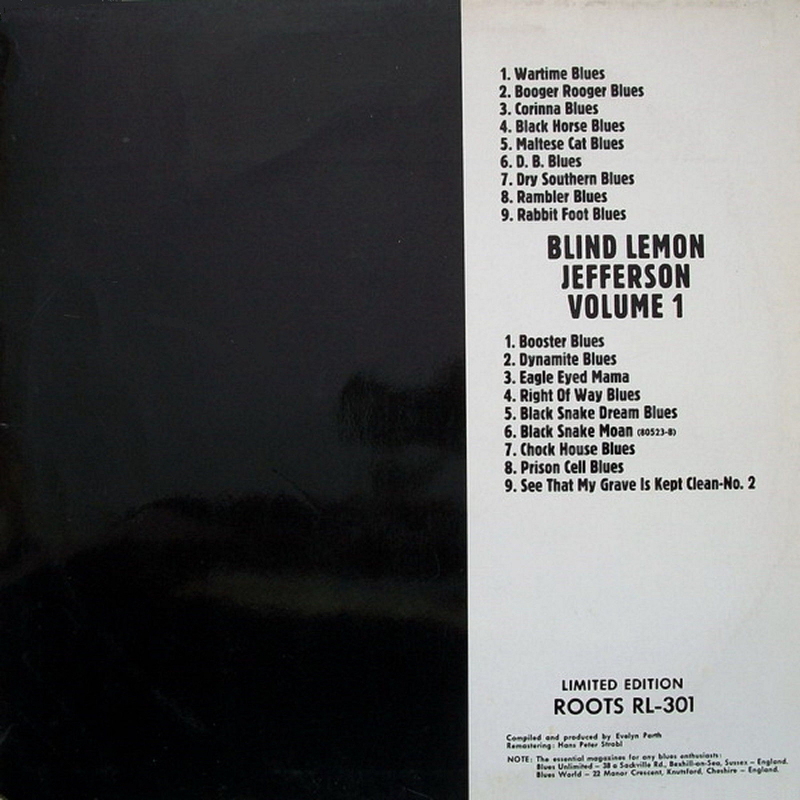 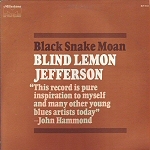 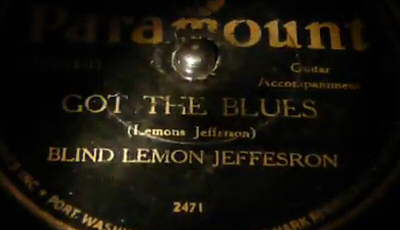 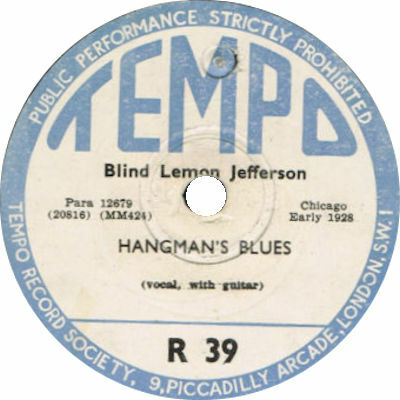 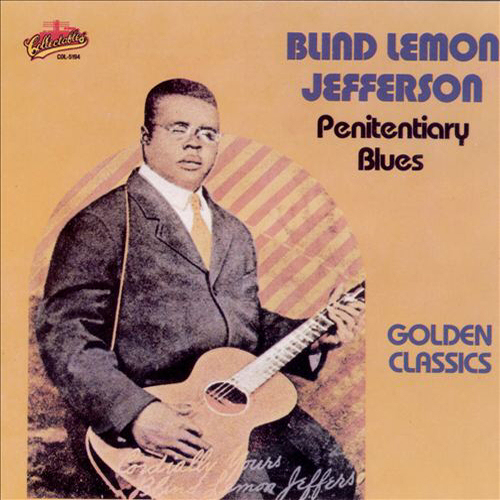 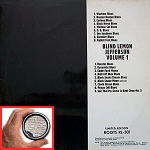 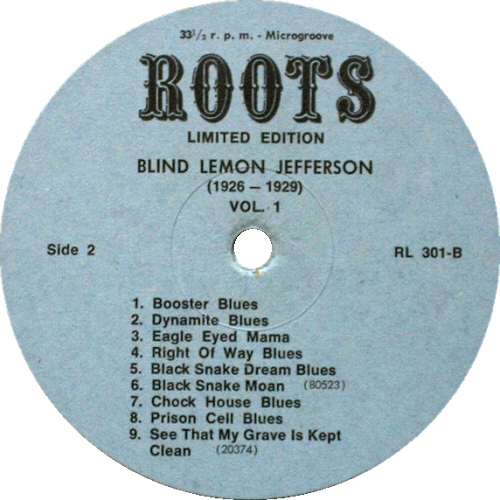 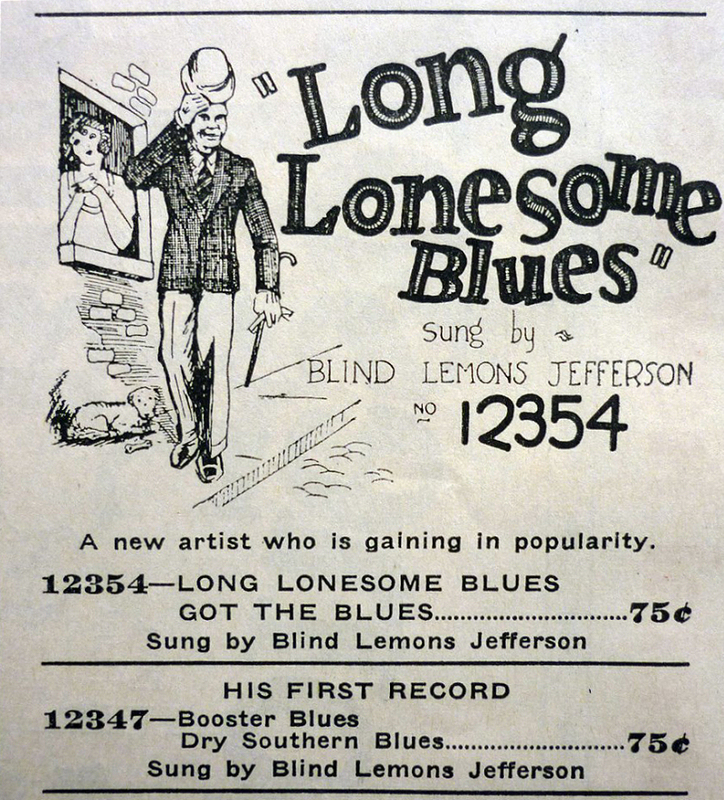 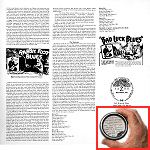 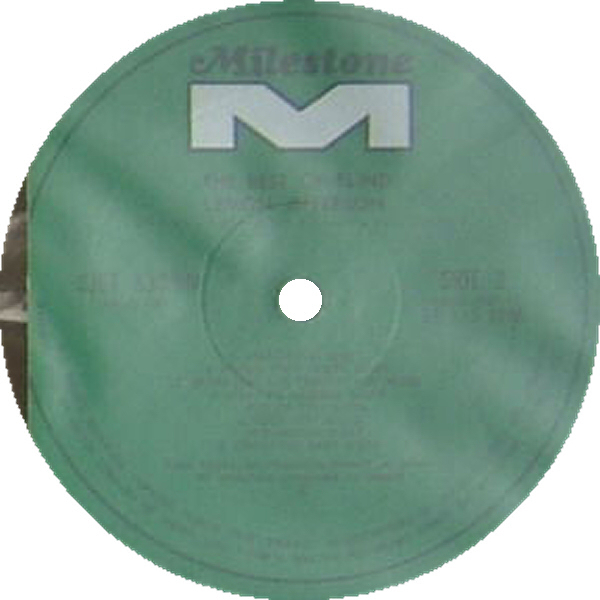 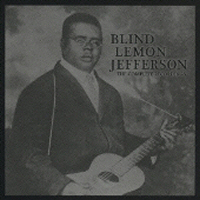 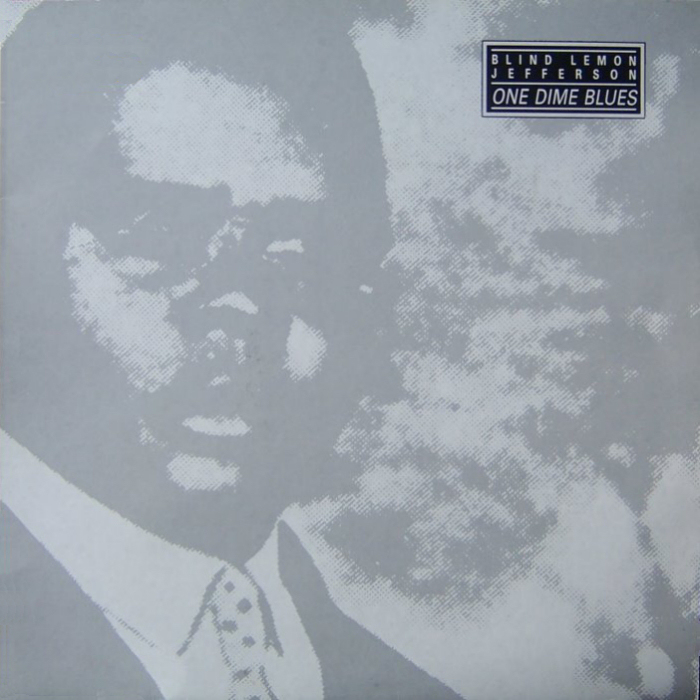 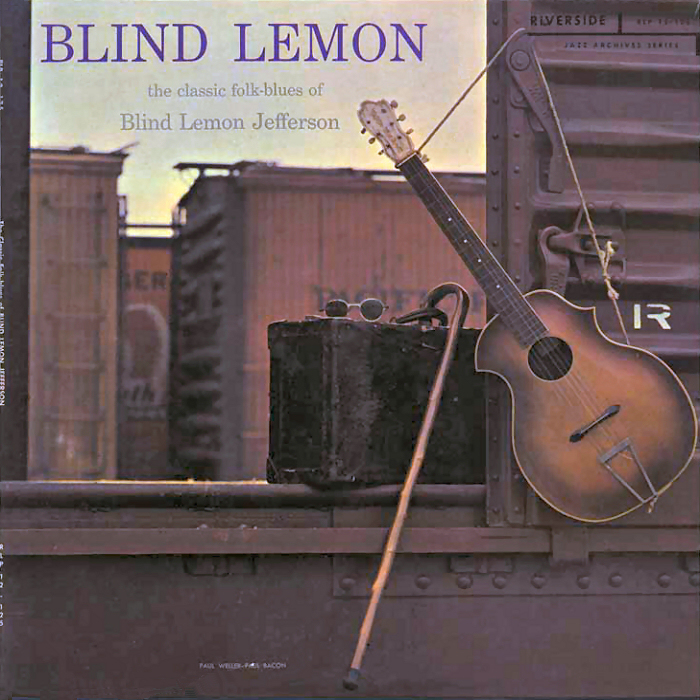 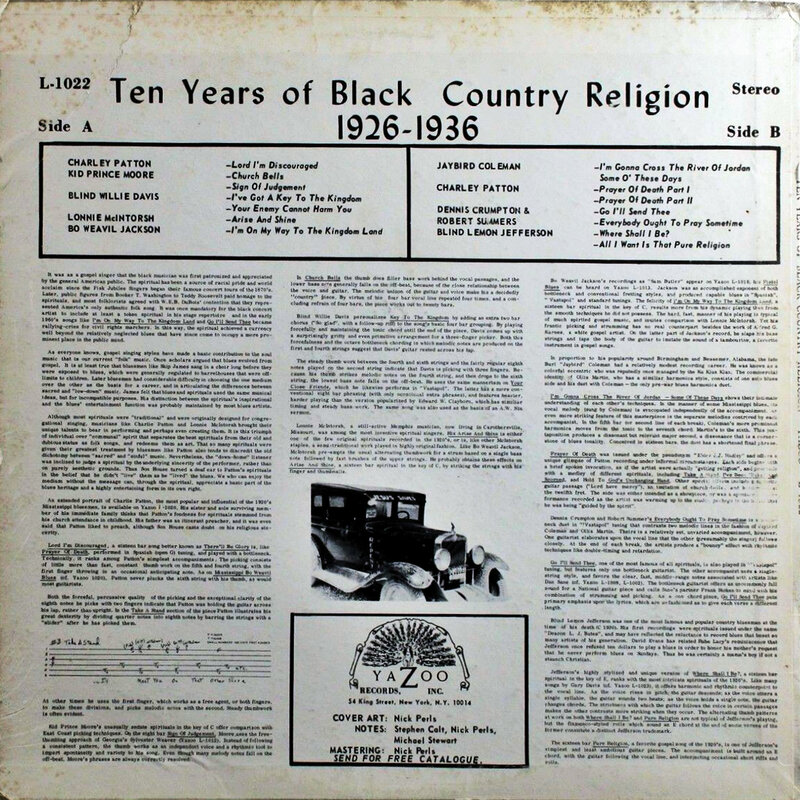 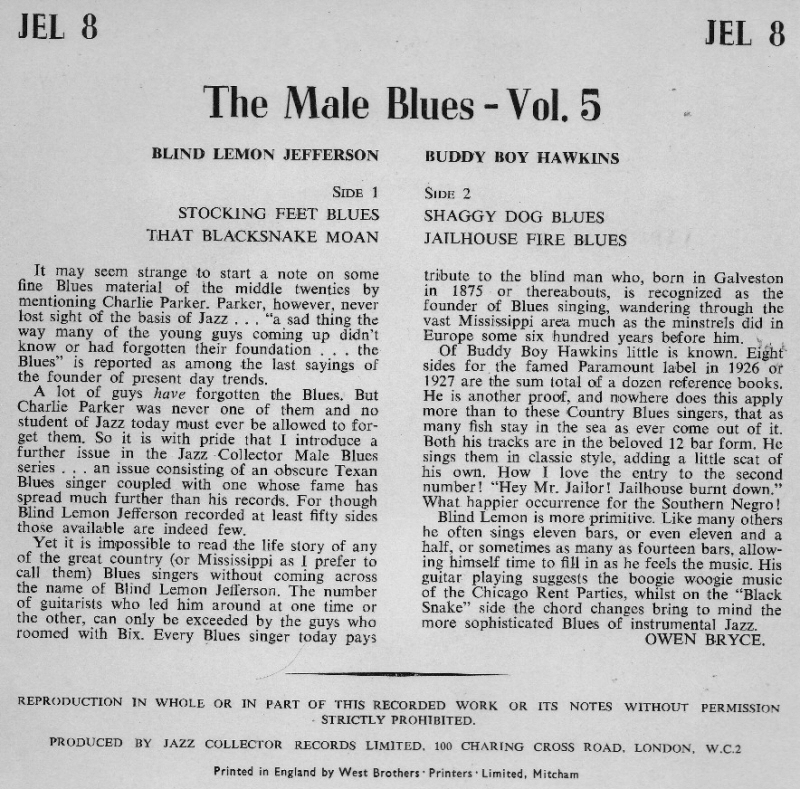 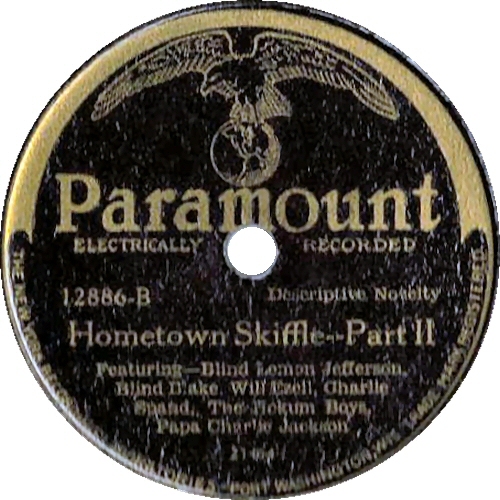 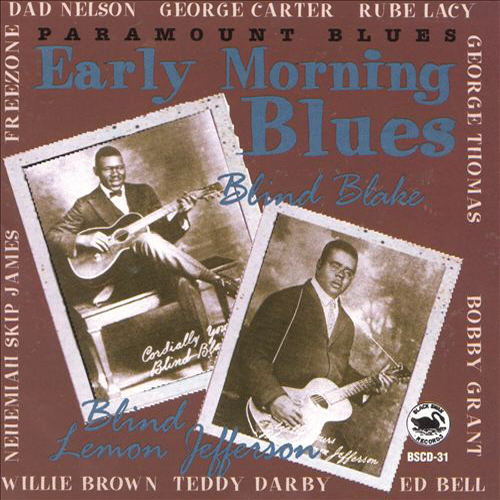 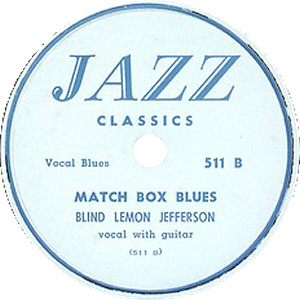 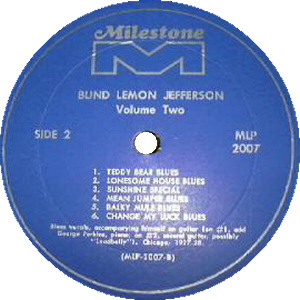 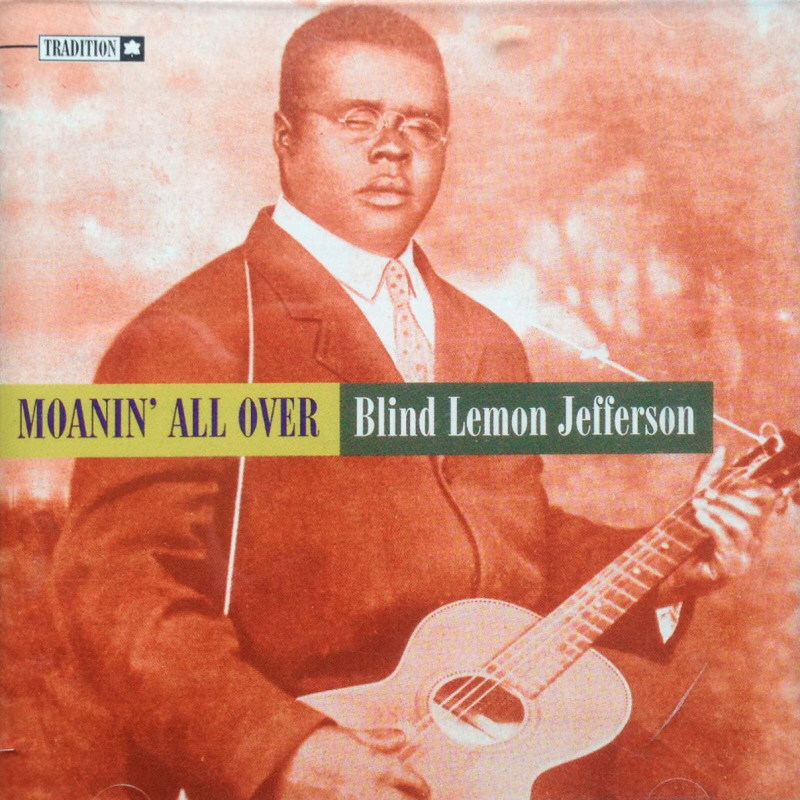 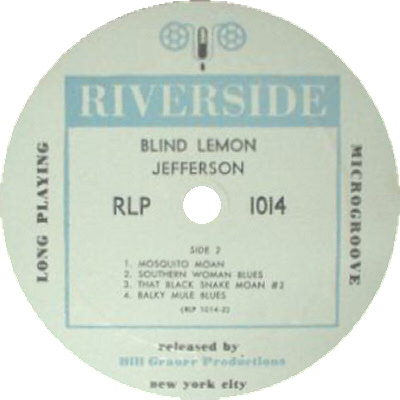 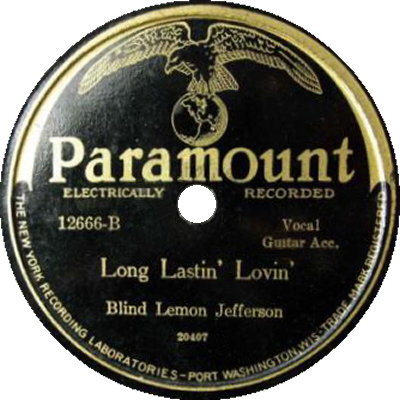 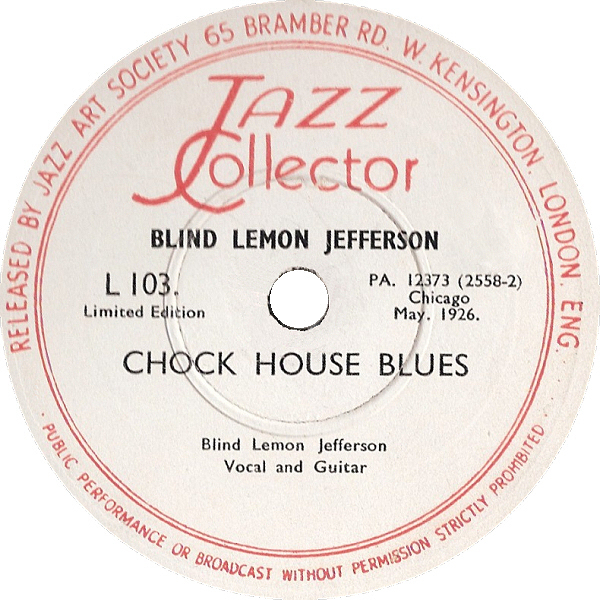 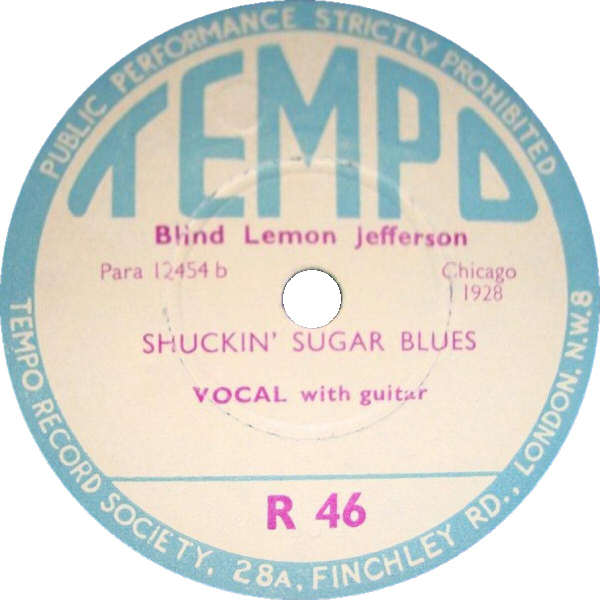 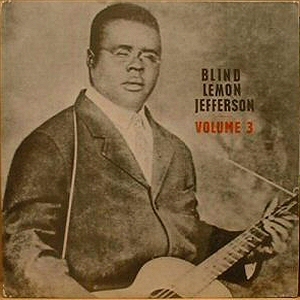 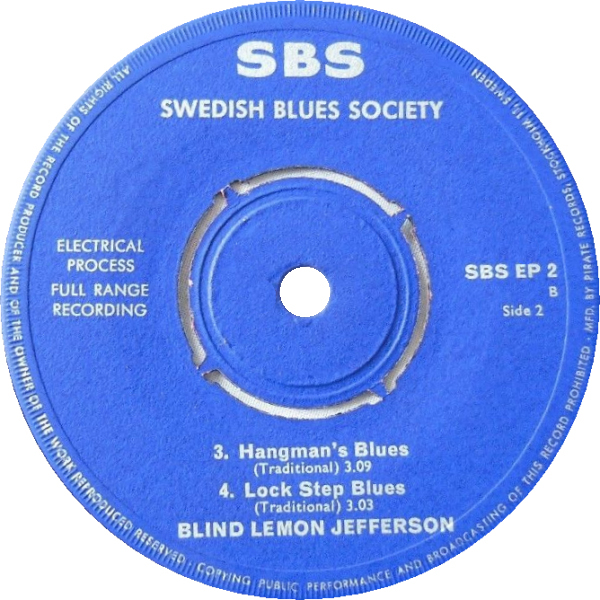 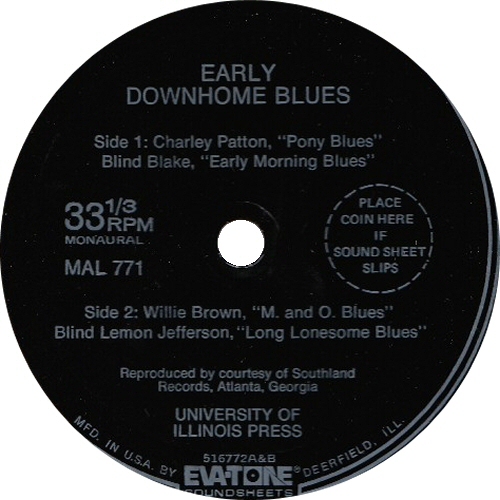 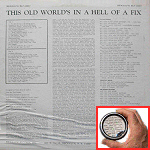 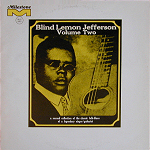 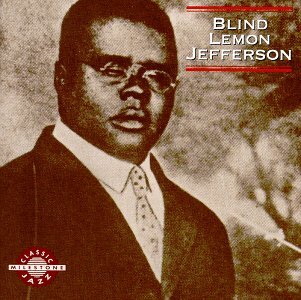 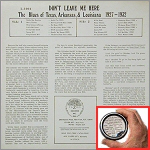 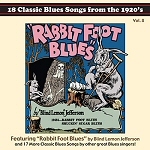 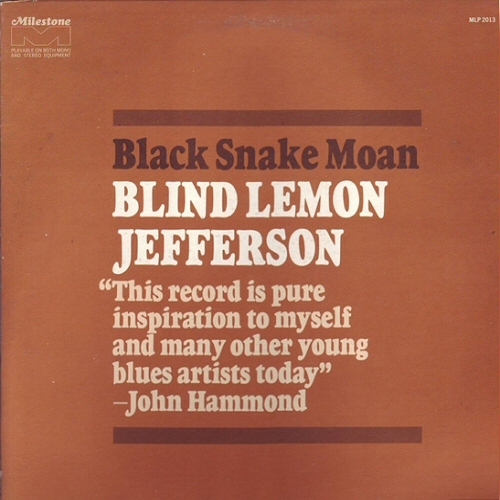 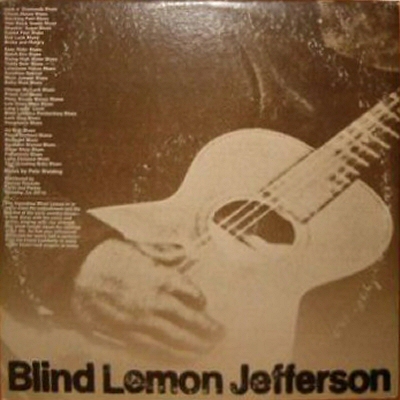 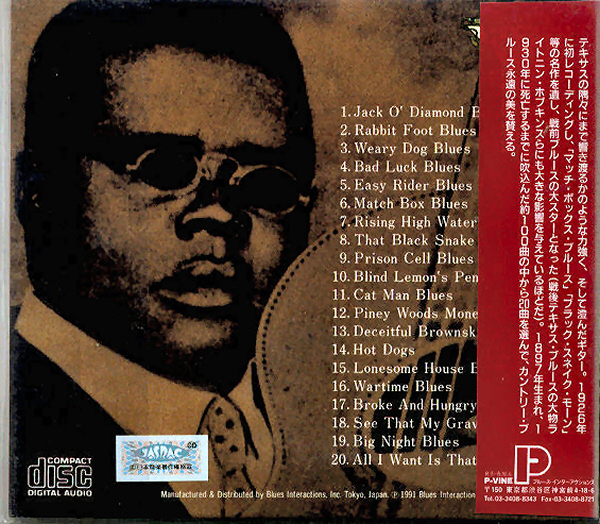 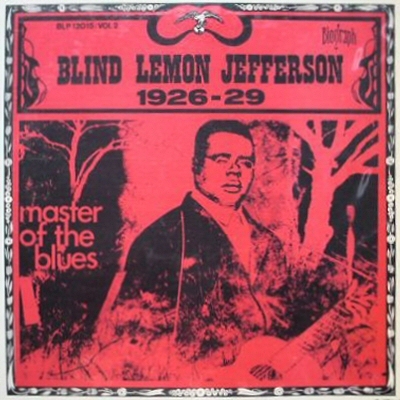 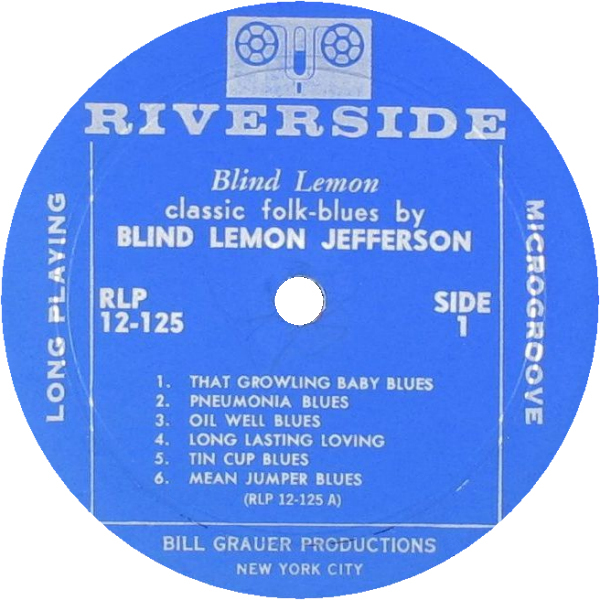 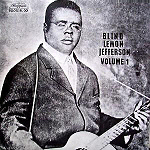 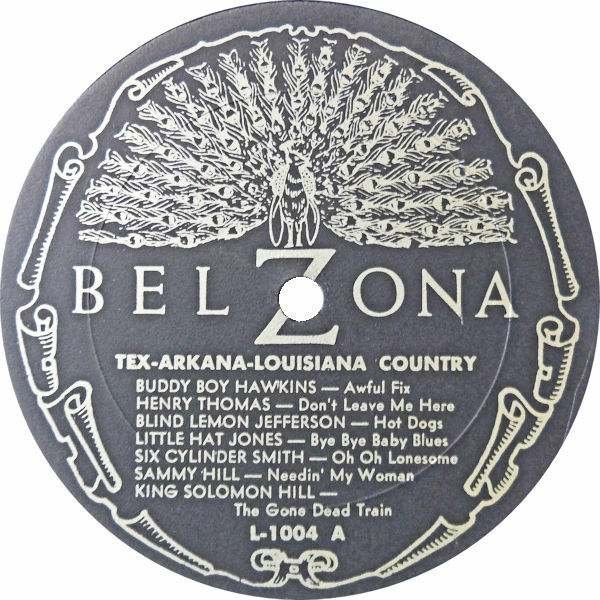 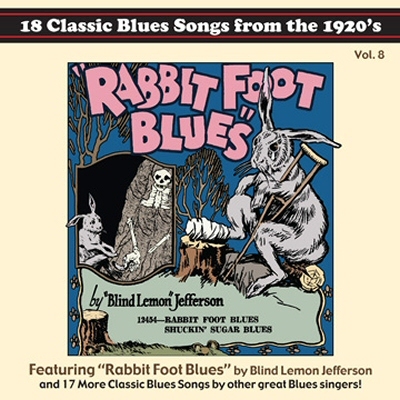 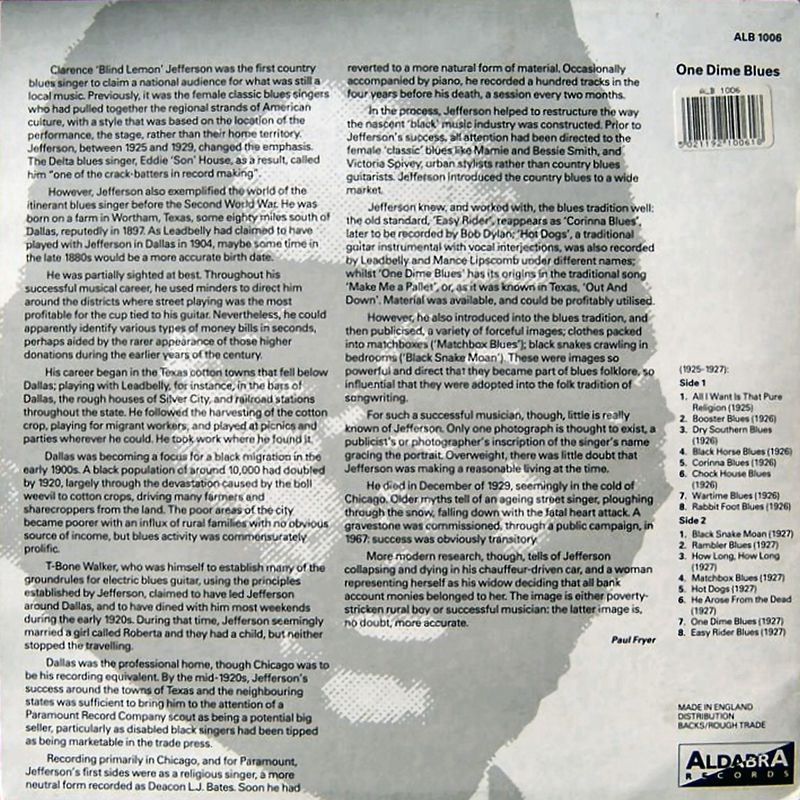 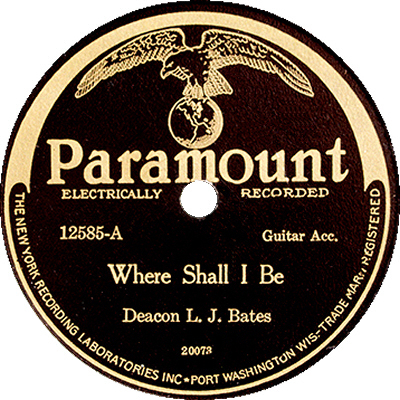 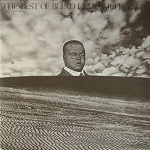 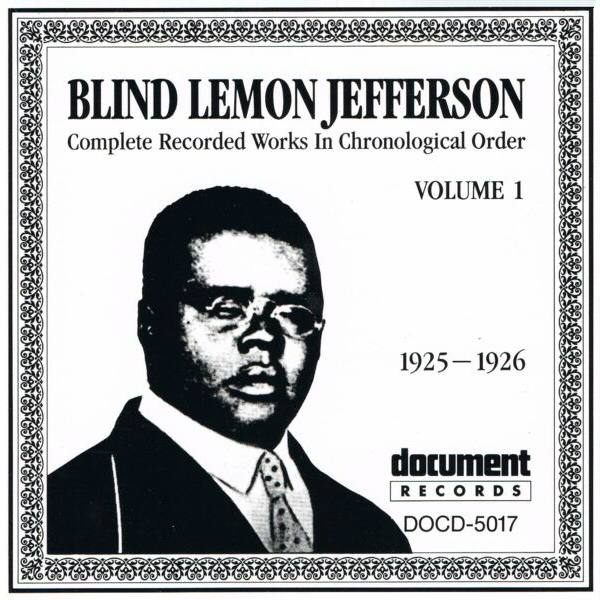 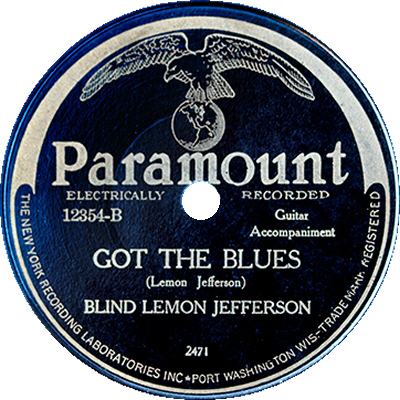 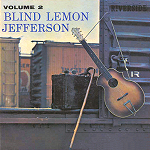 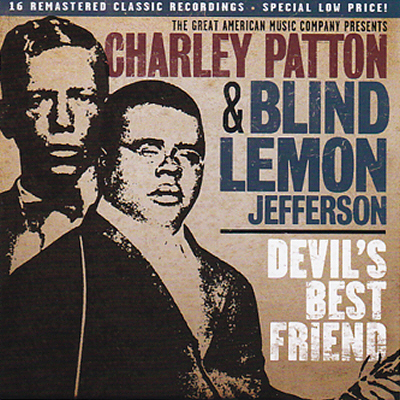 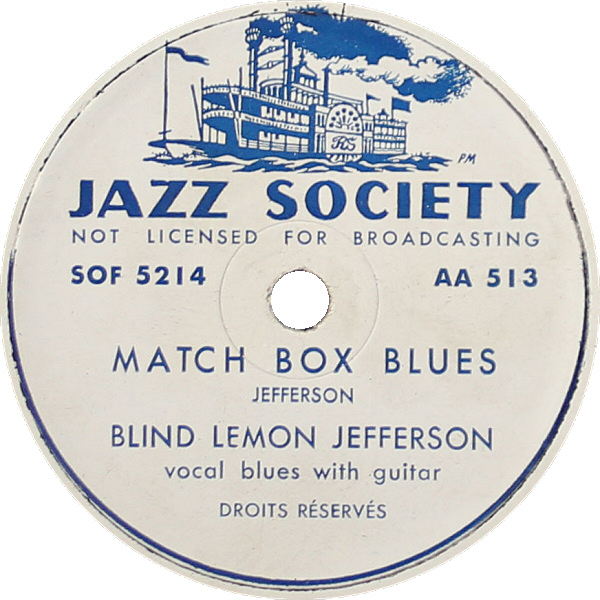 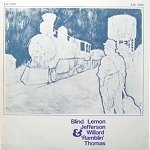 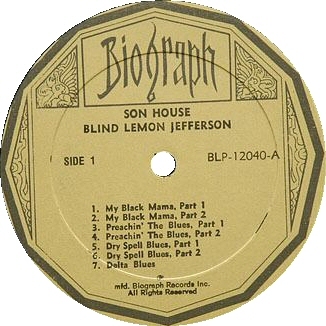 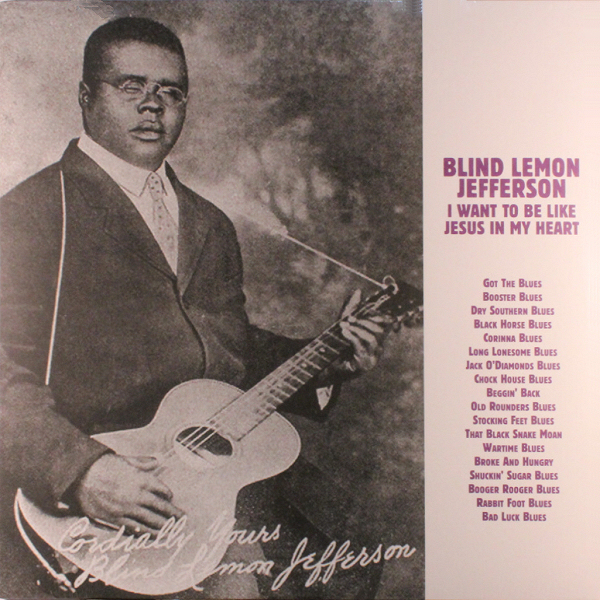 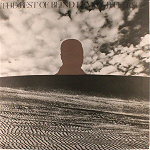 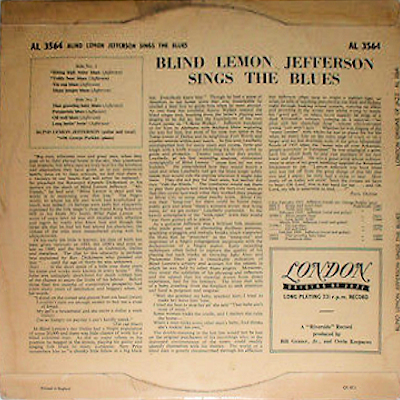 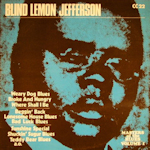 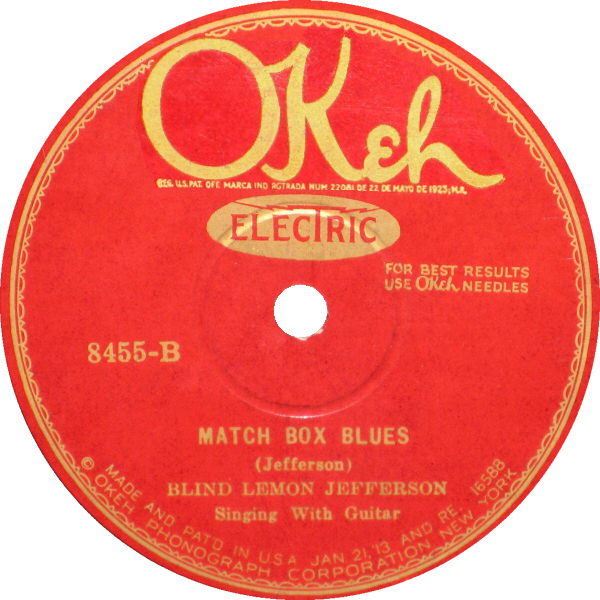 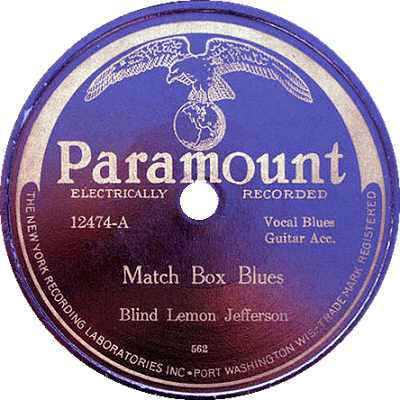 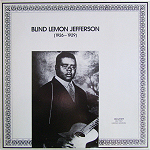 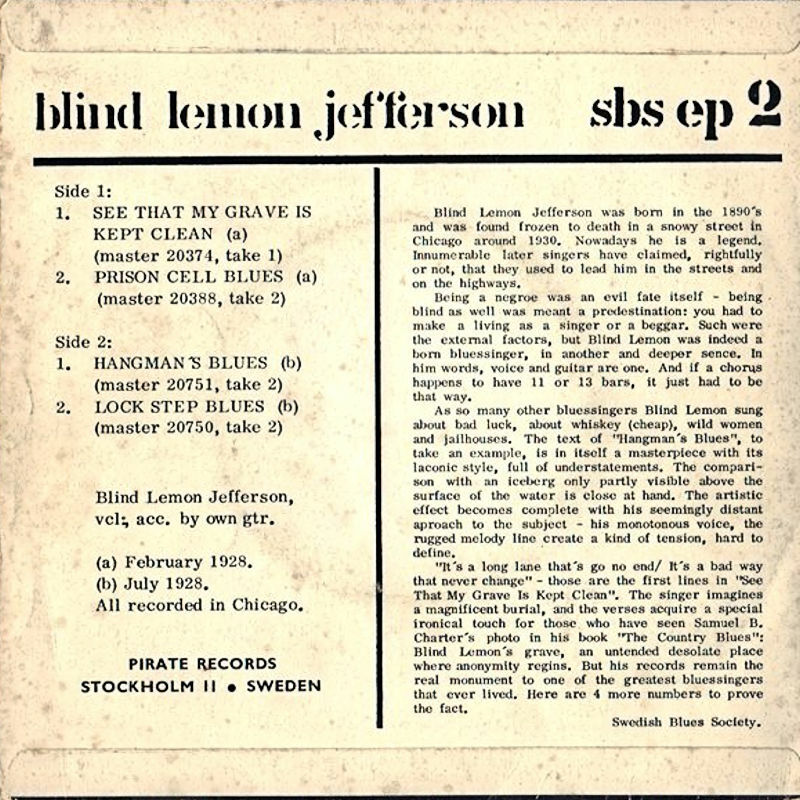 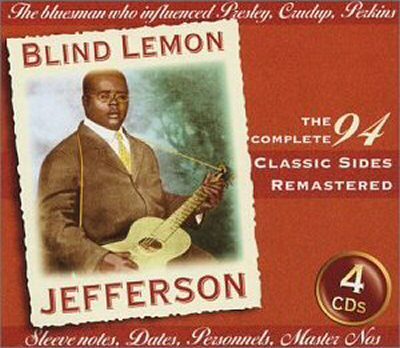 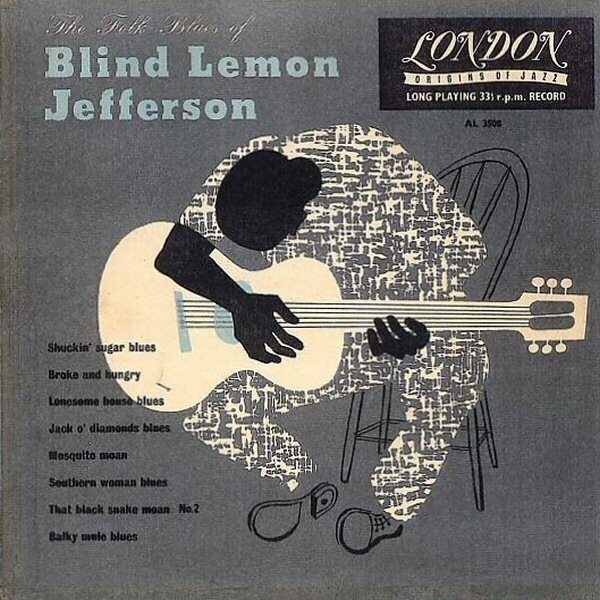 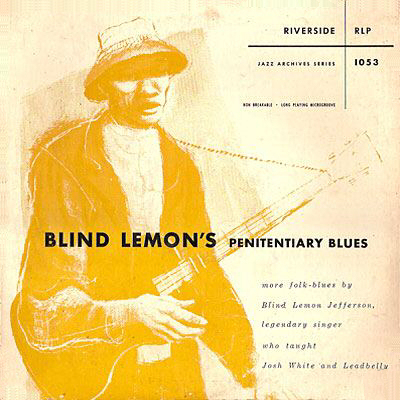 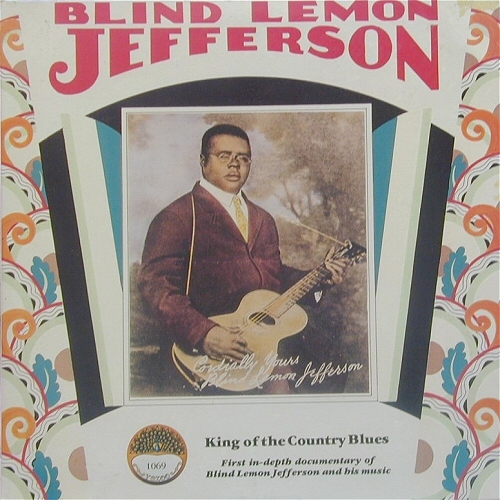 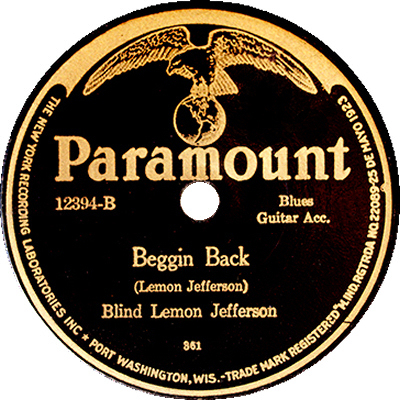 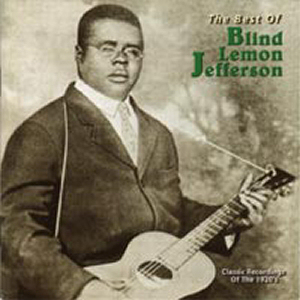 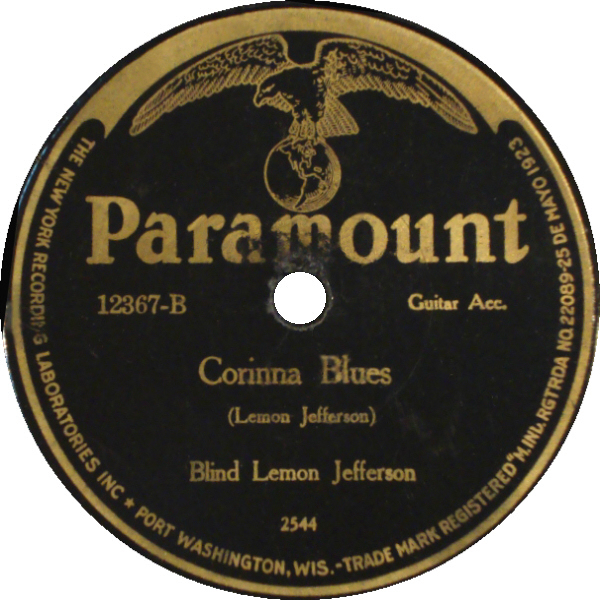 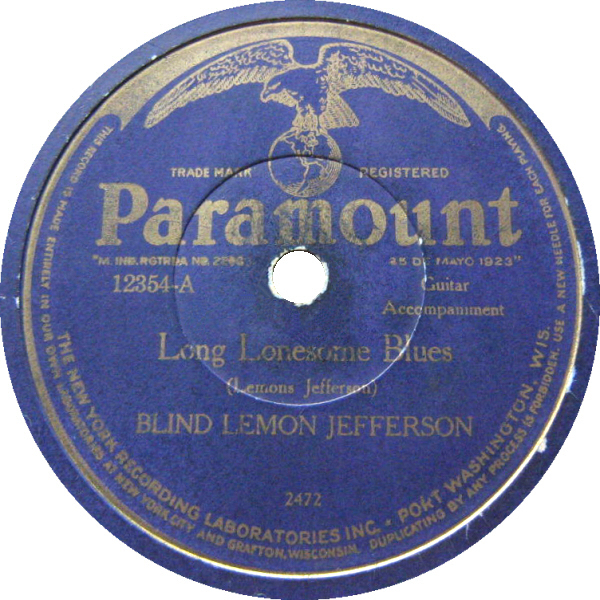 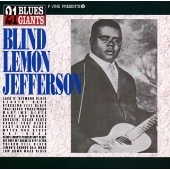 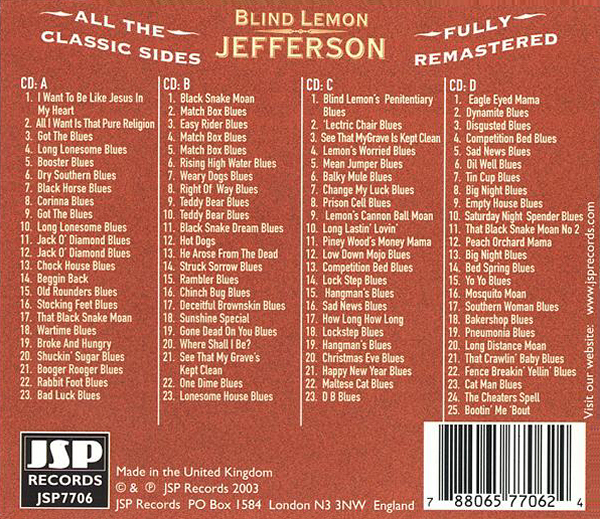 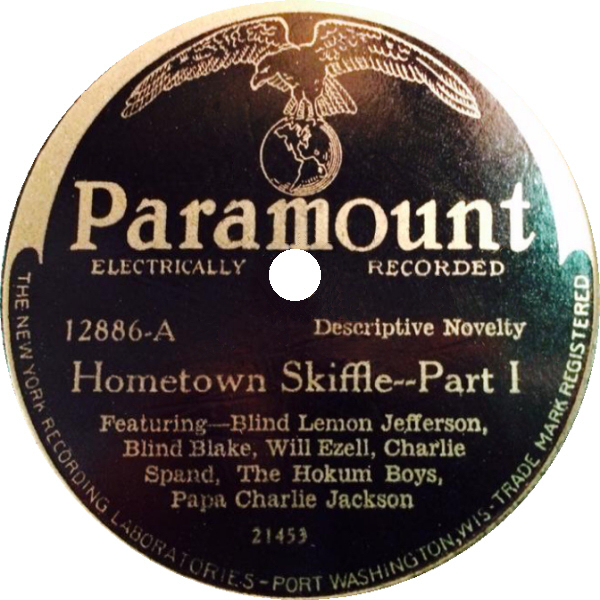 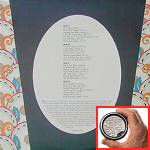 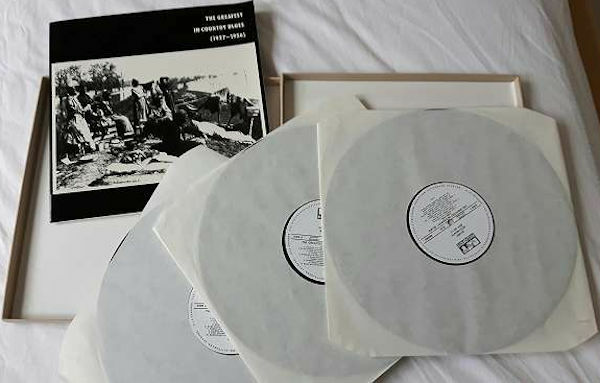 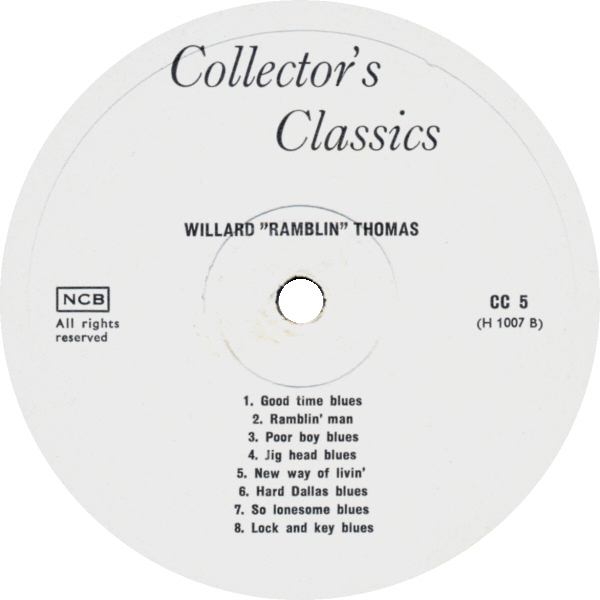 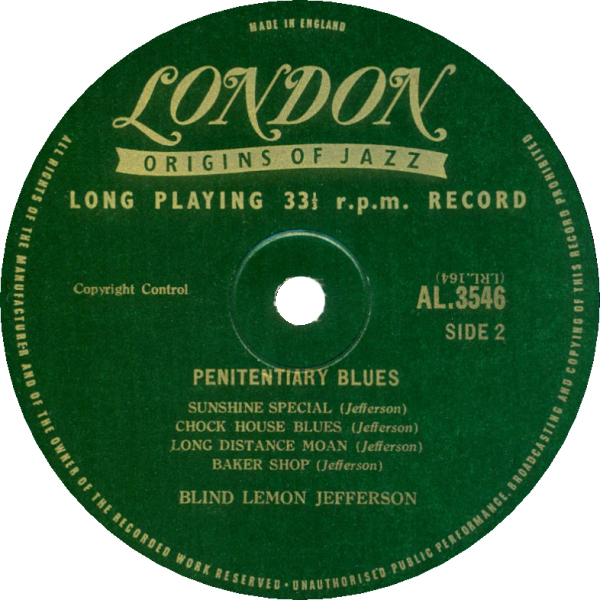 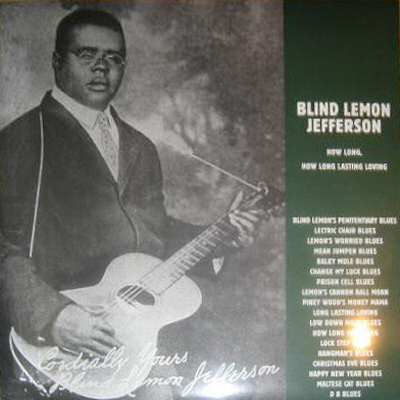 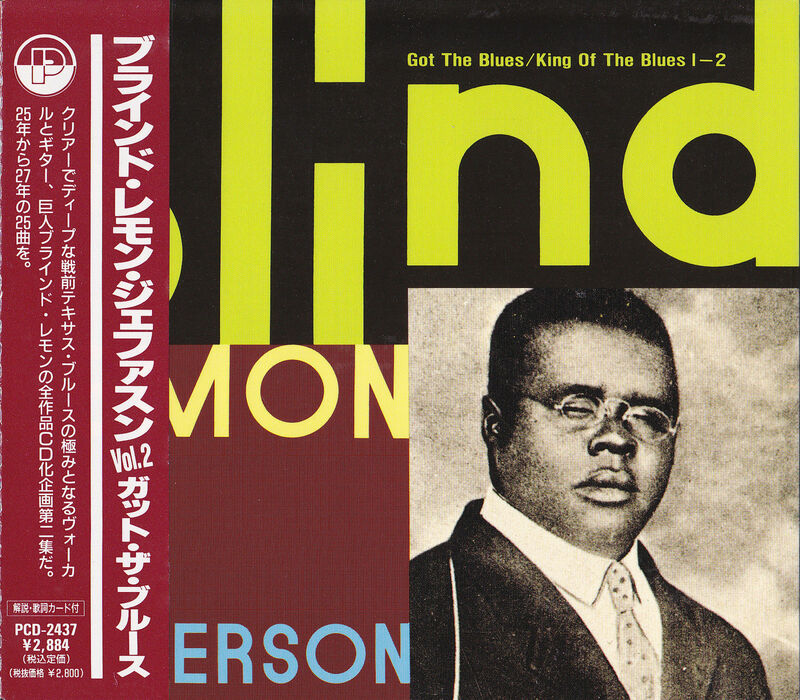 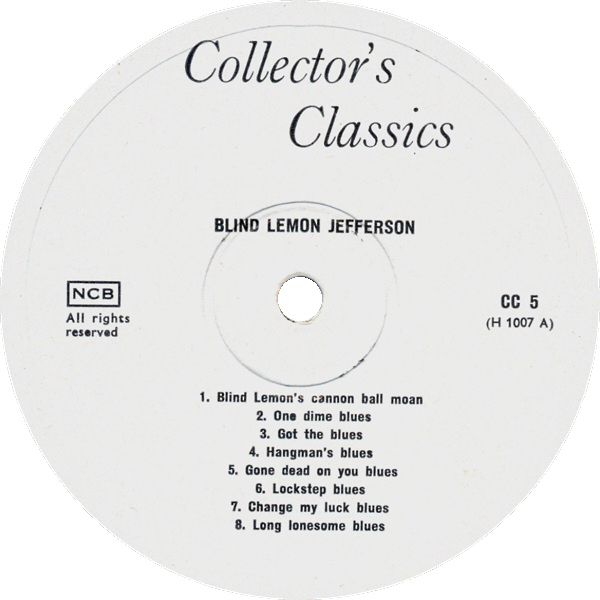 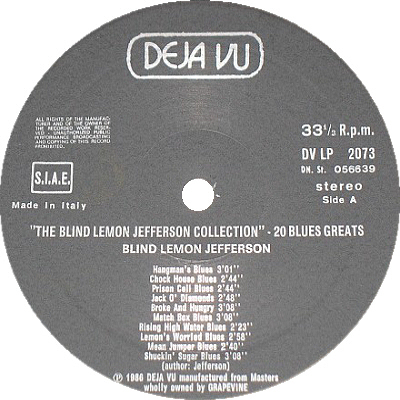 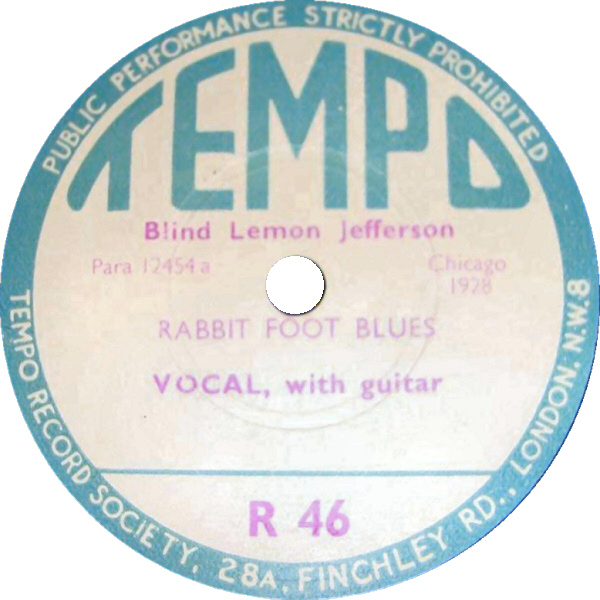 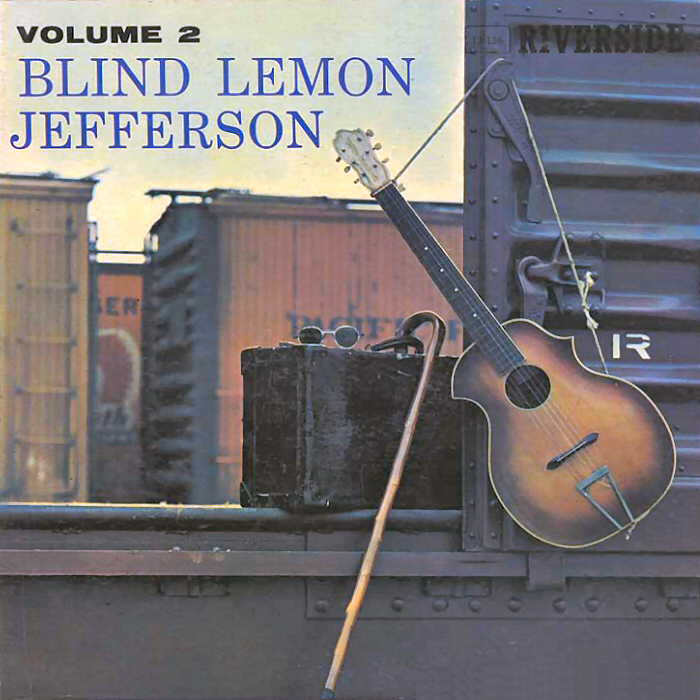 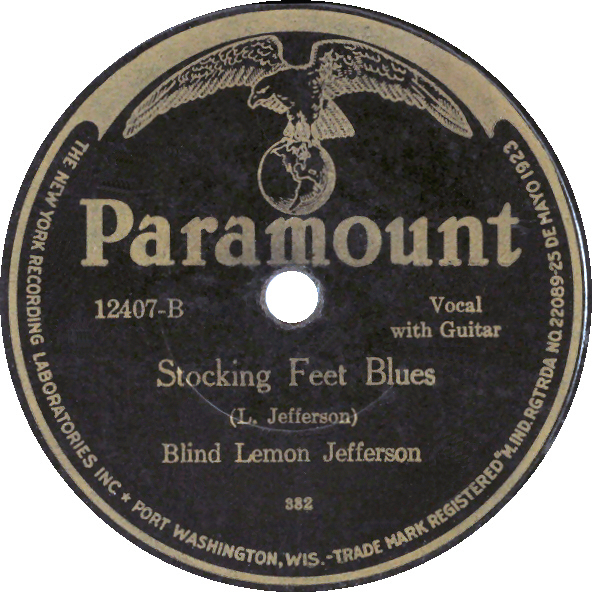 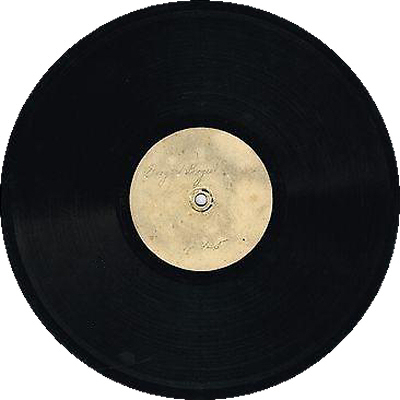 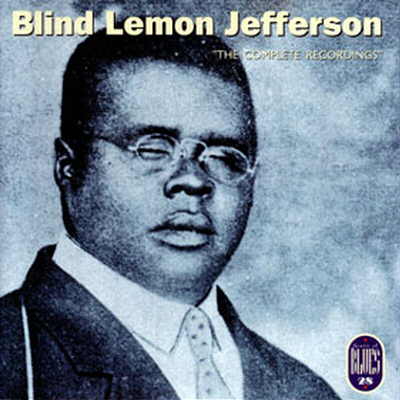 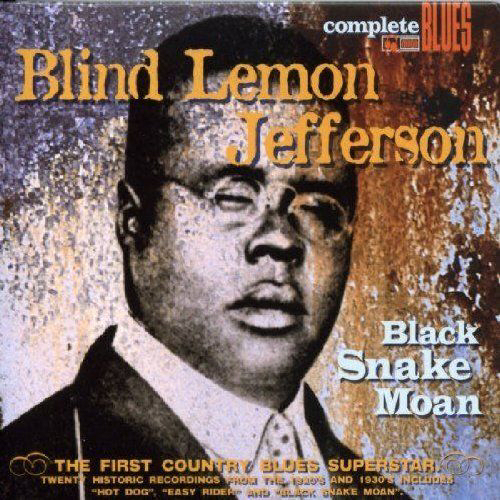 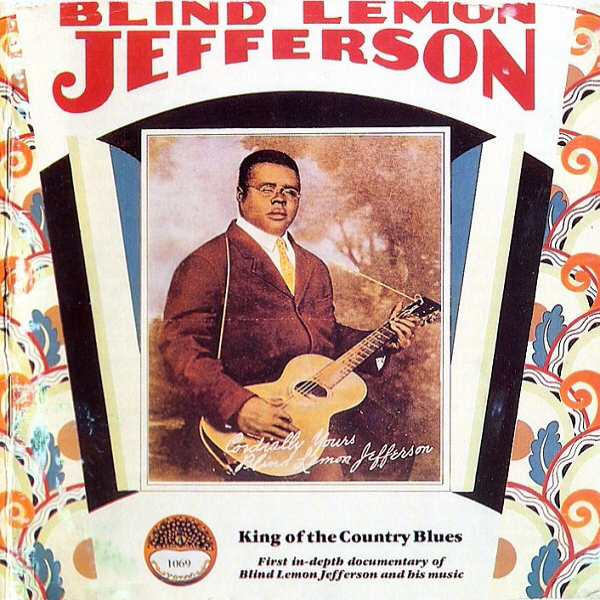 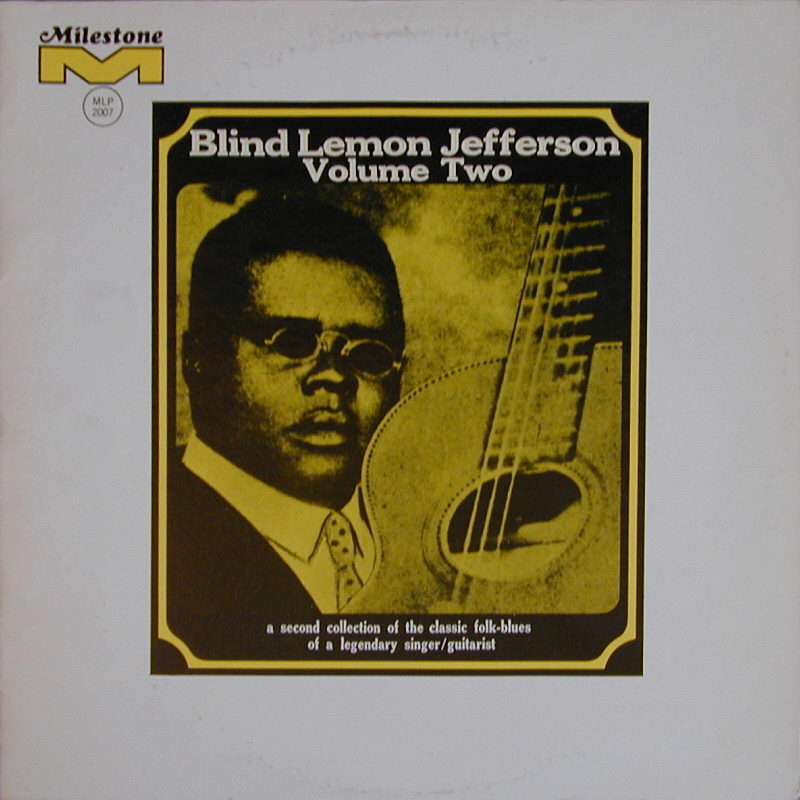 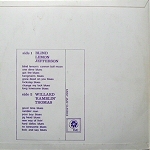 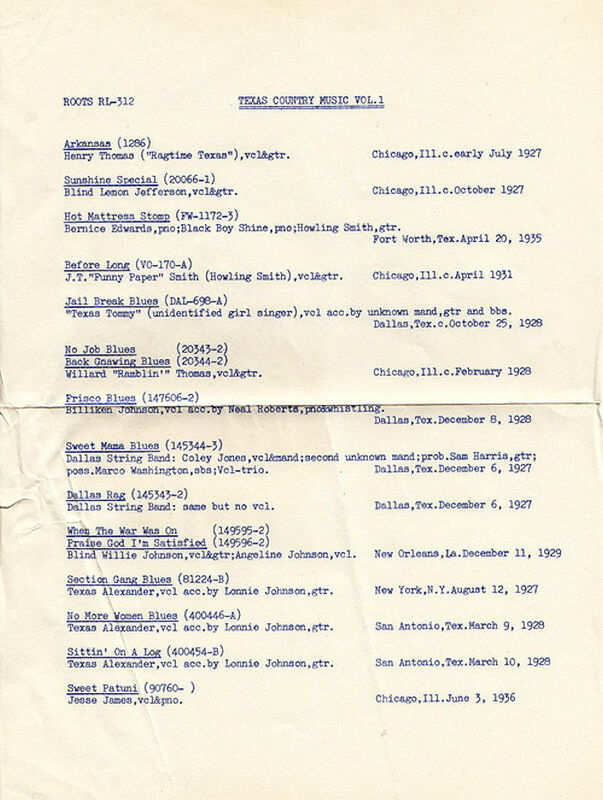 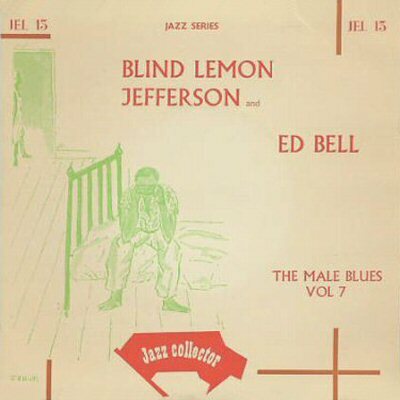 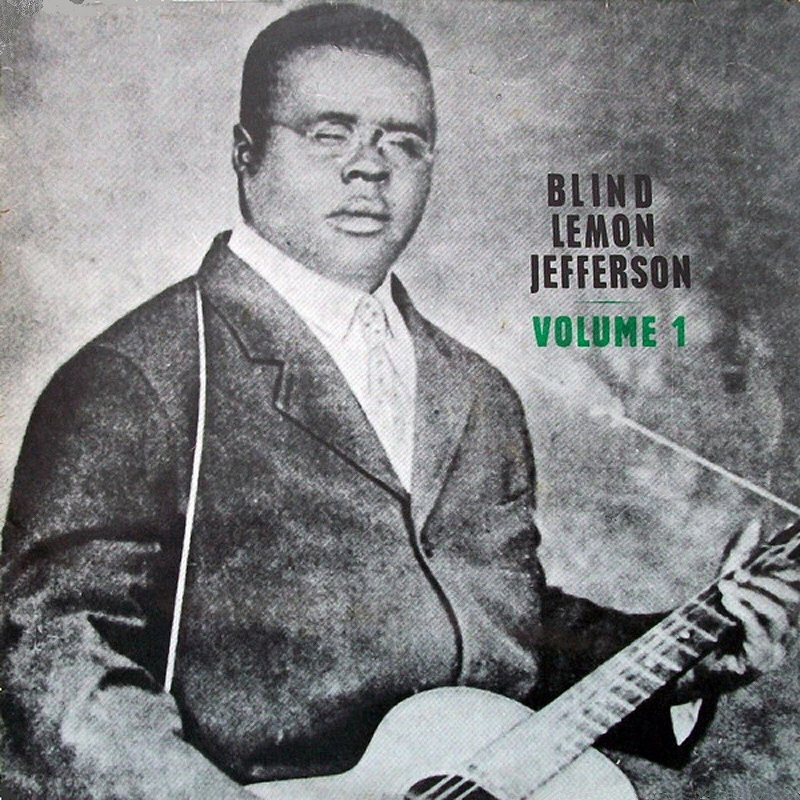 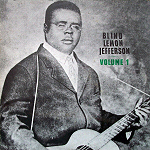 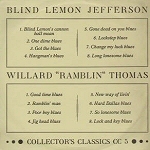 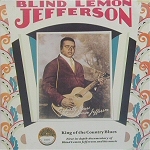 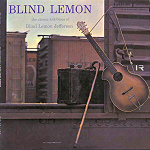 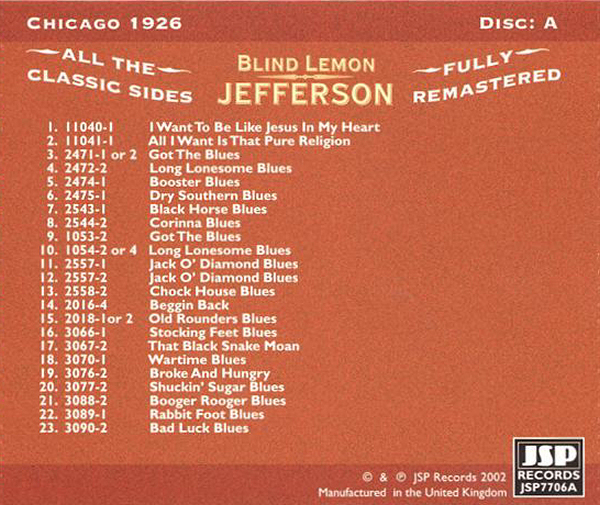 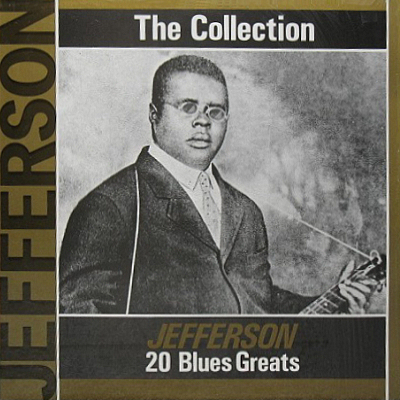 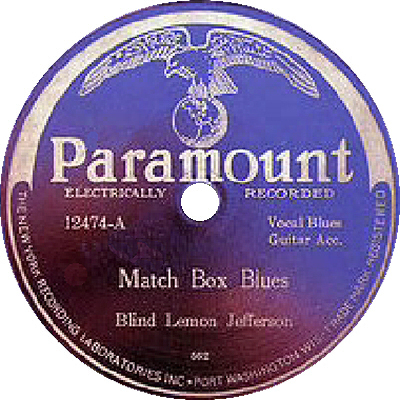 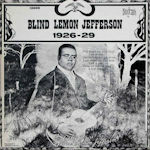 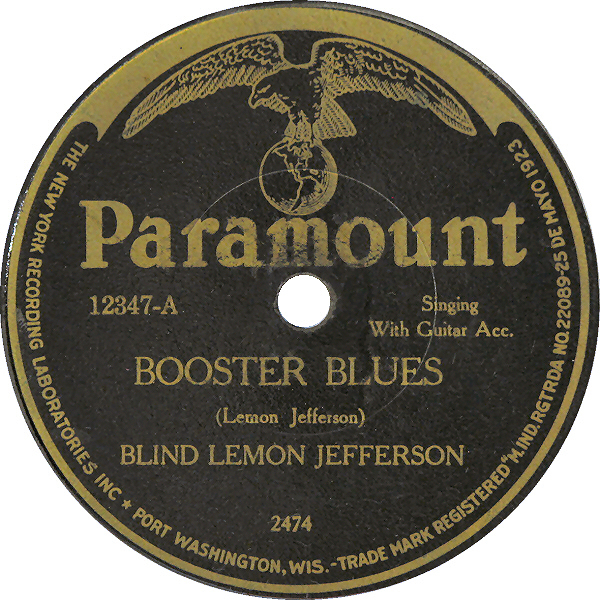 "Blind Lemon JeffersonS' [sic] Birthday Record"
= Collectors Classics CC 5 (Denmark) "Blind Lemon Jefferson / Willard 'Ramblin' Thomas"
- Where Shall I Be ? 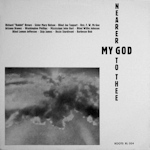 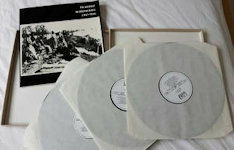 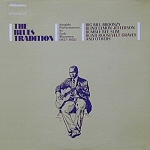 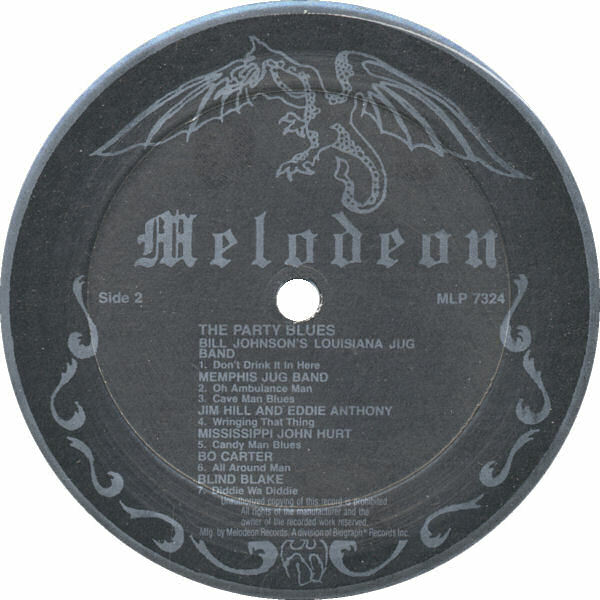 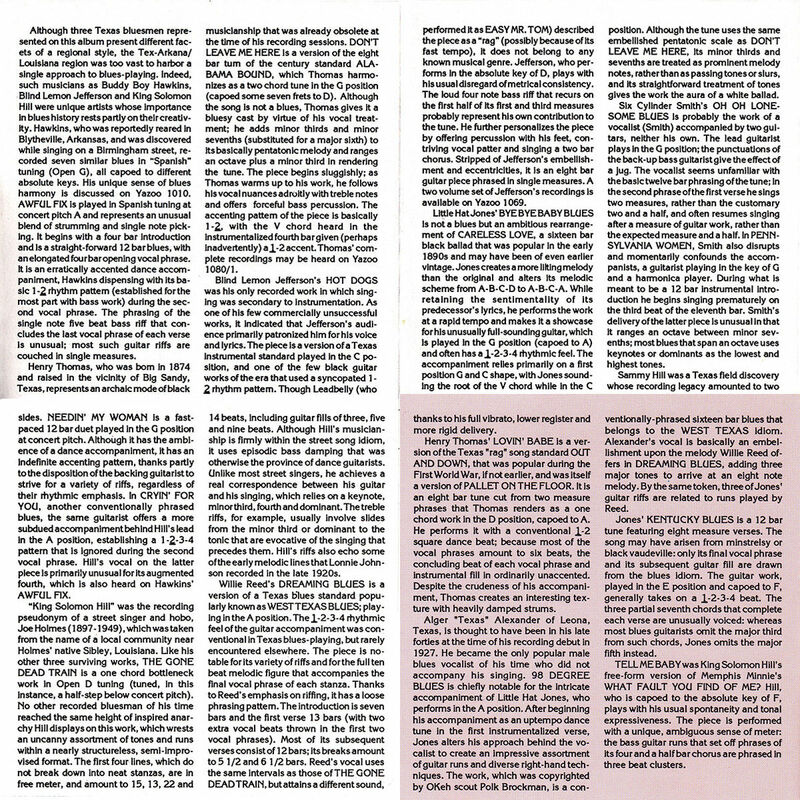 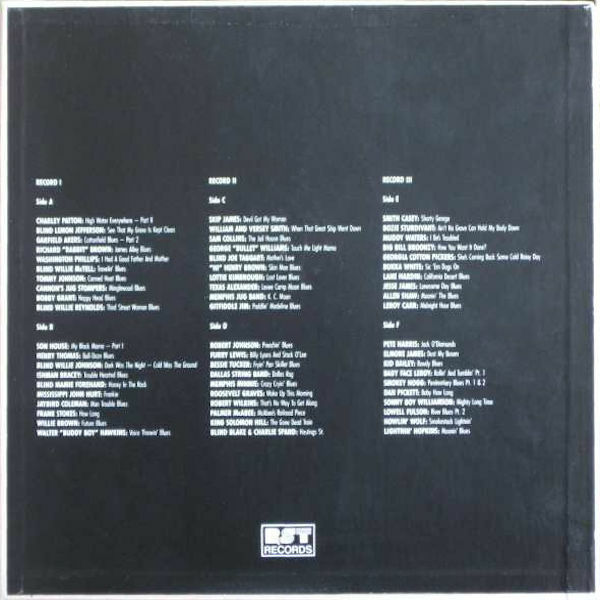 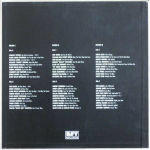 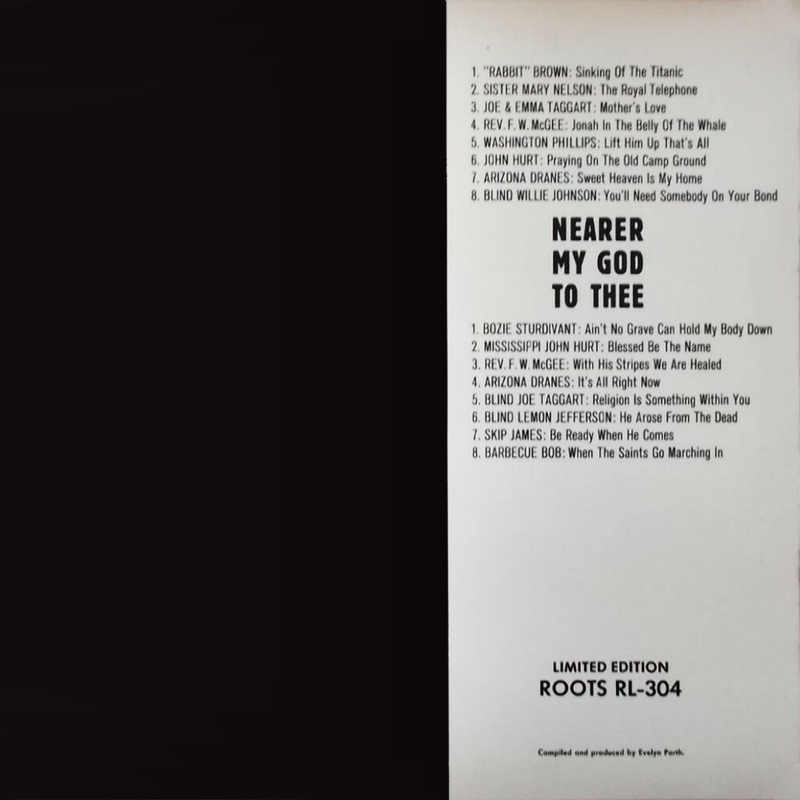 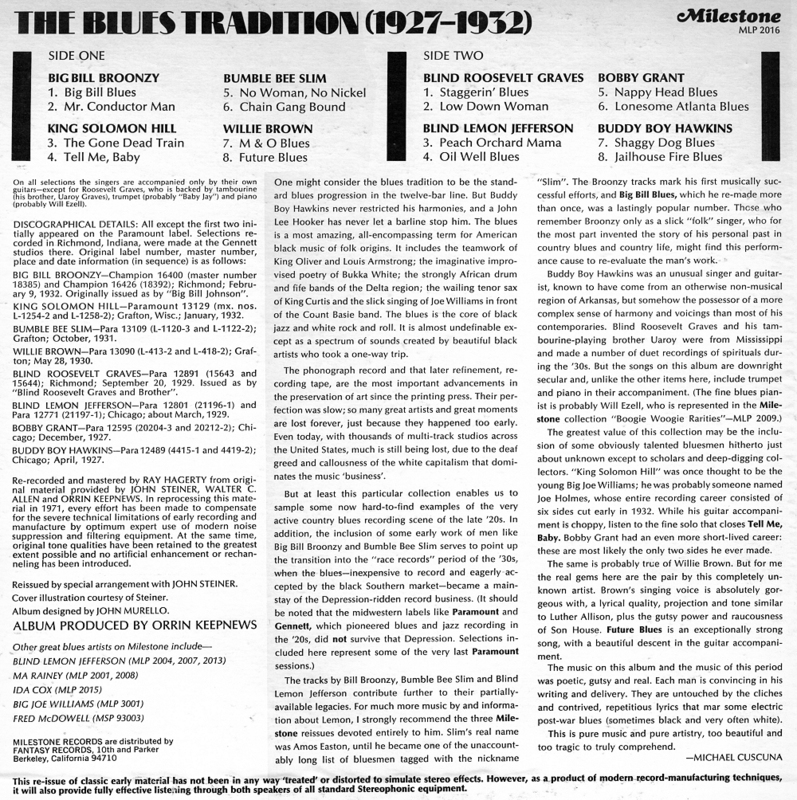 = Tradition / Rykodisc TCD 1011 (4/1996) "Moanin' All Over"
- Where Shall I Be? 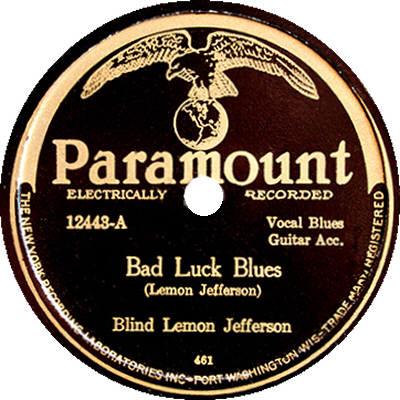 - Gonna Quit That Man And How! - How Long, How Long? 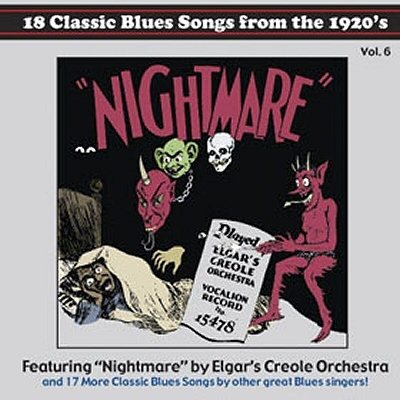 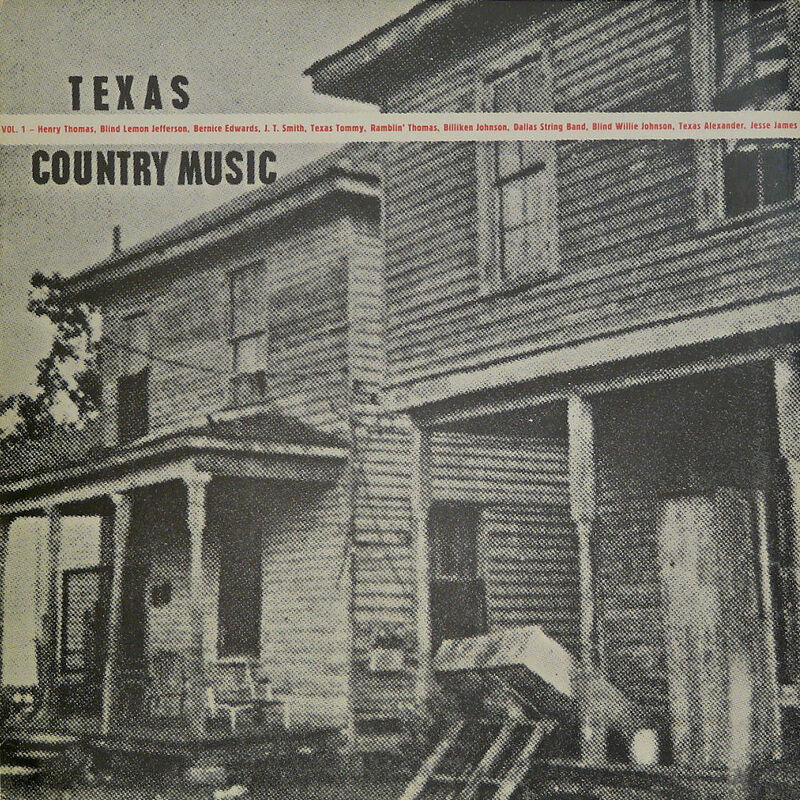 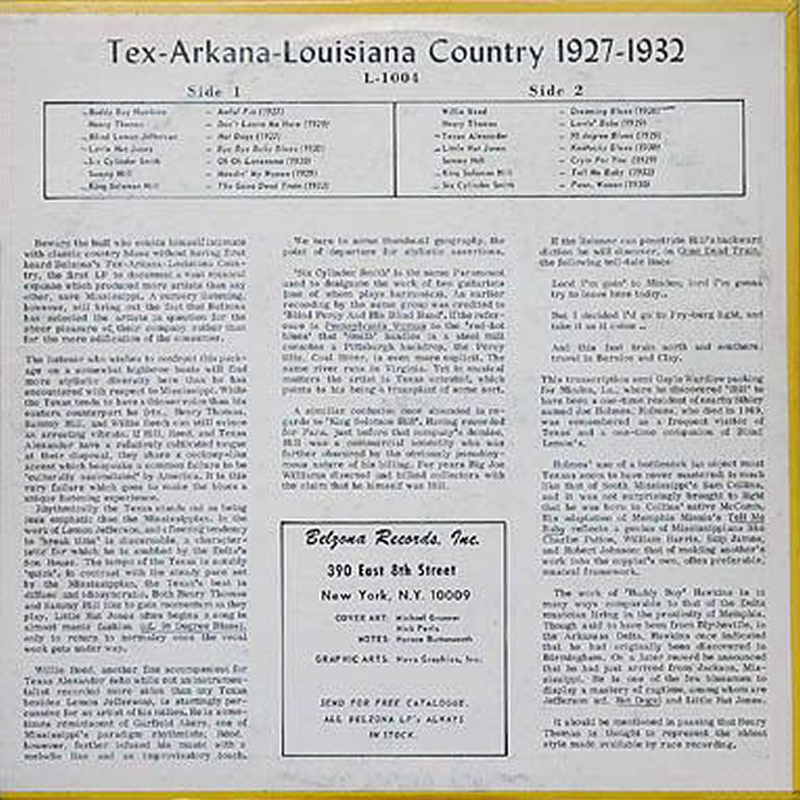 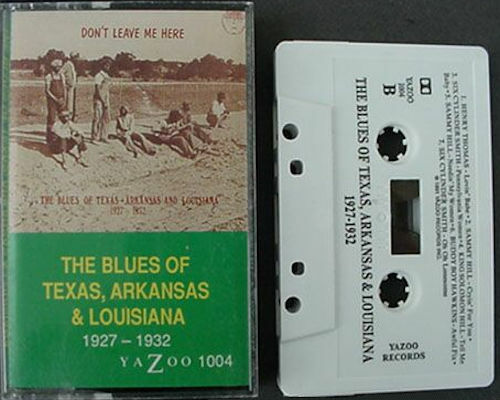 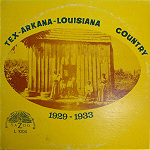 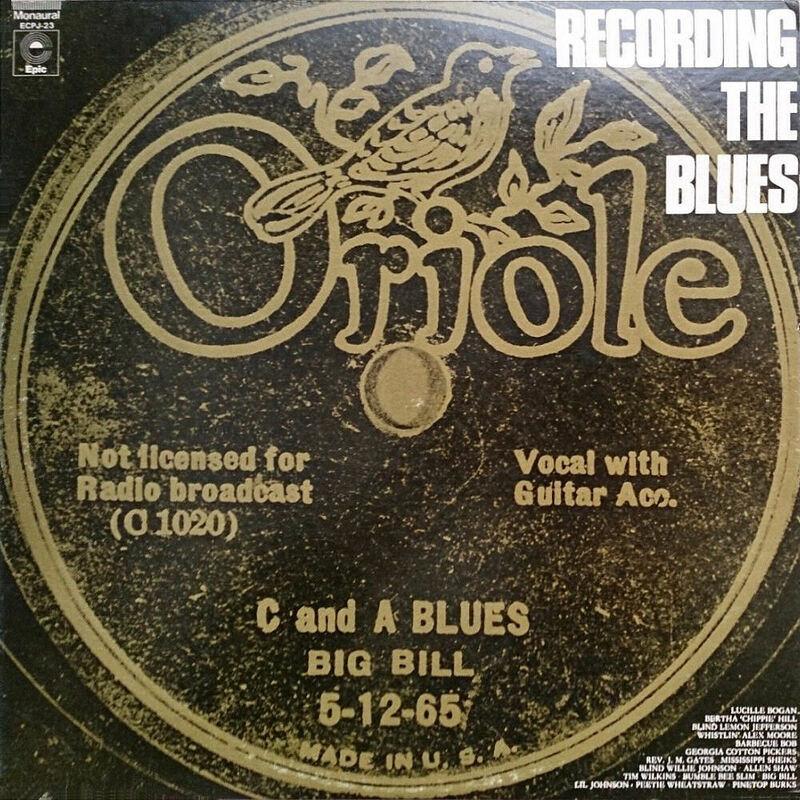 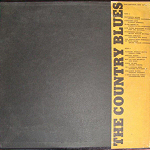 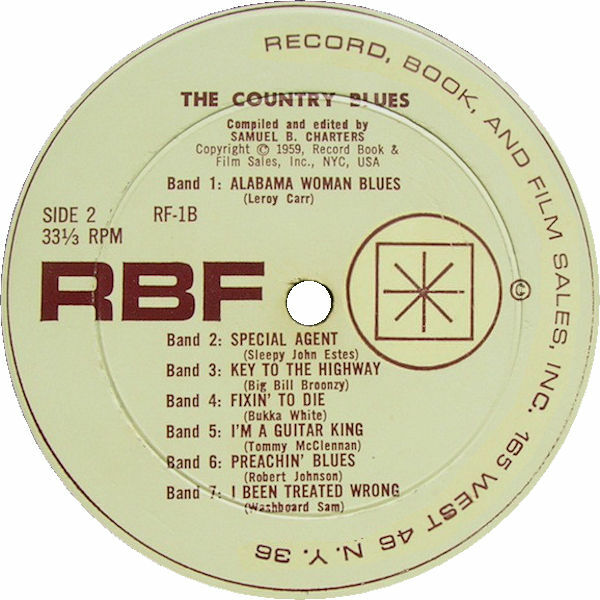 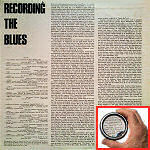 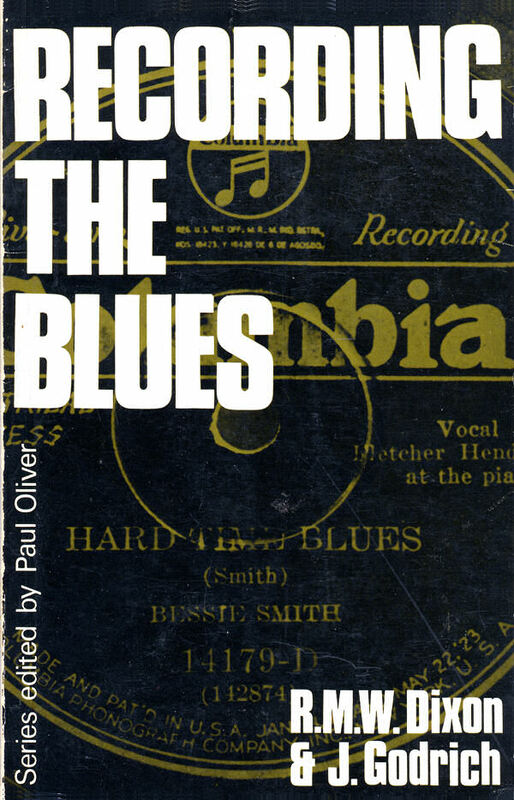 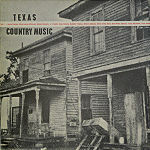 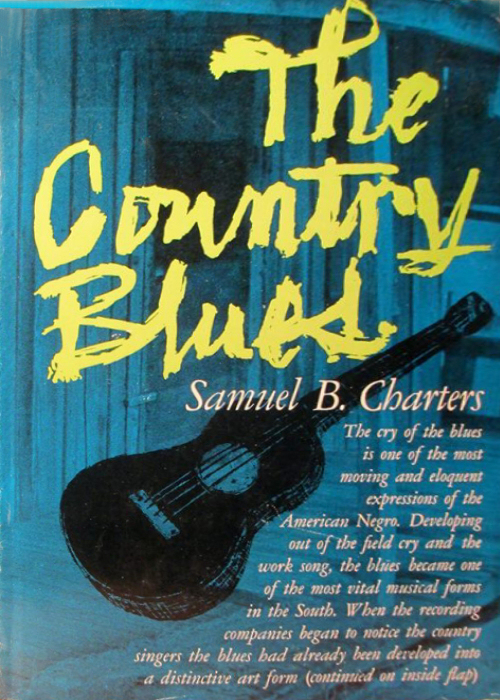 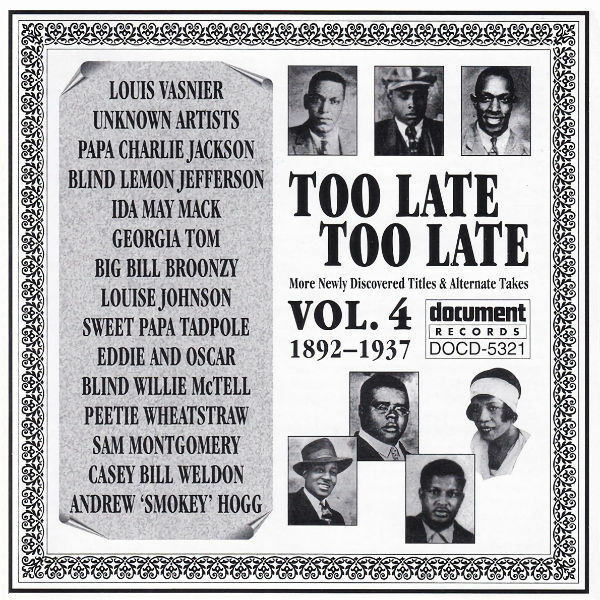 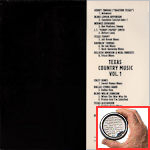 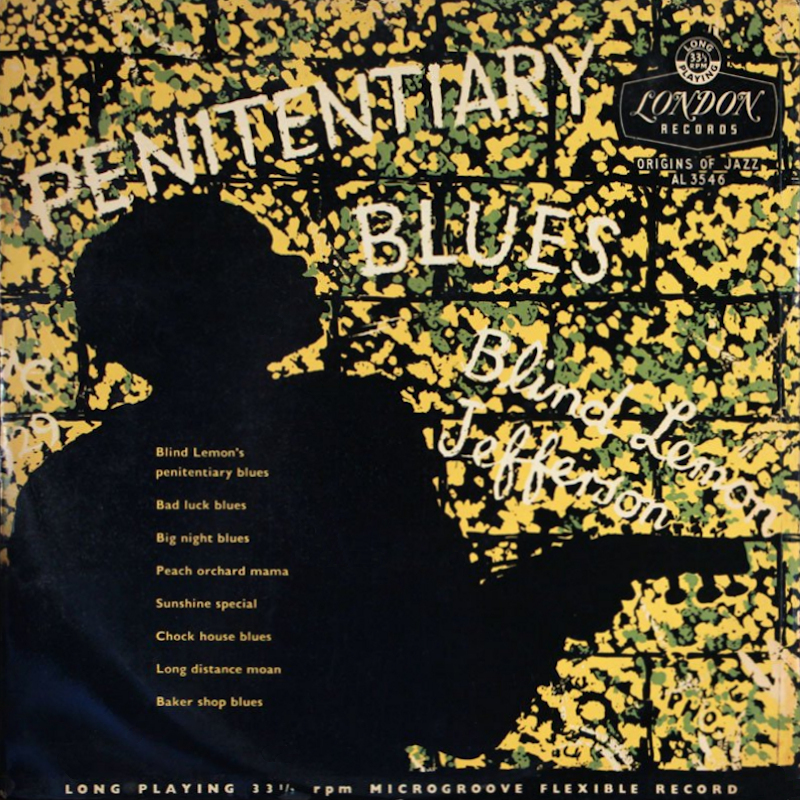 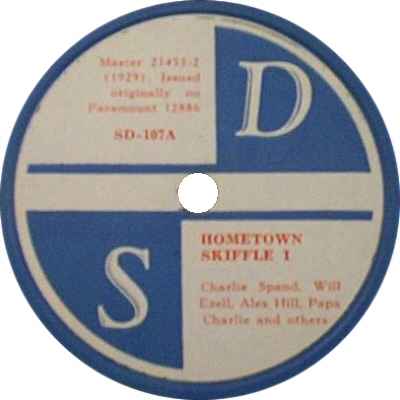 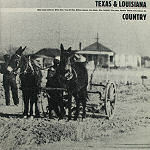 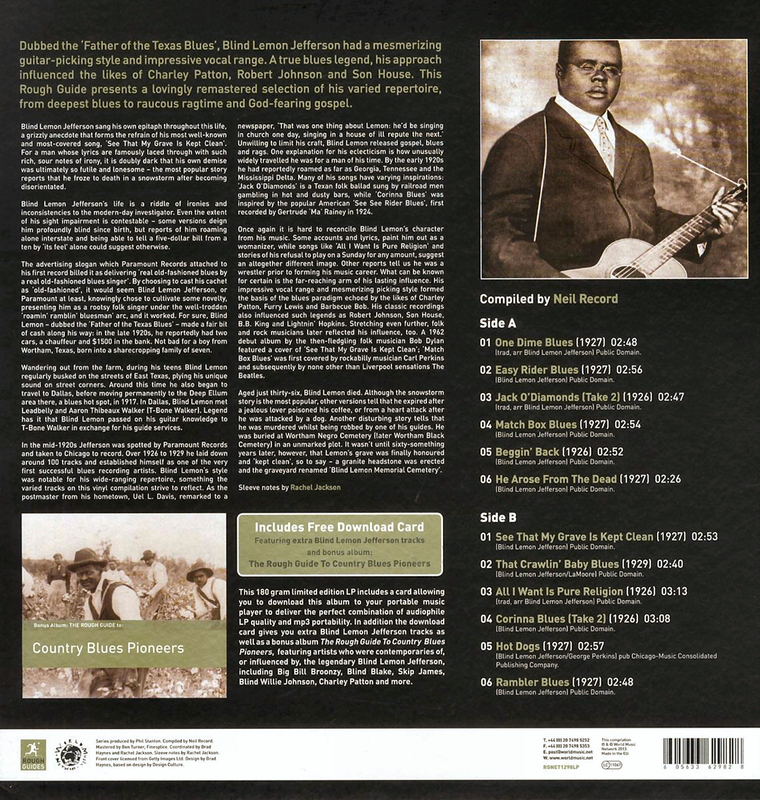 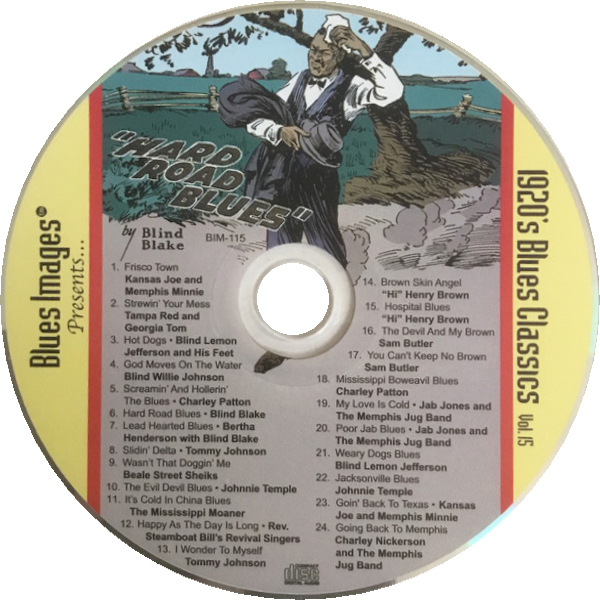 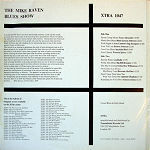 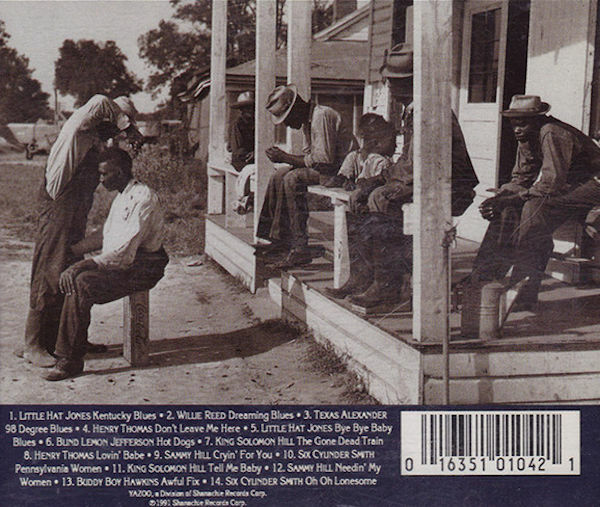 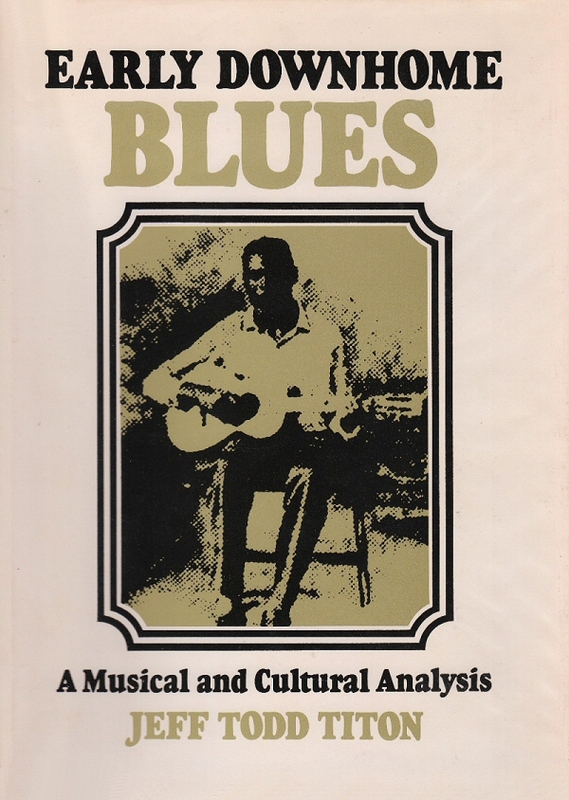 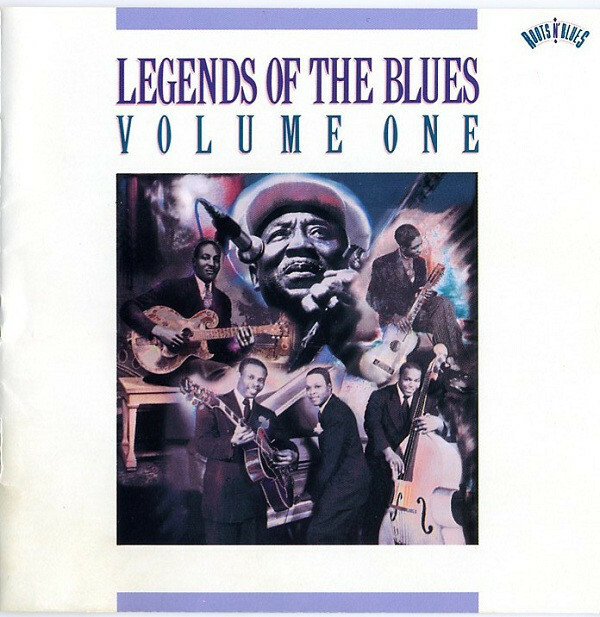 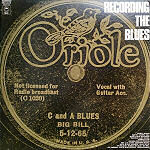 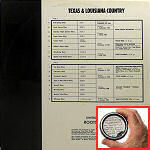 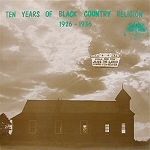 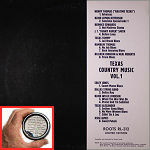 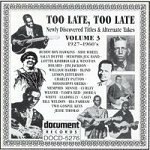 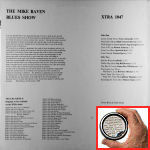 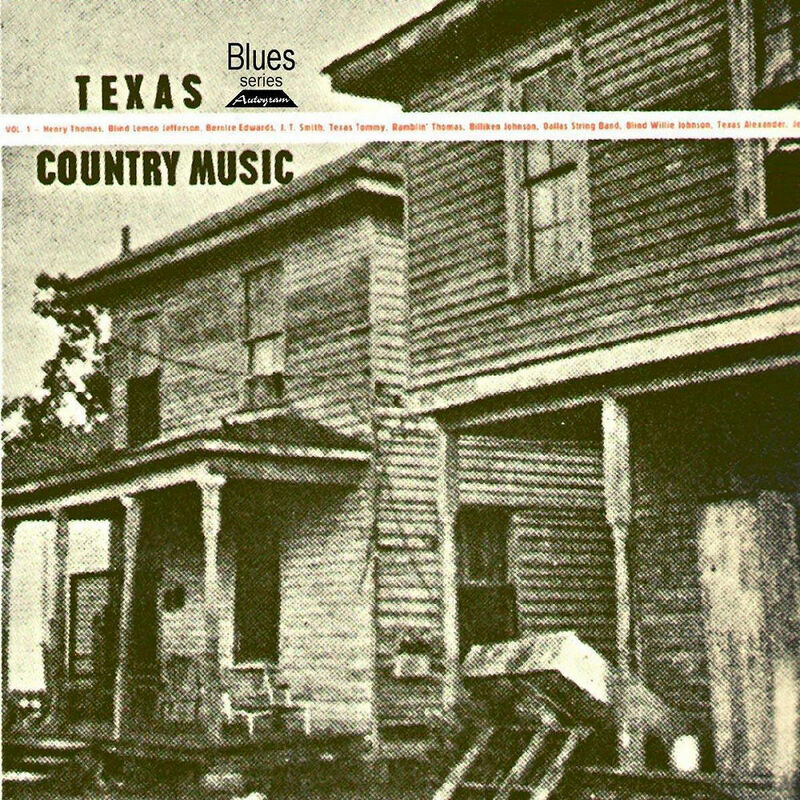 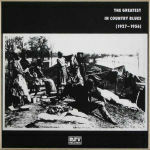 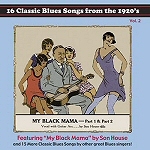 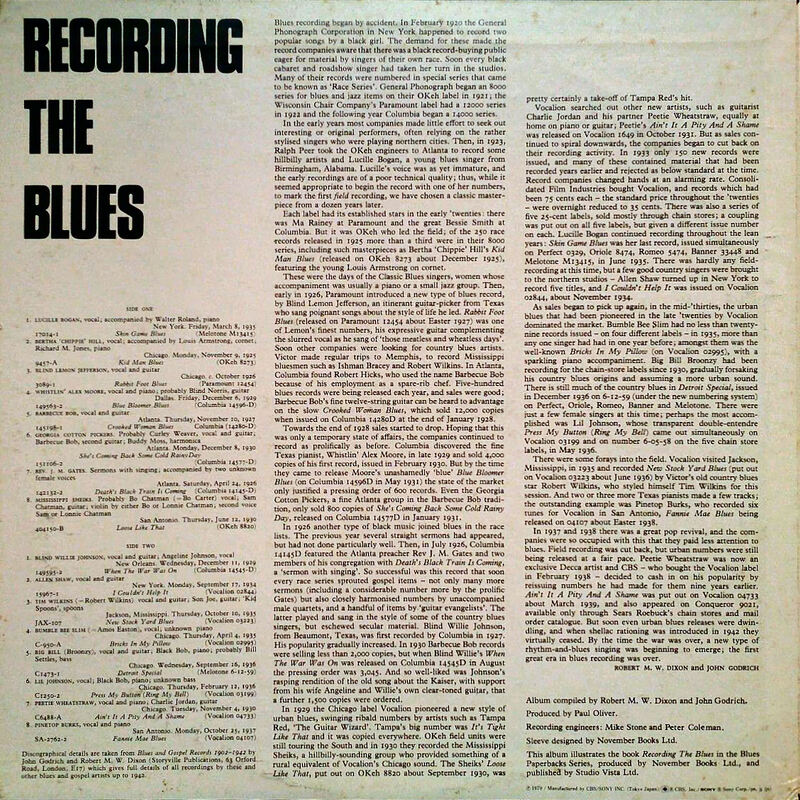 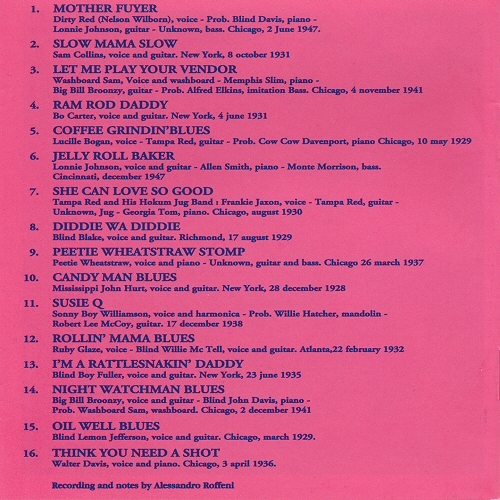 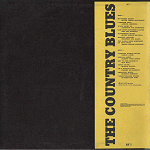 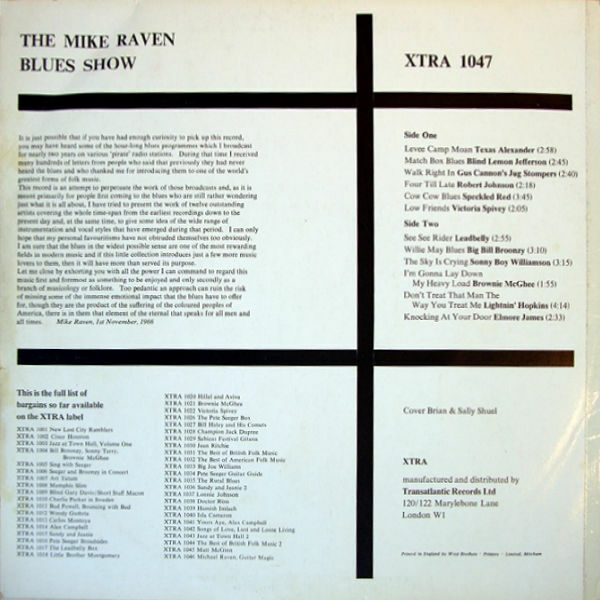 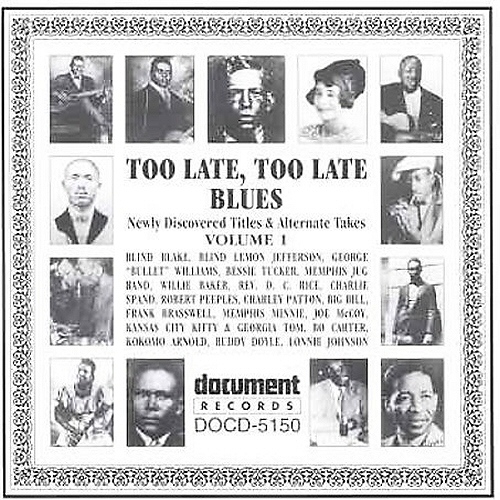 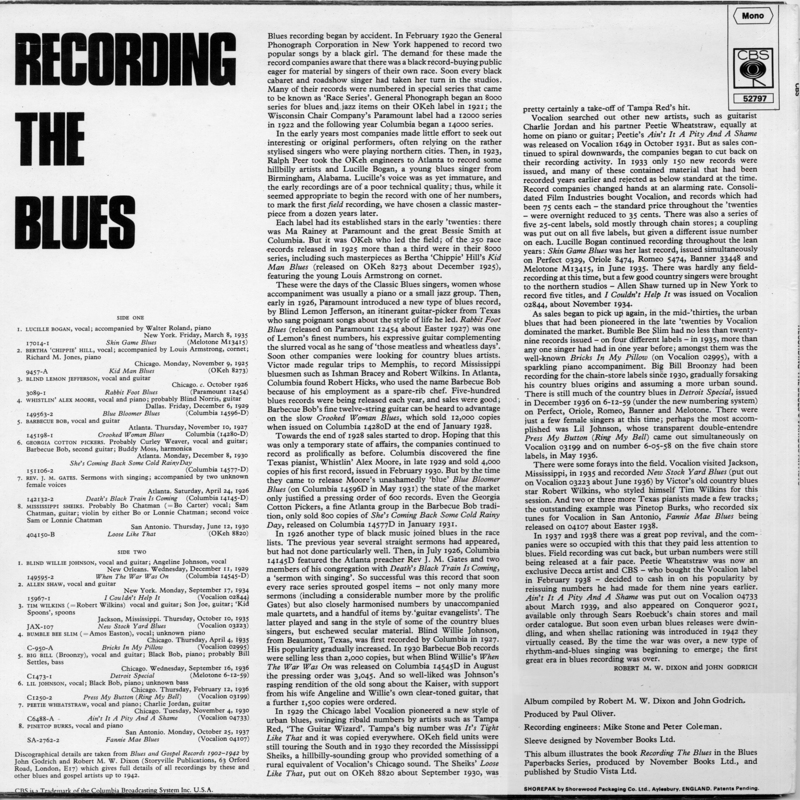 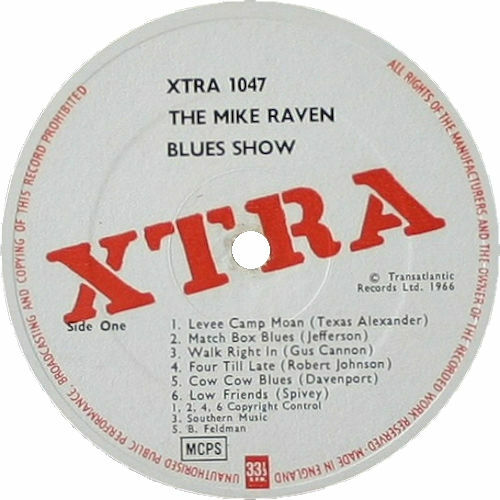 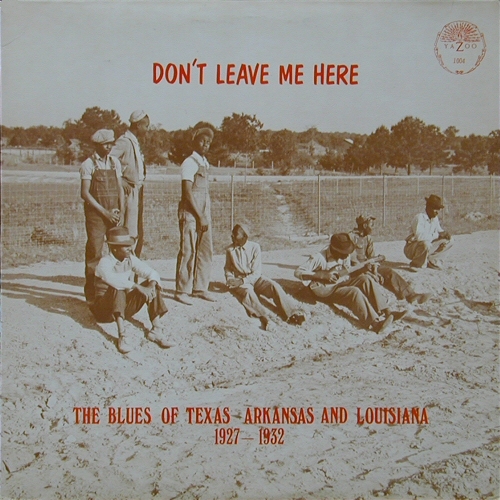 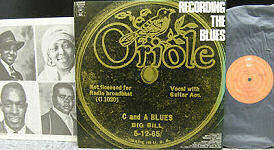 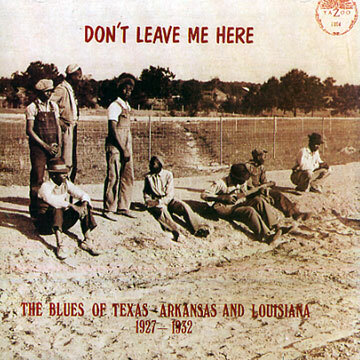 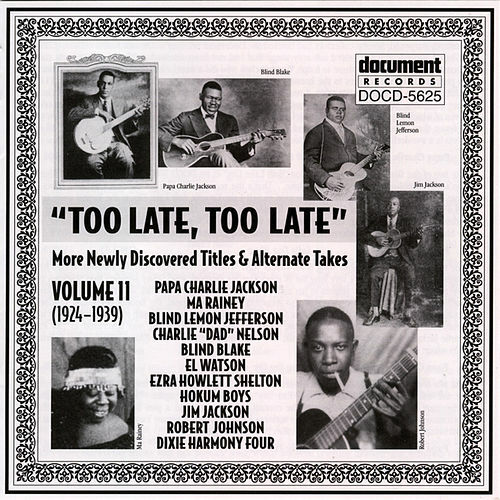 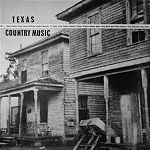 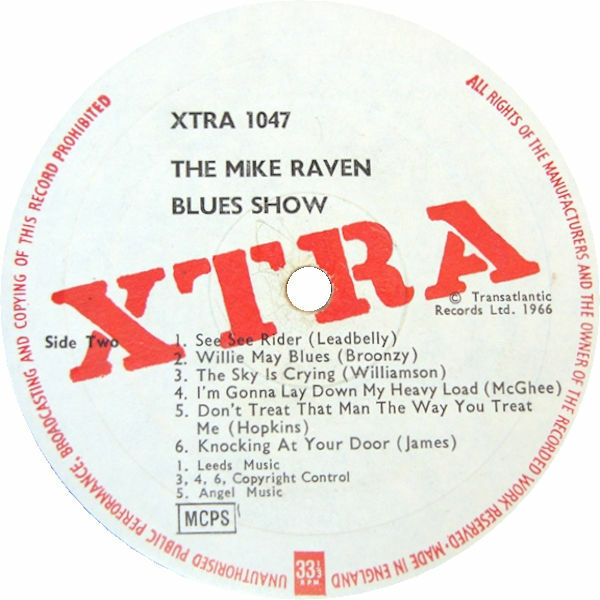 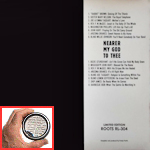 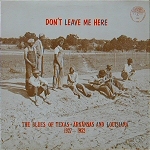 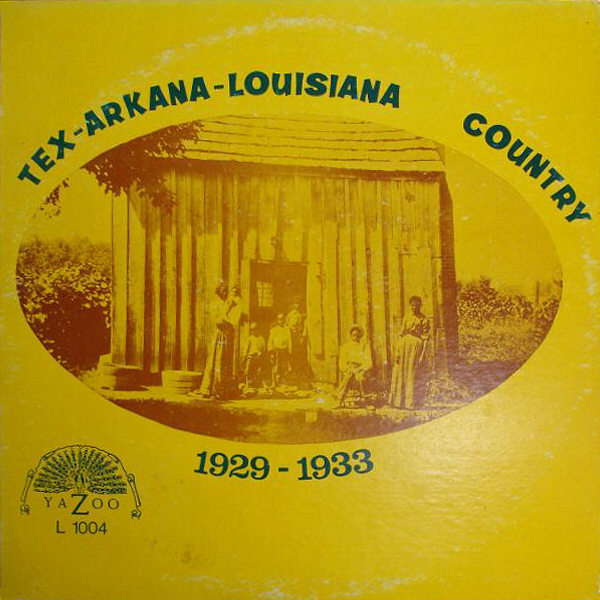 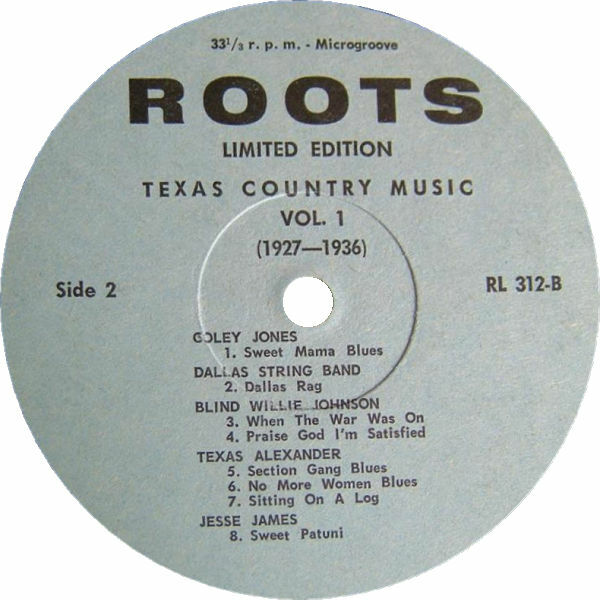 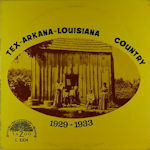 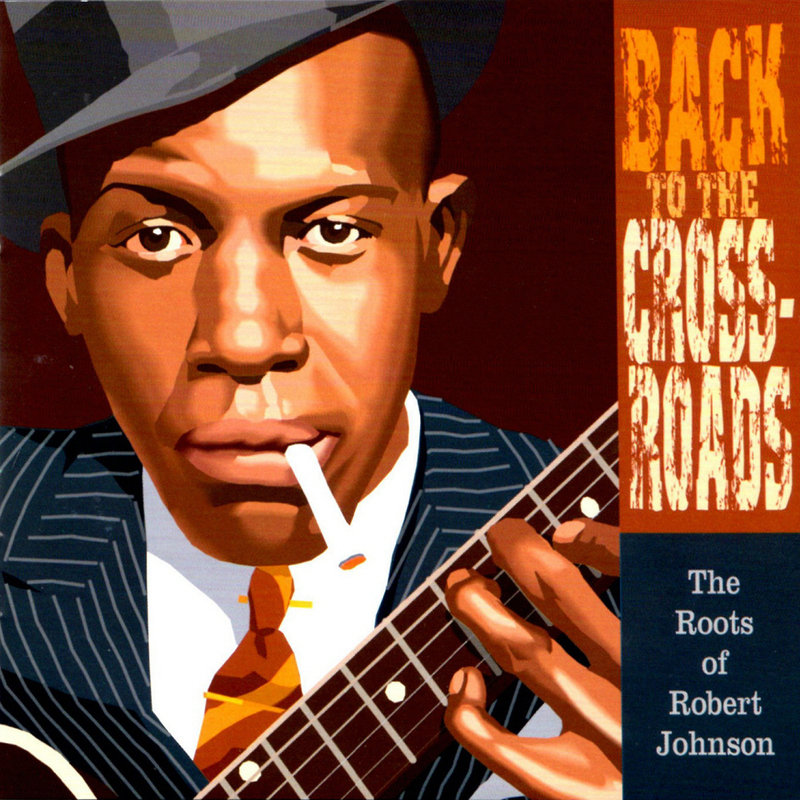 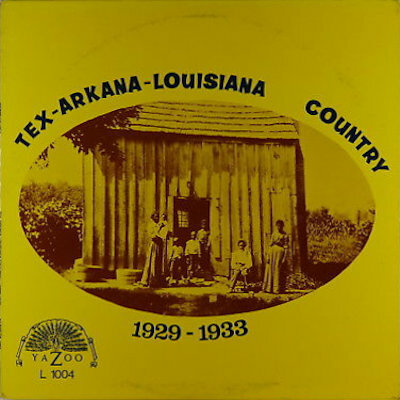 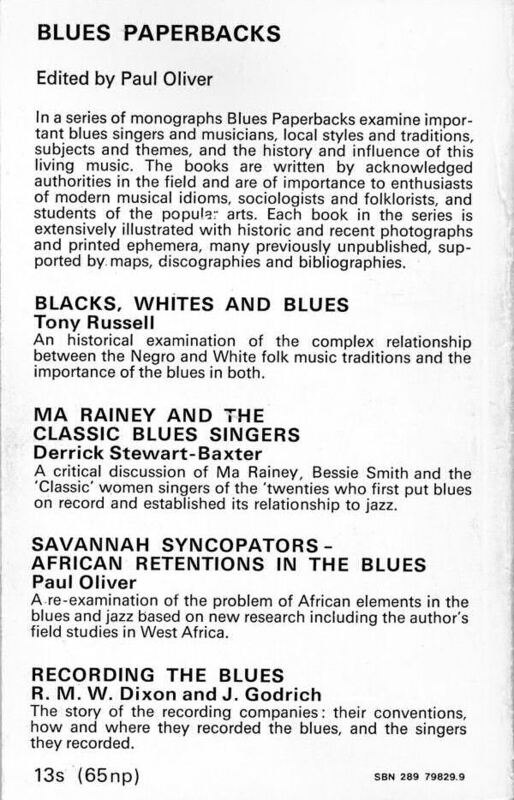 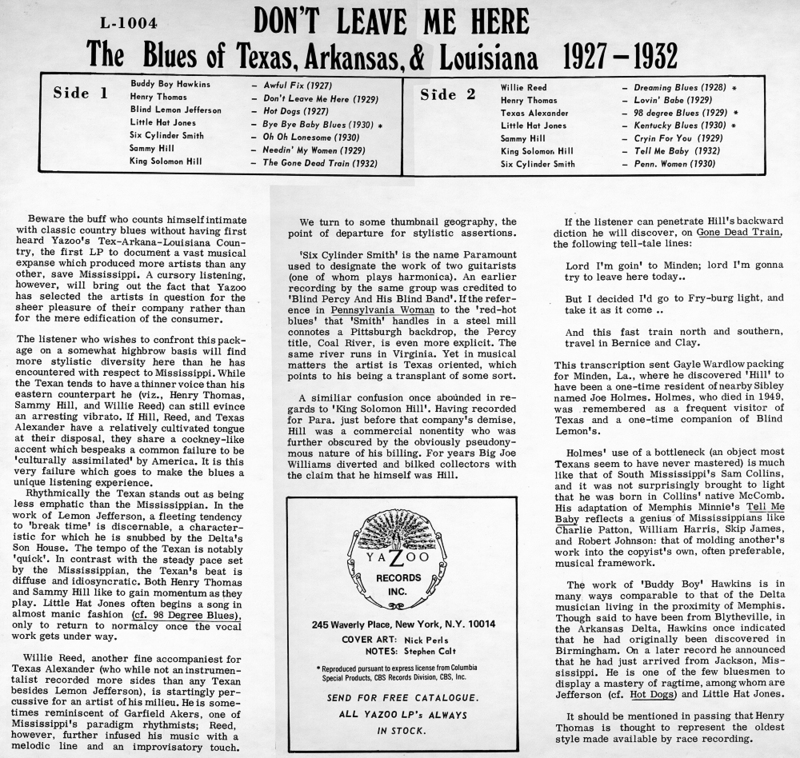 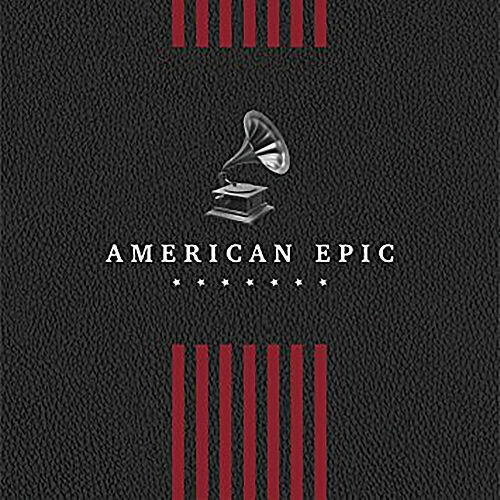 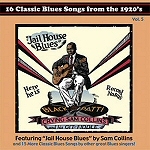 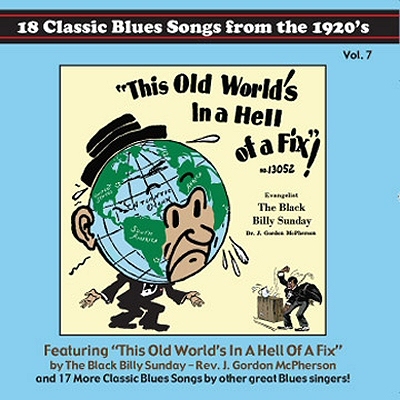 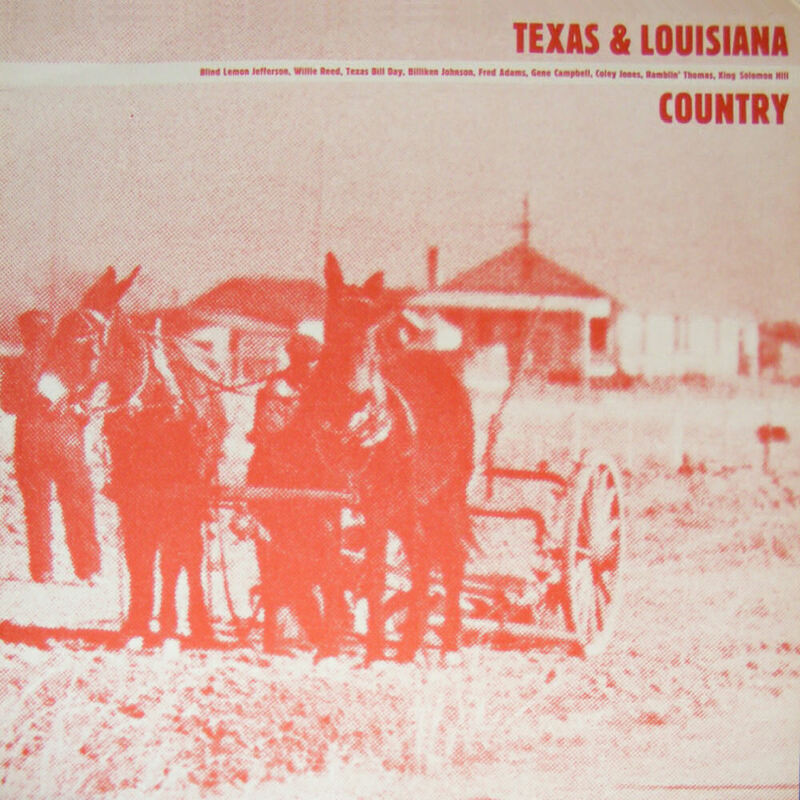 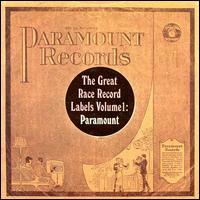 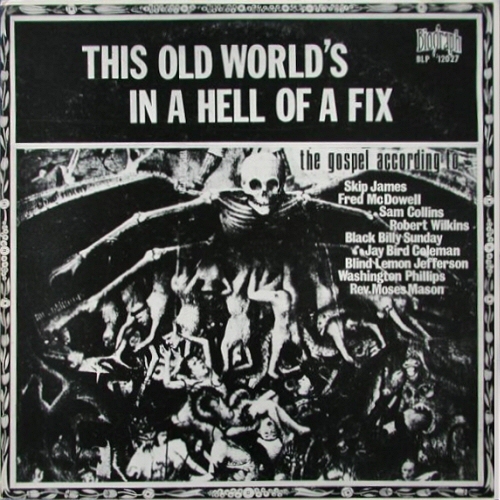 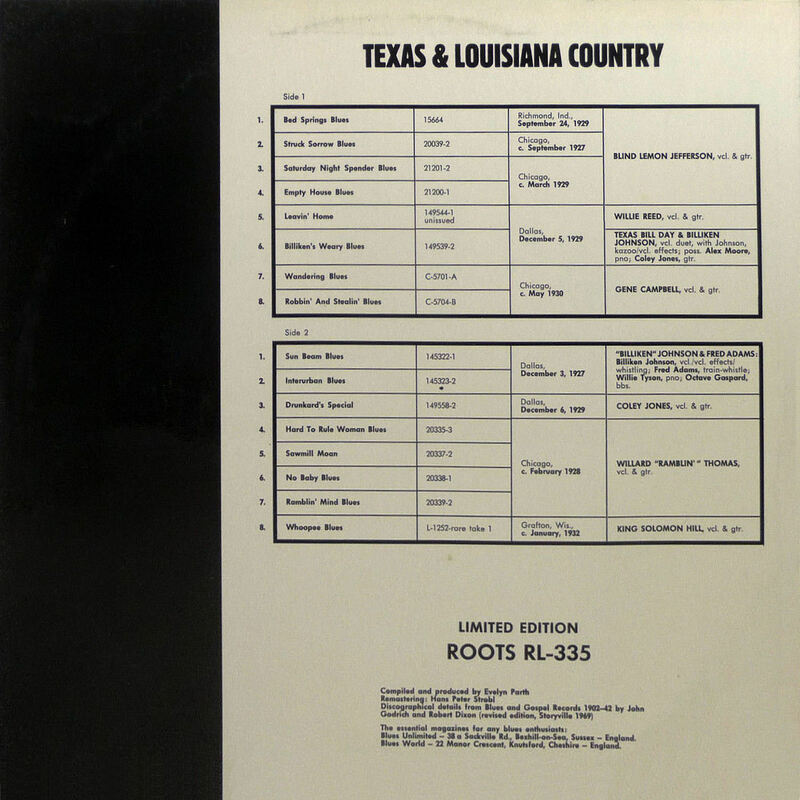 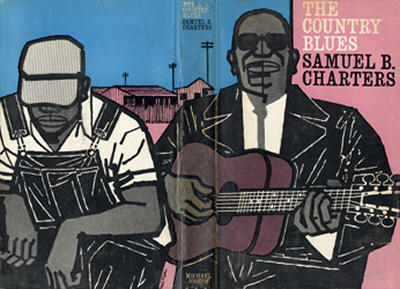 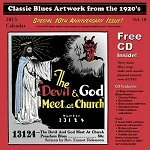 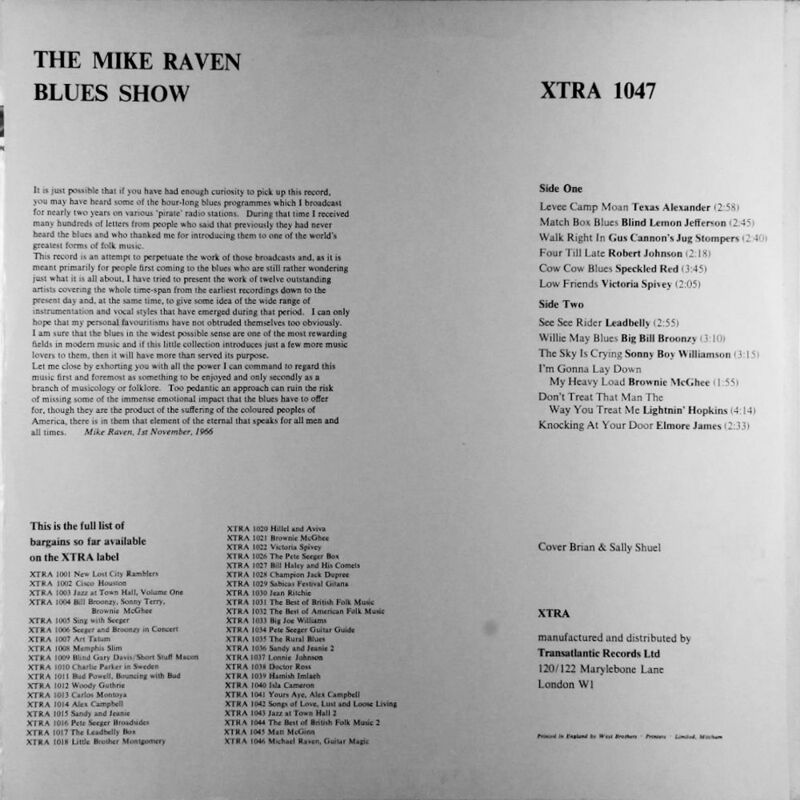 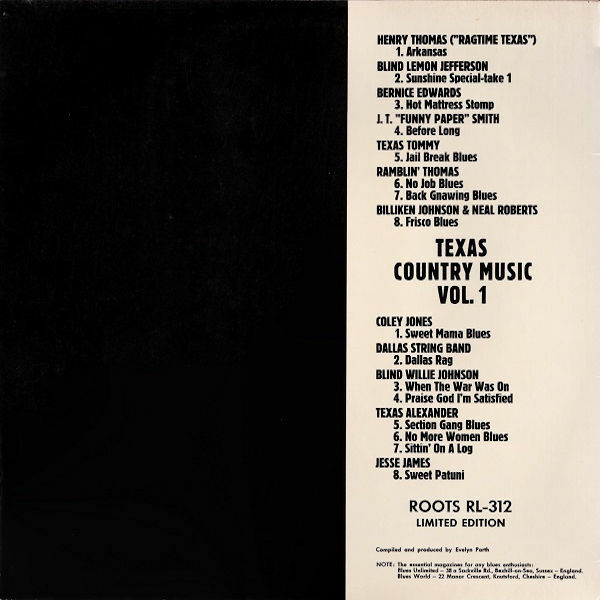 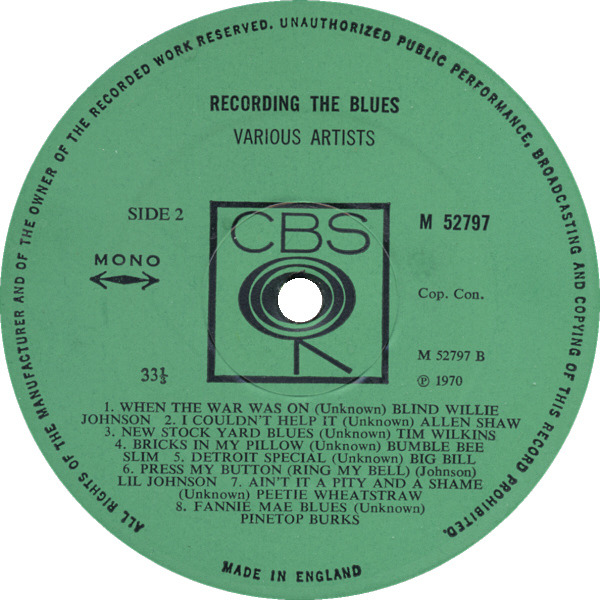 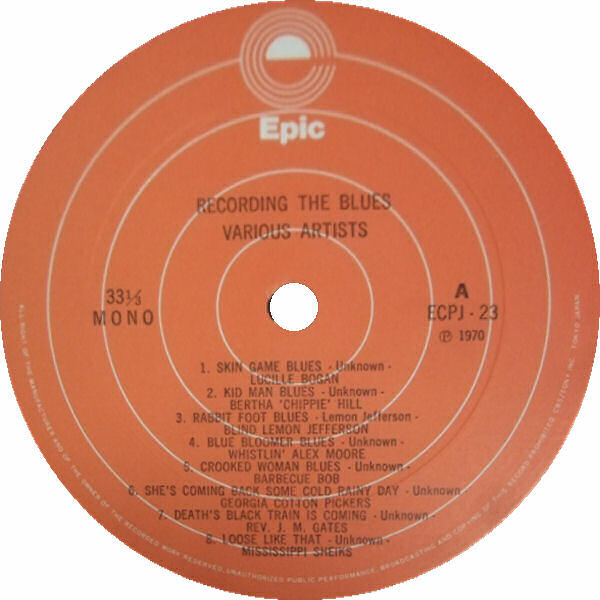 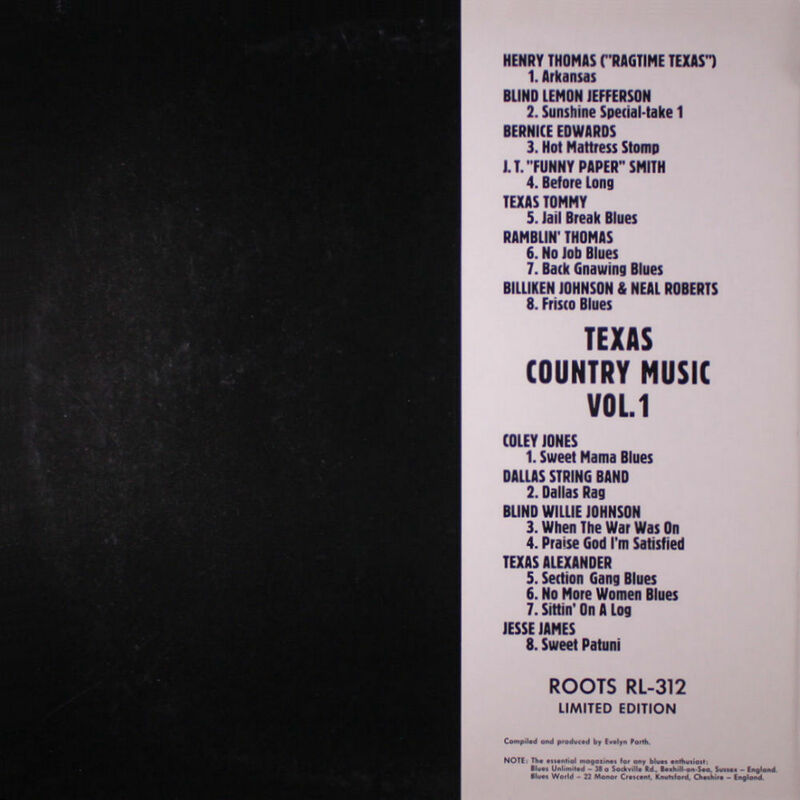 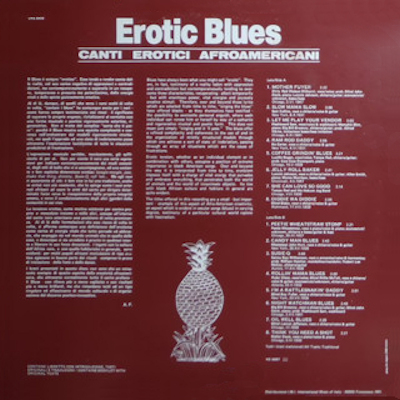 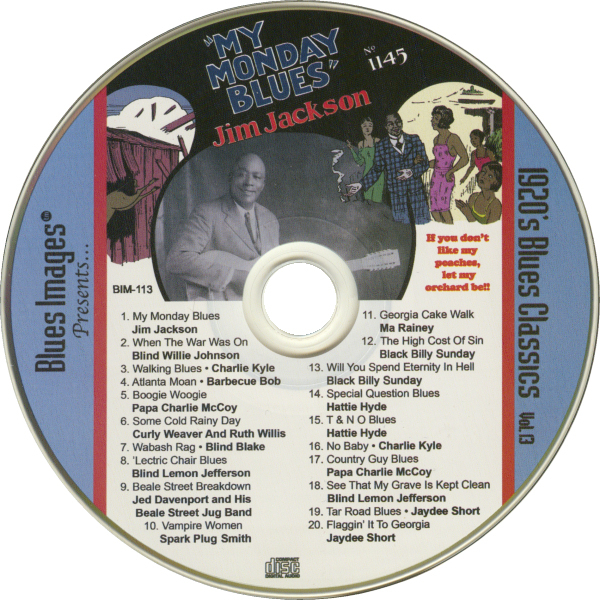 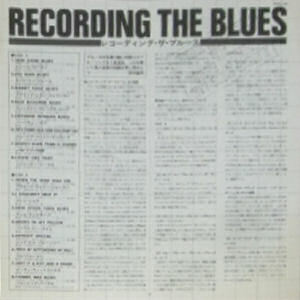 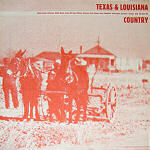 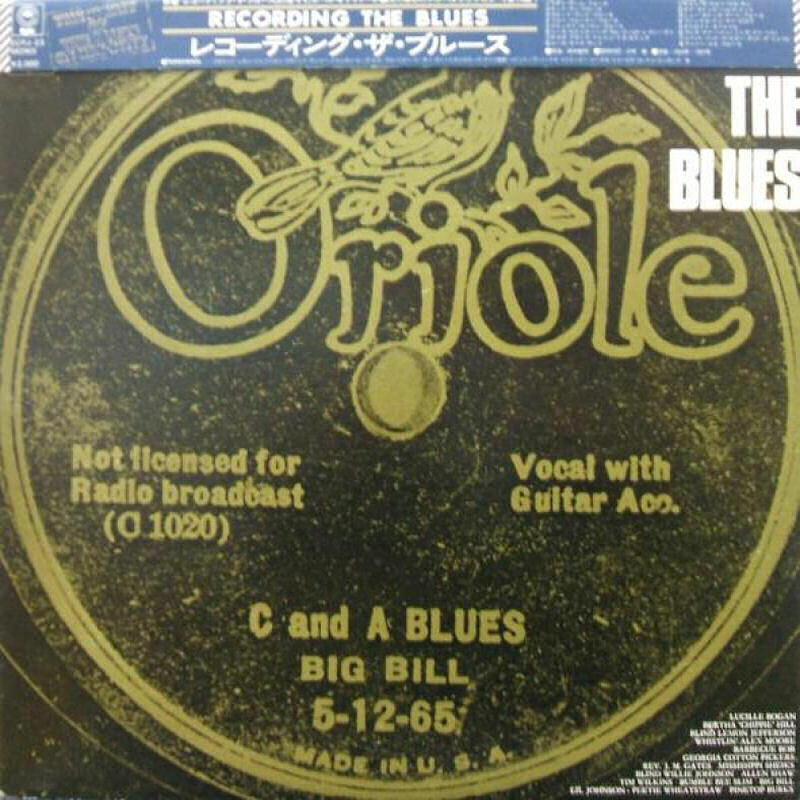 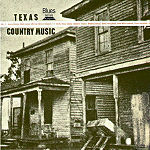 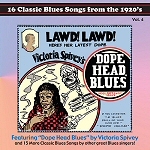 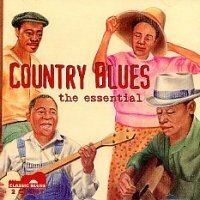 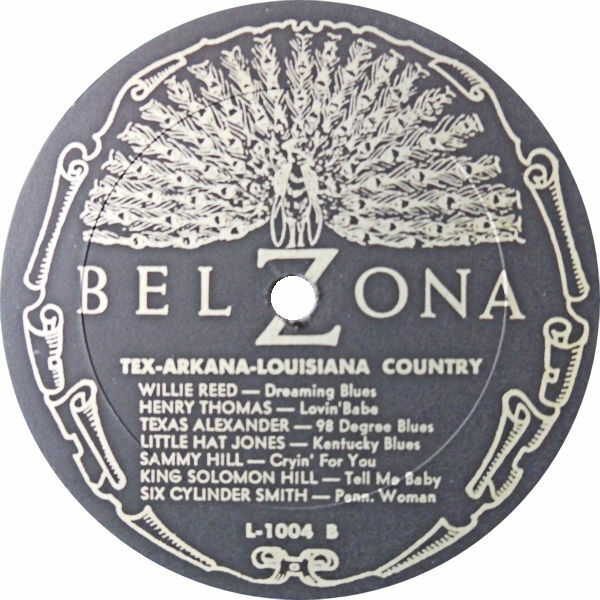 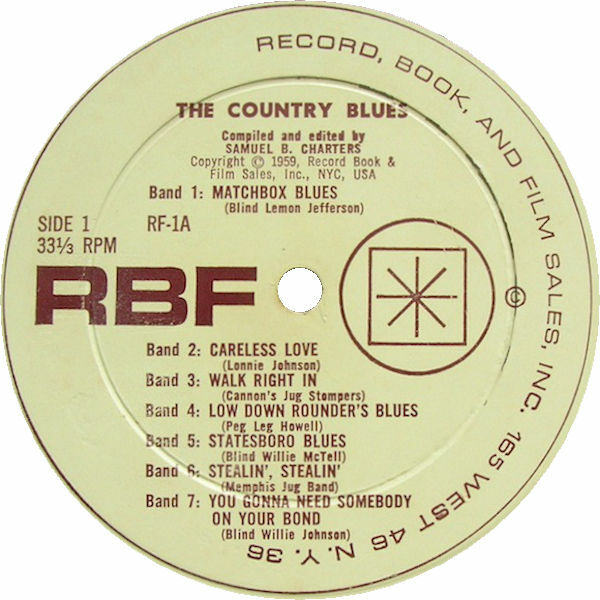 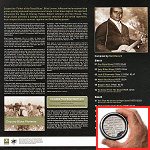 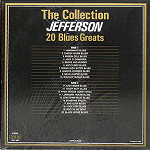 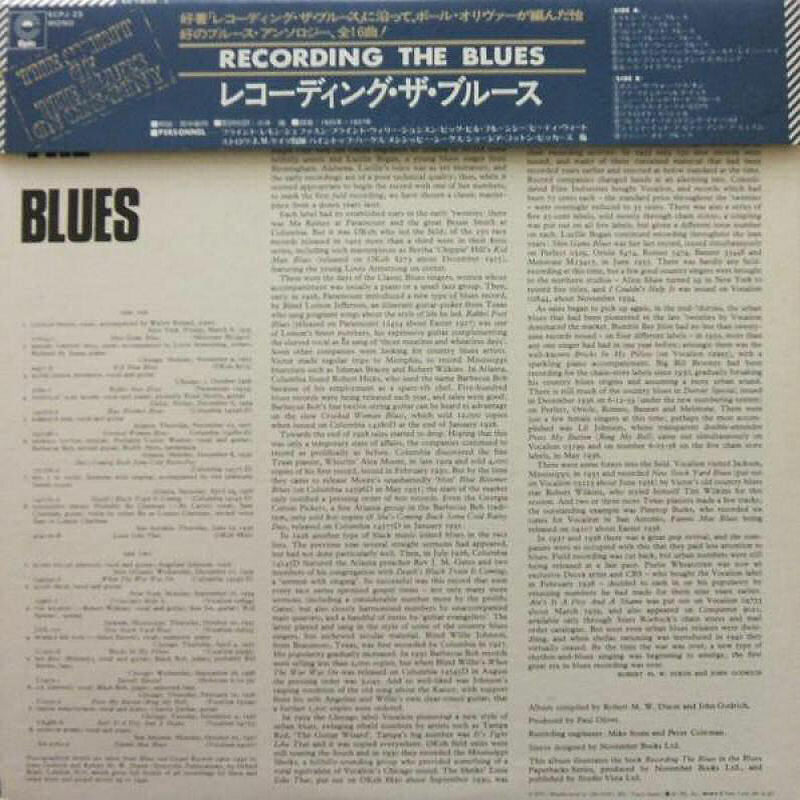 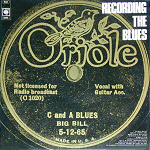 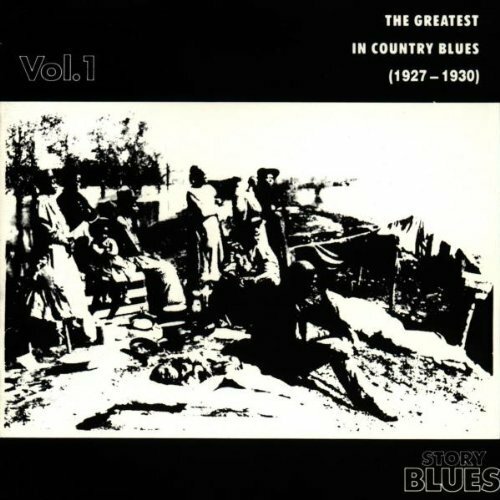 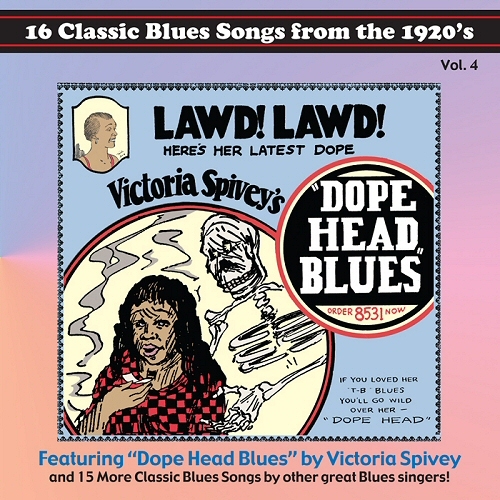 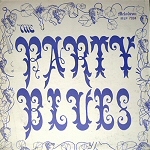 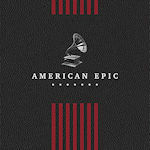 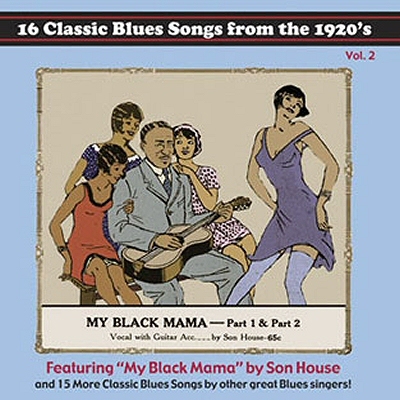 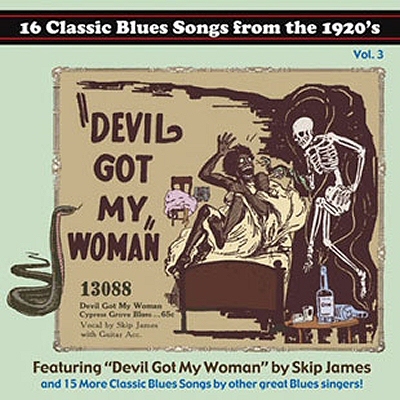 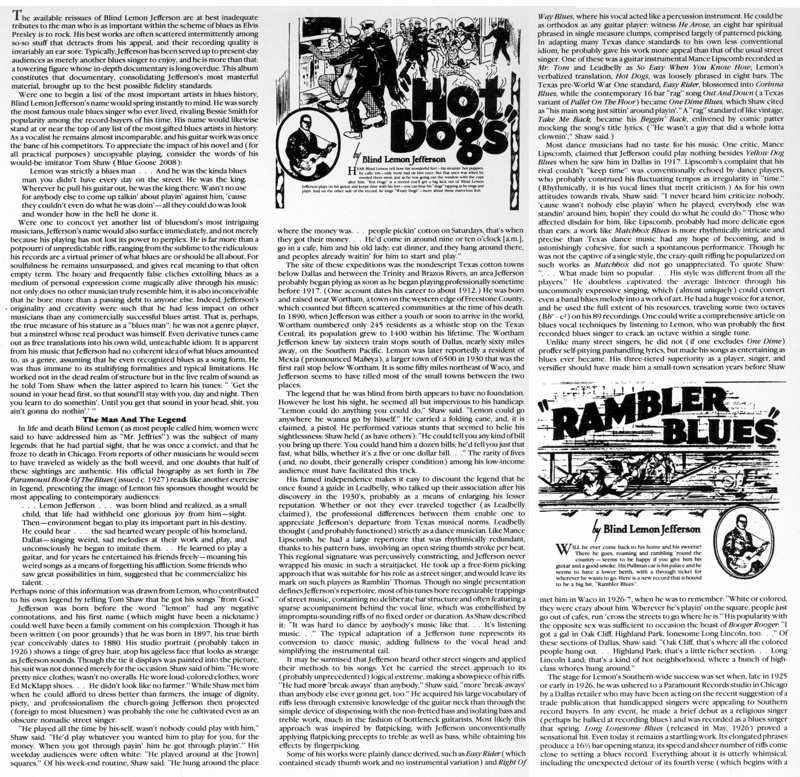 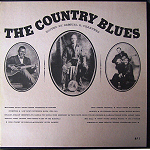 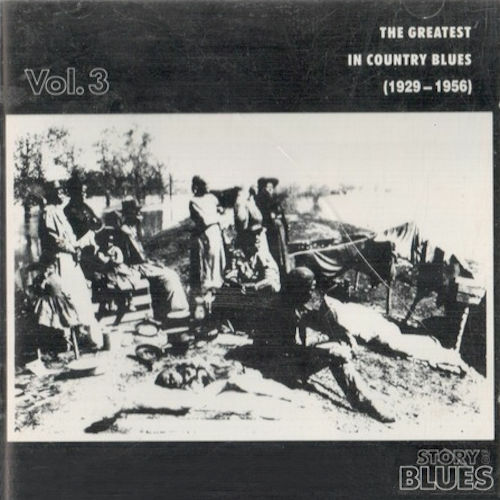 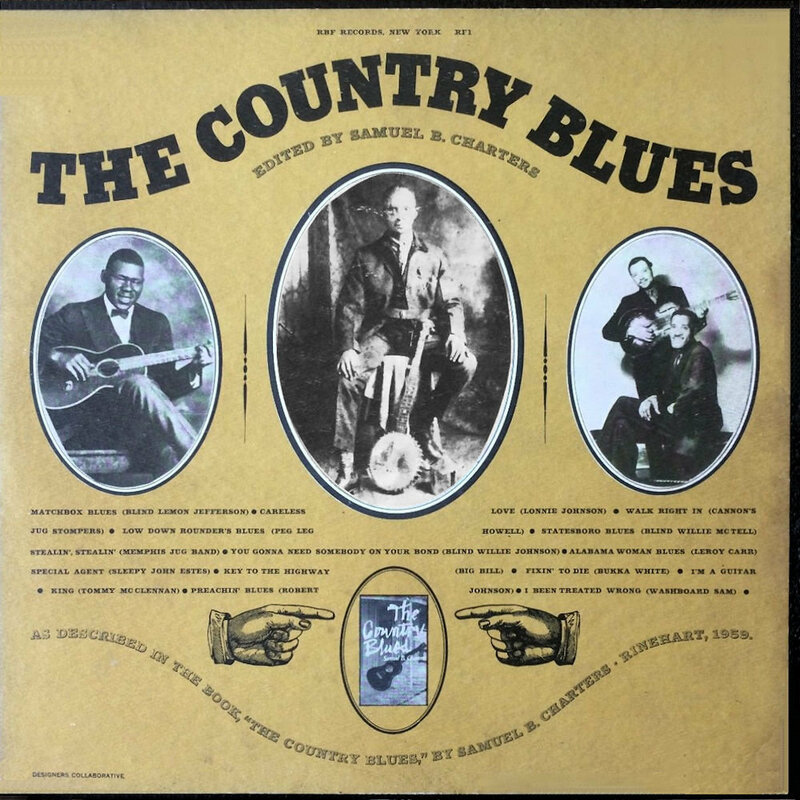 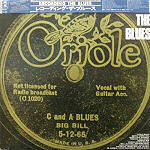 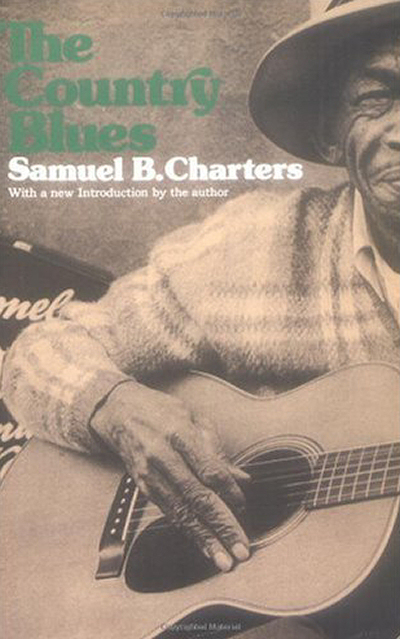 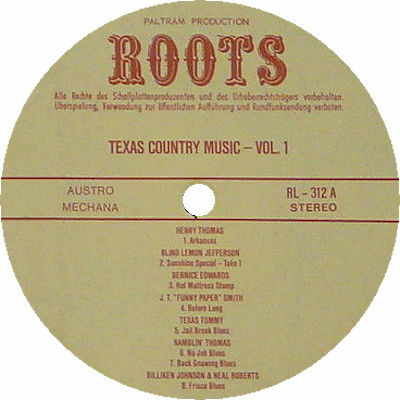 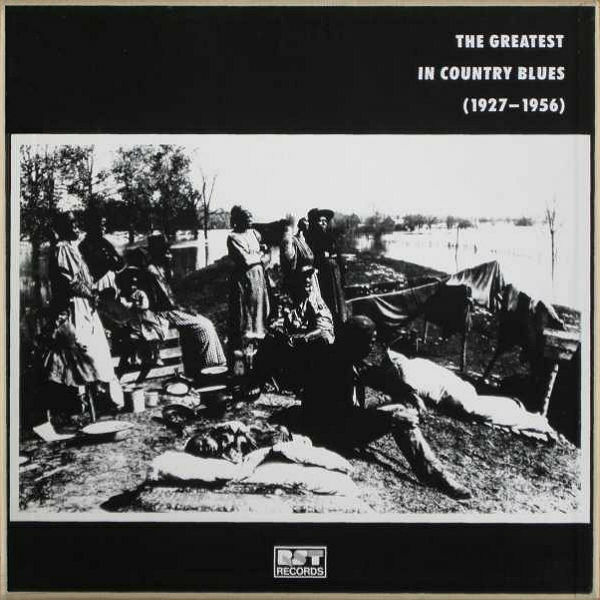 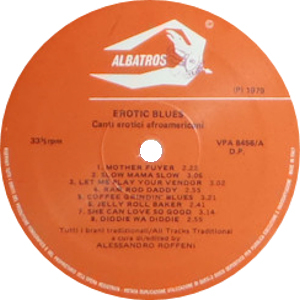 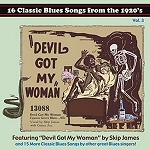 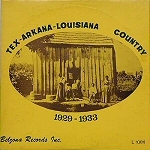 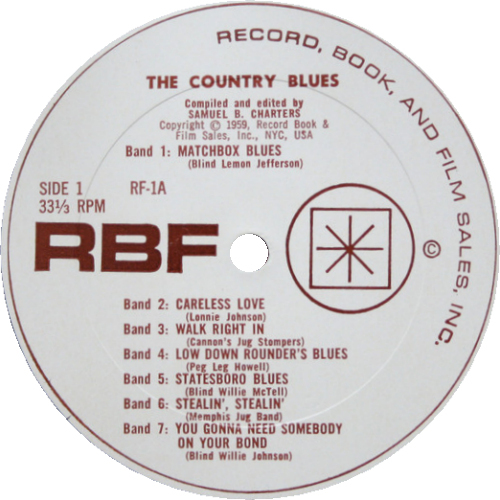 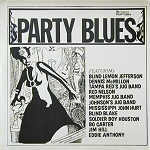 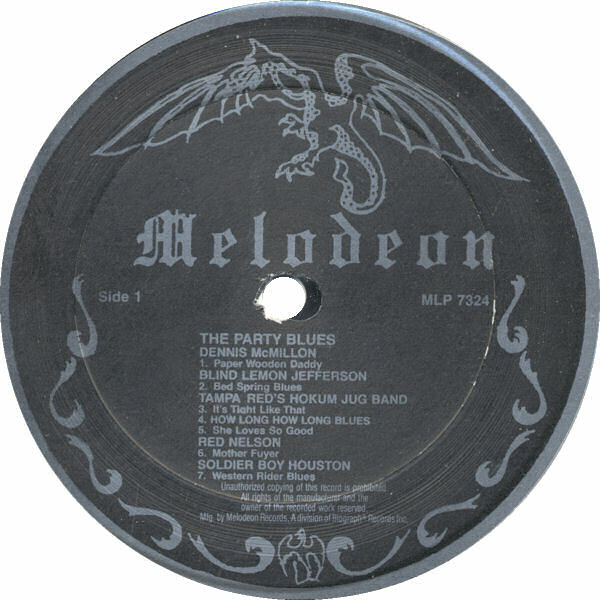 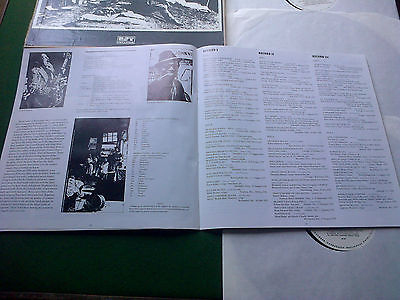 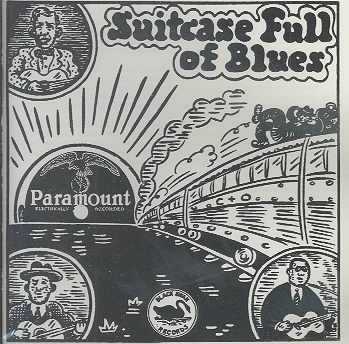 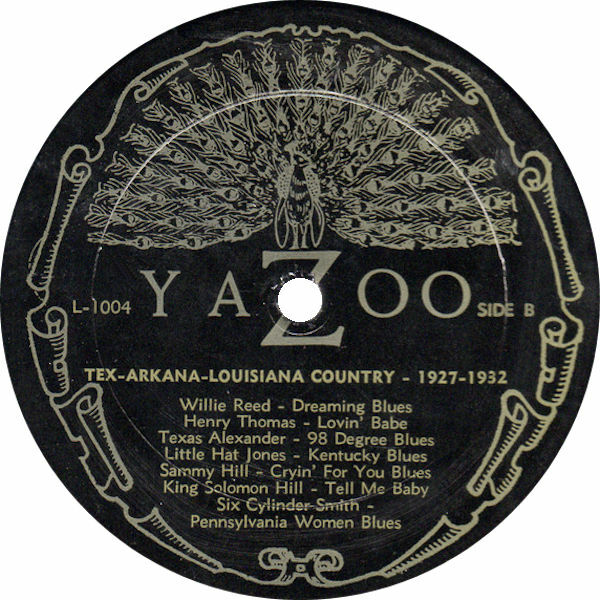 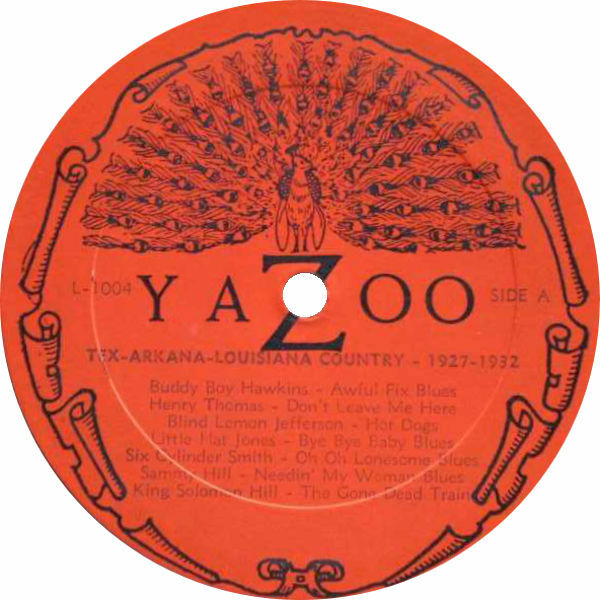 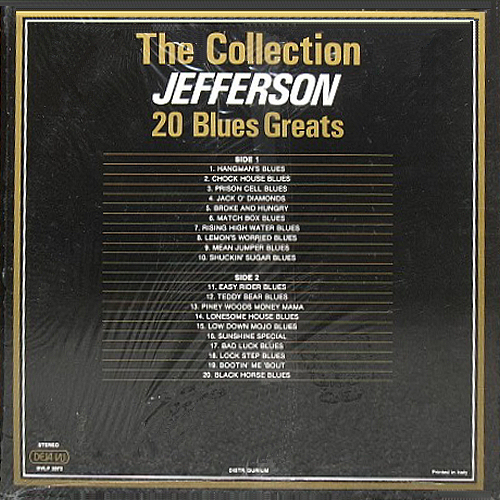 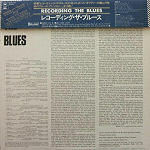 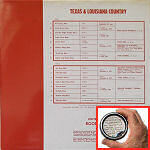 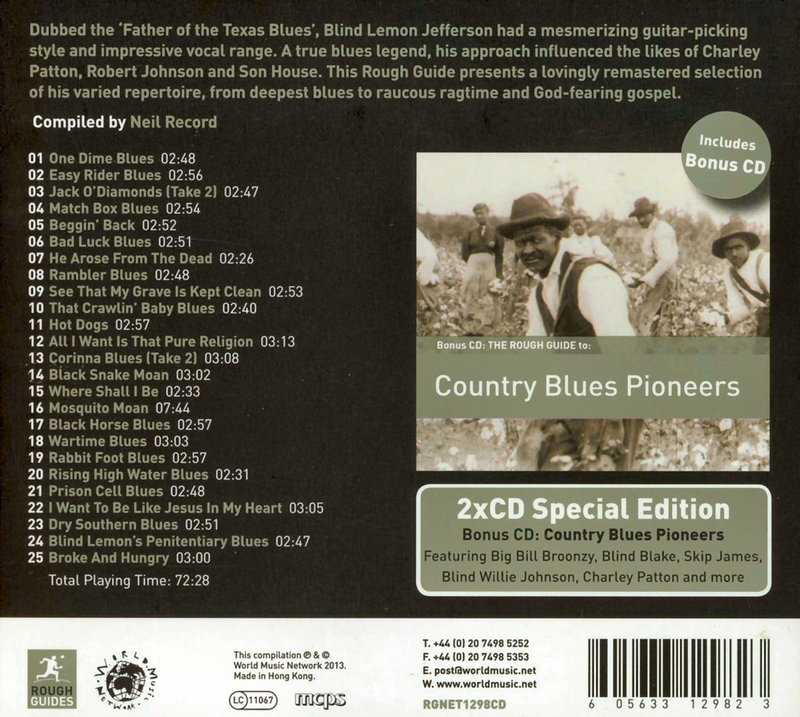 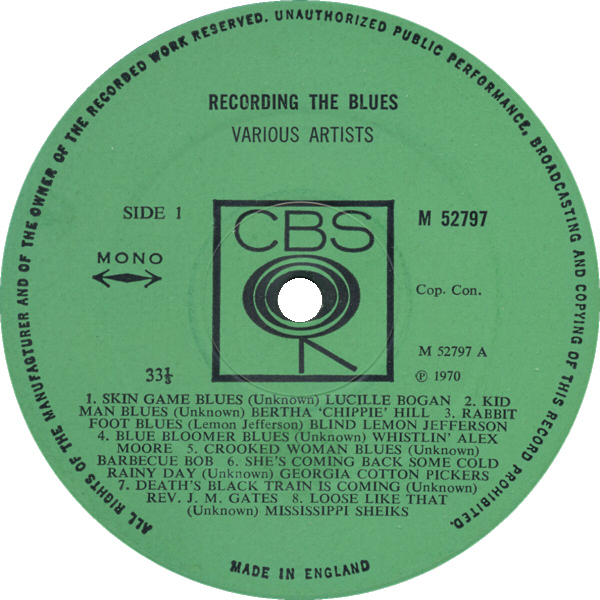 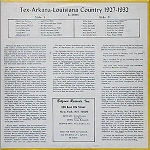 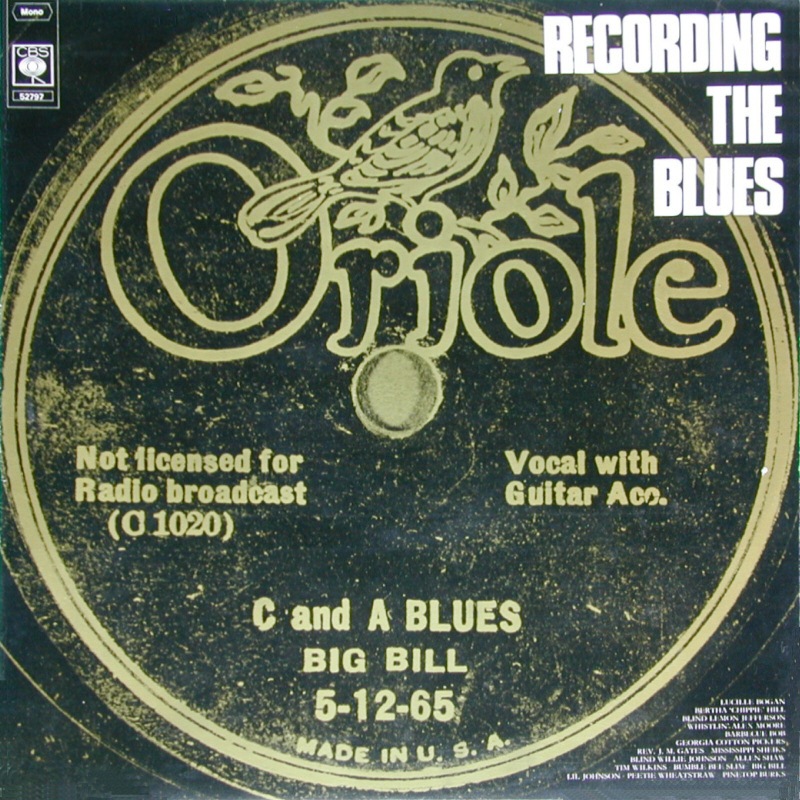 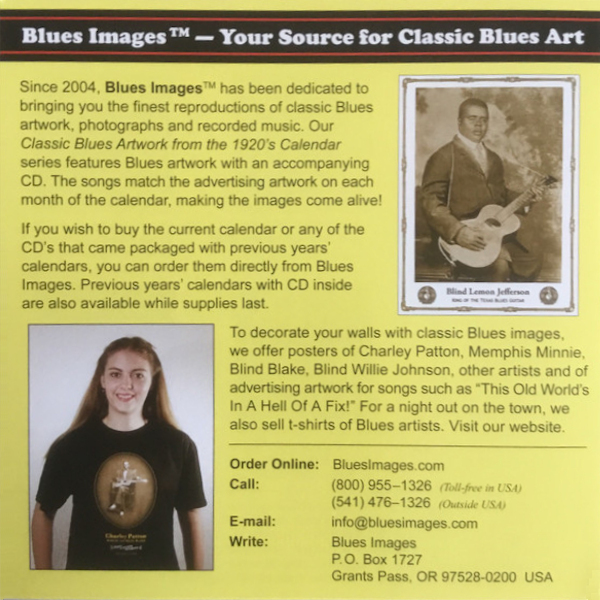 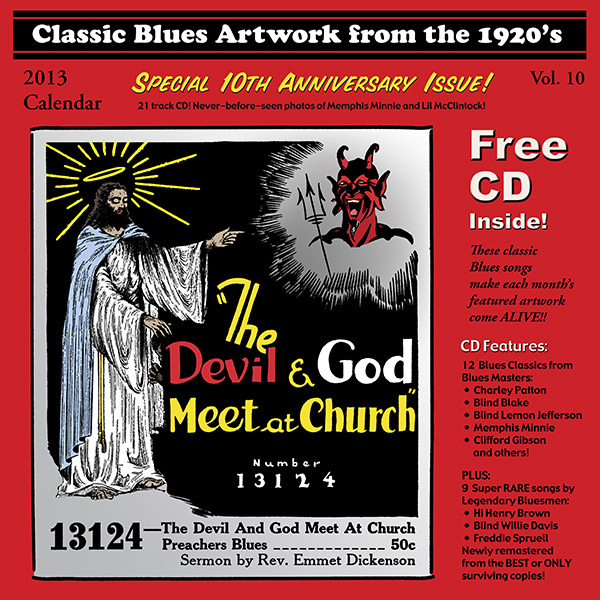 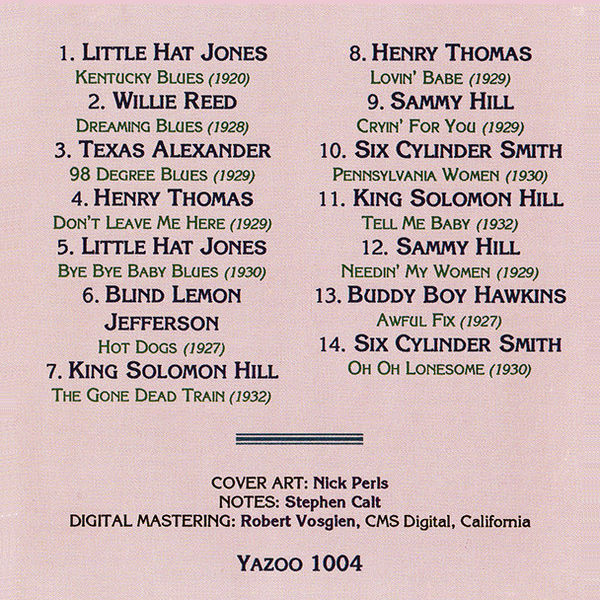 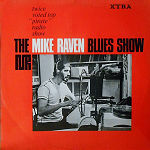 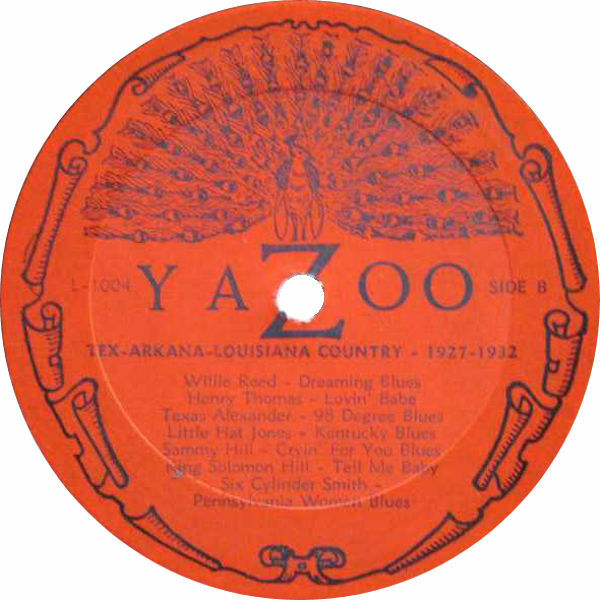 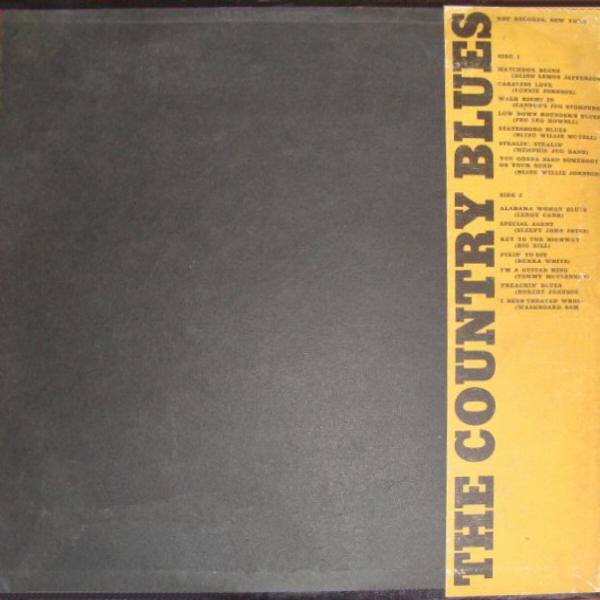 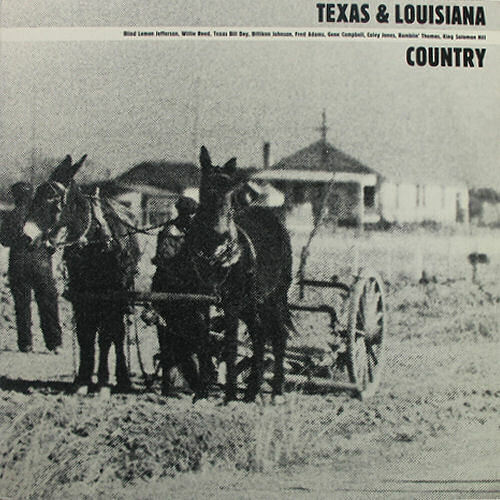 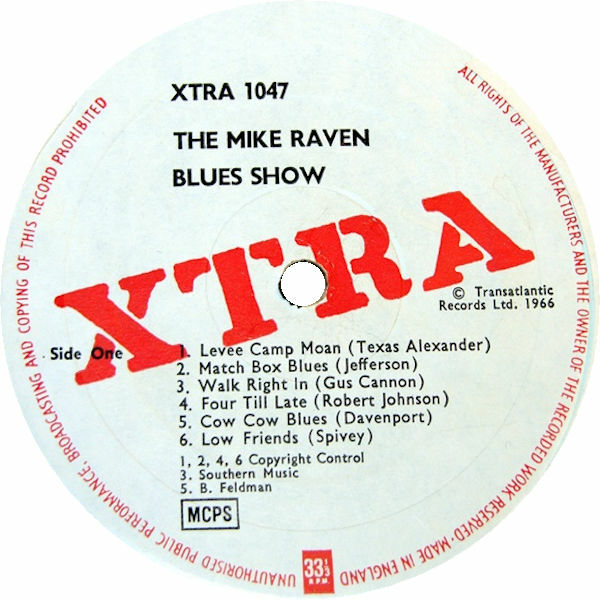 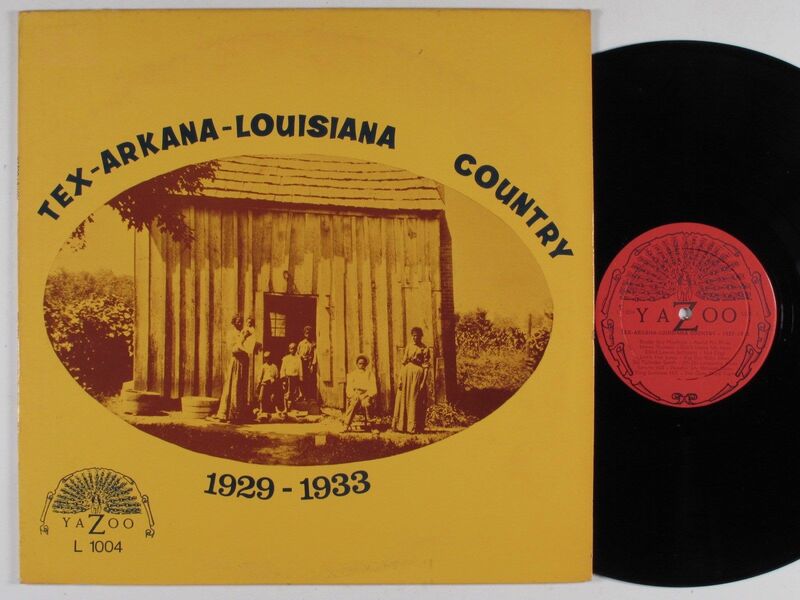 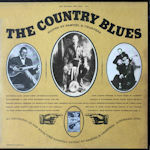 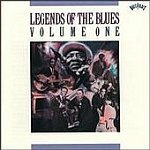 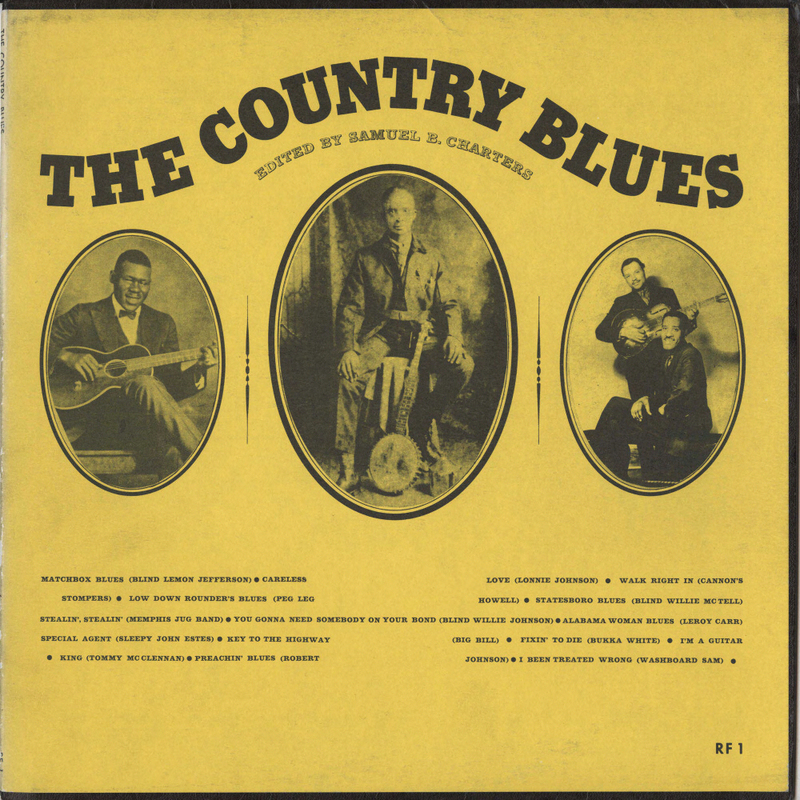 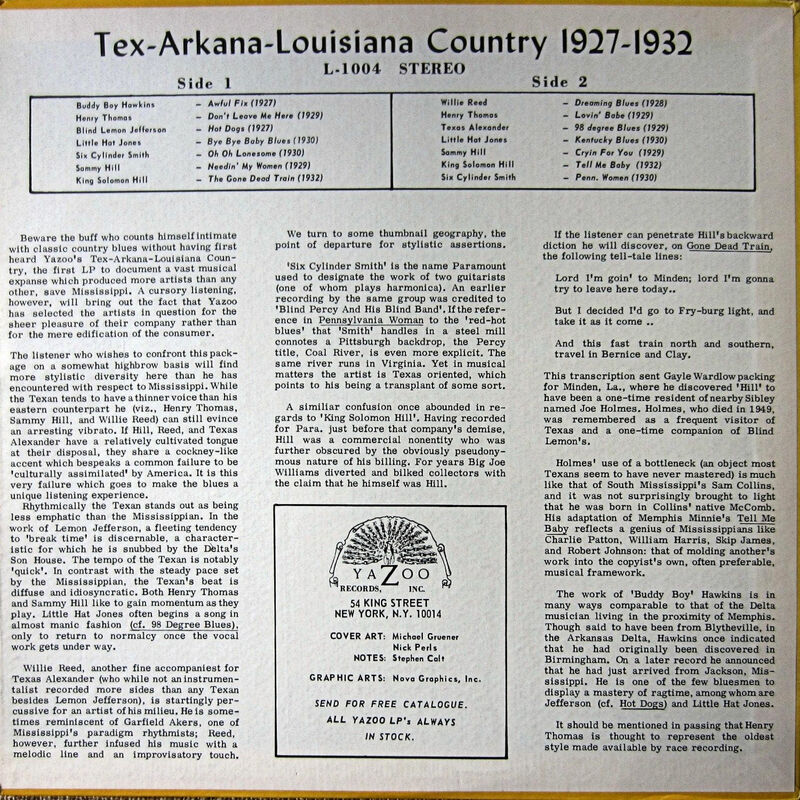 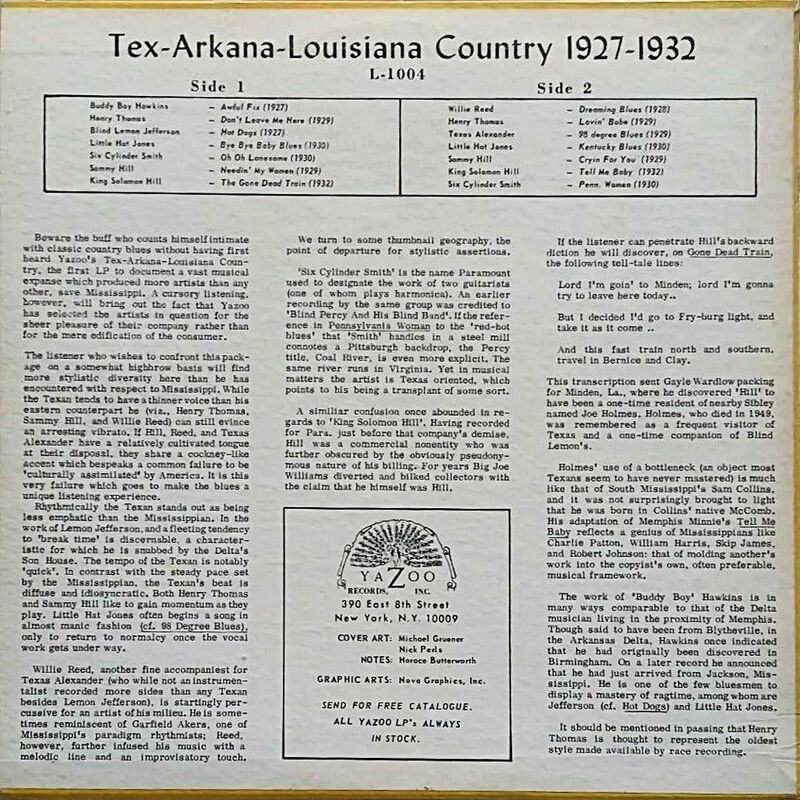 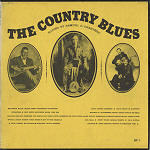 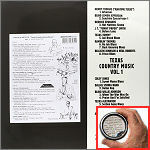 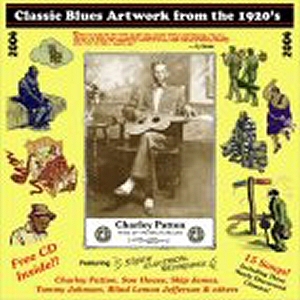 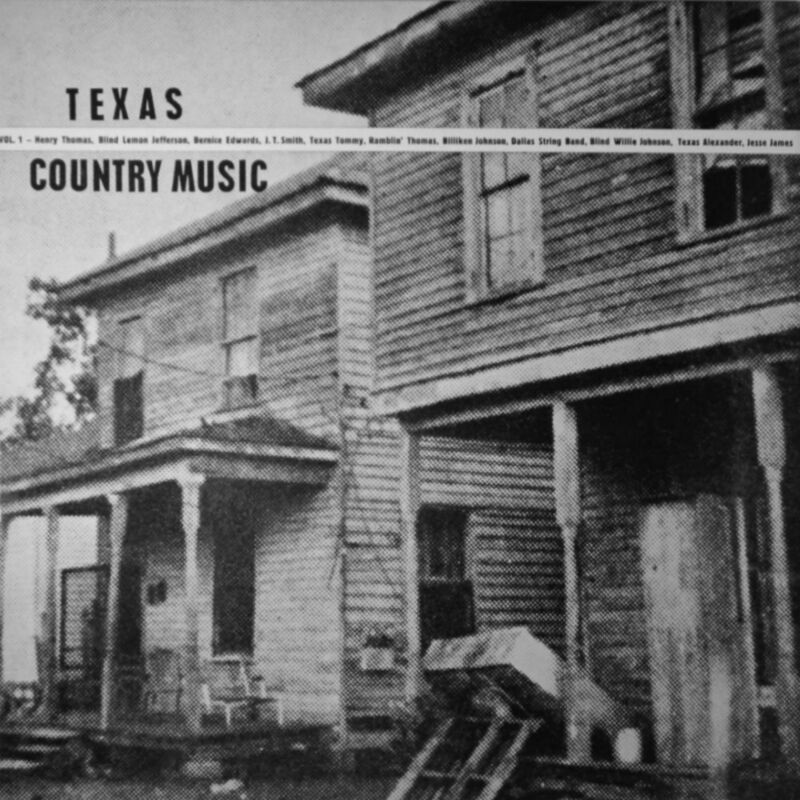 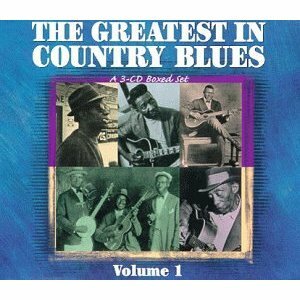 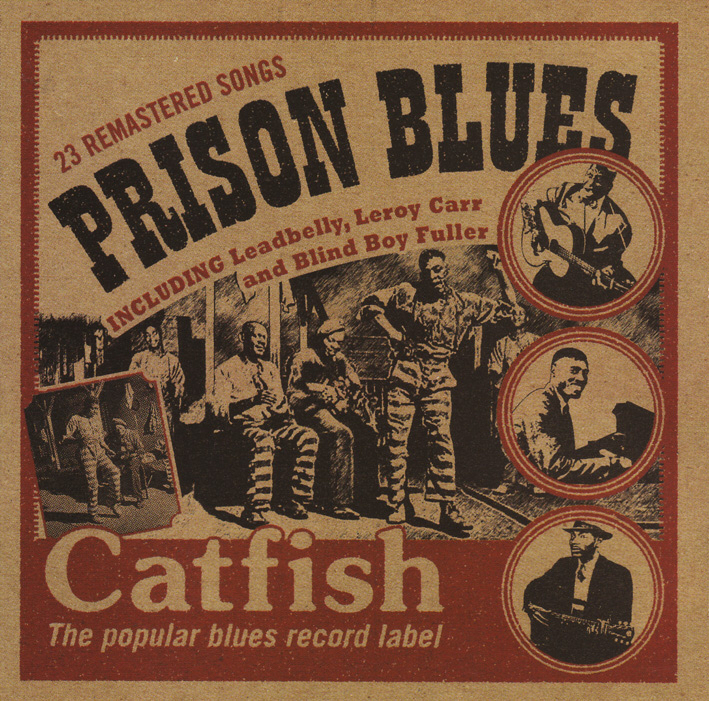 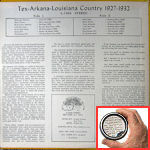 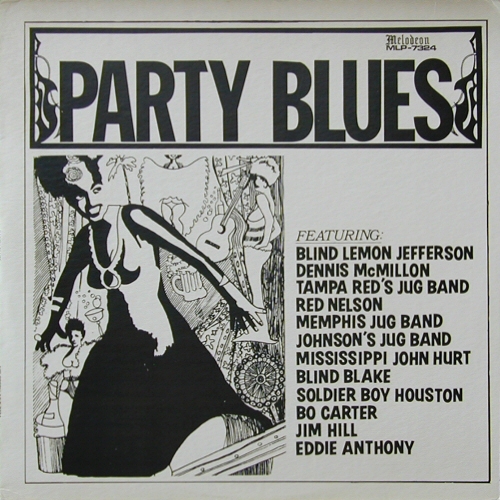 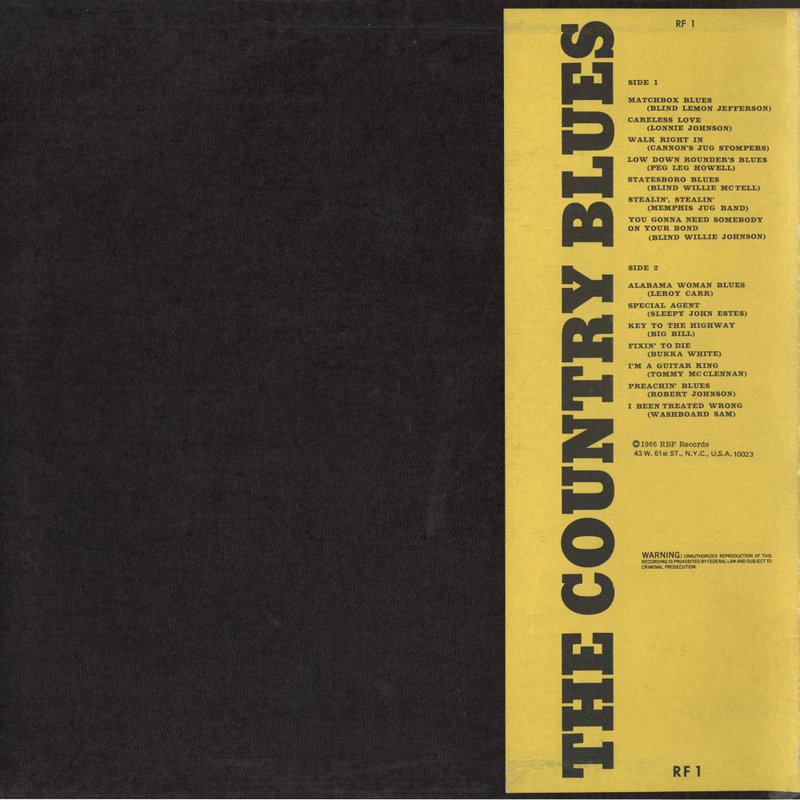 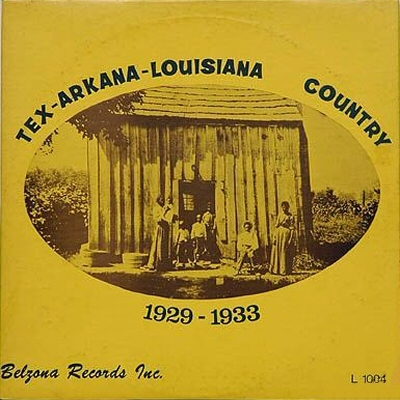 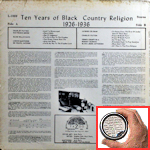 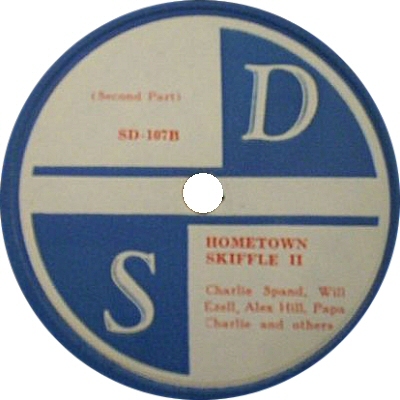 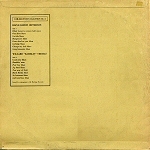 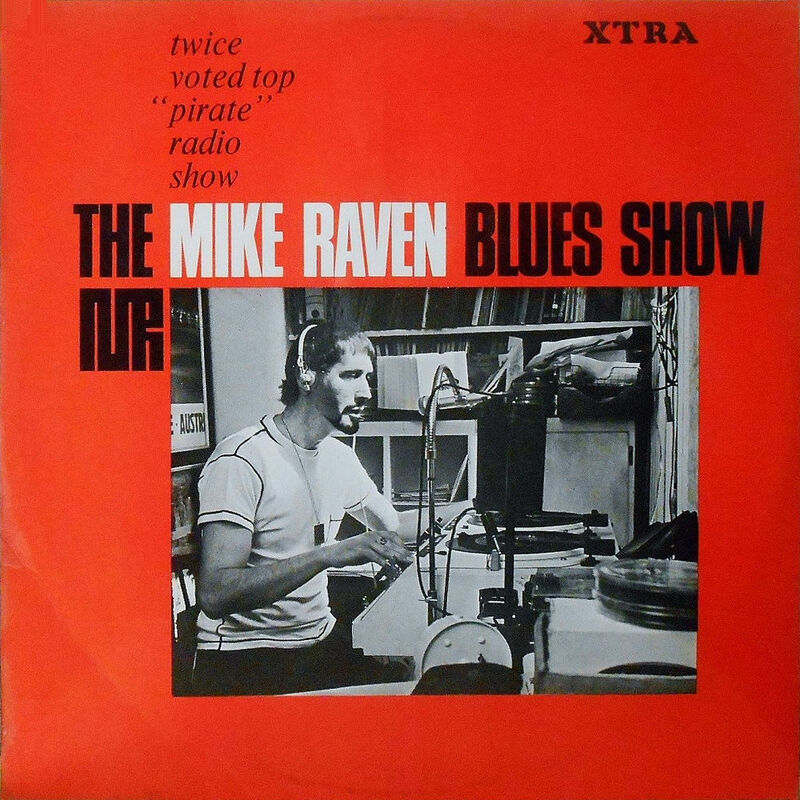 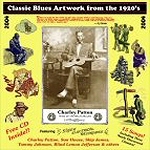 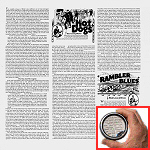 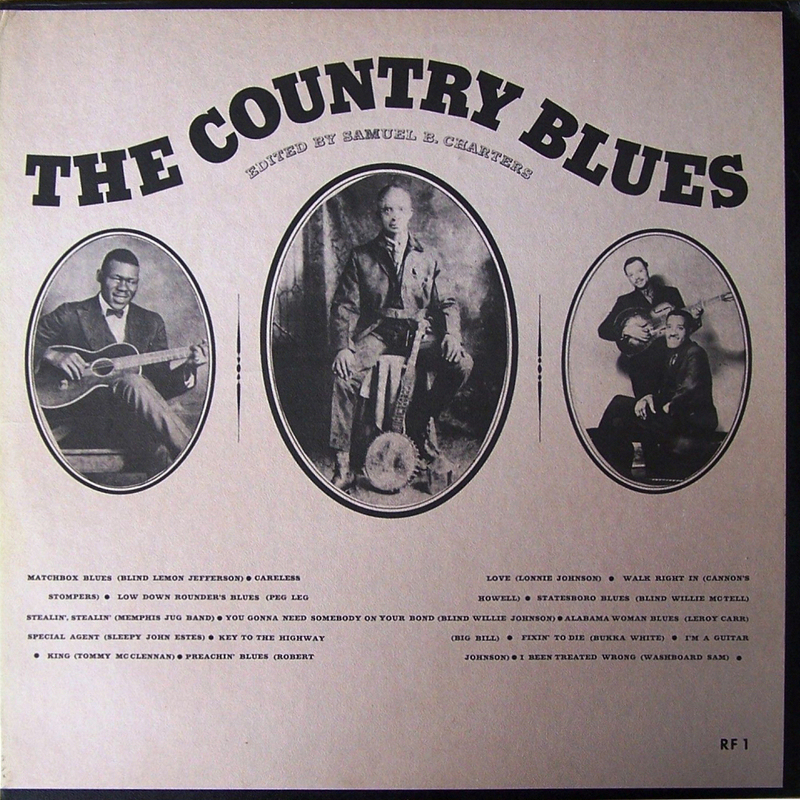 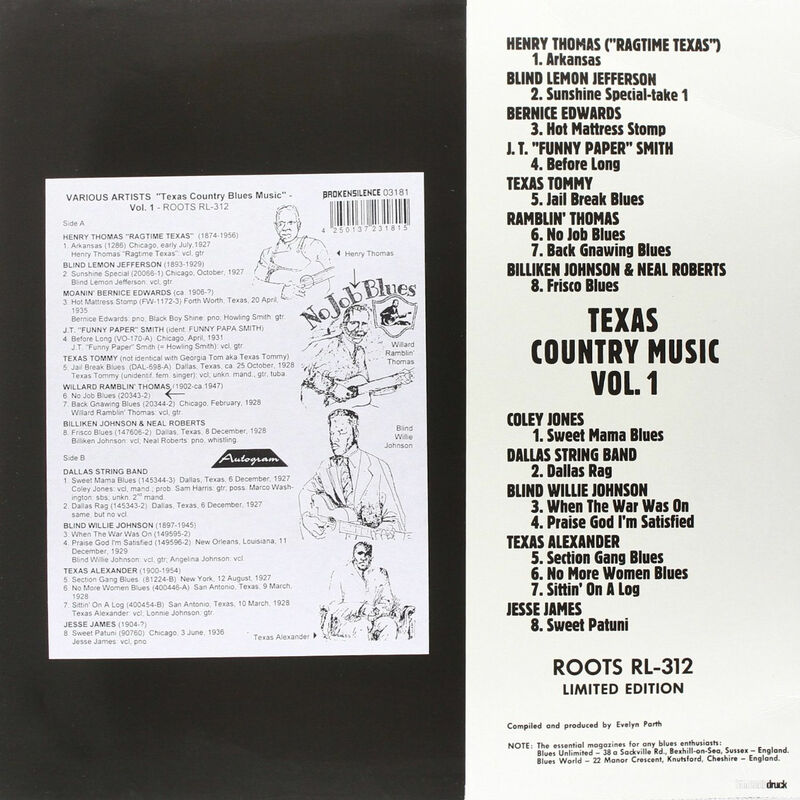 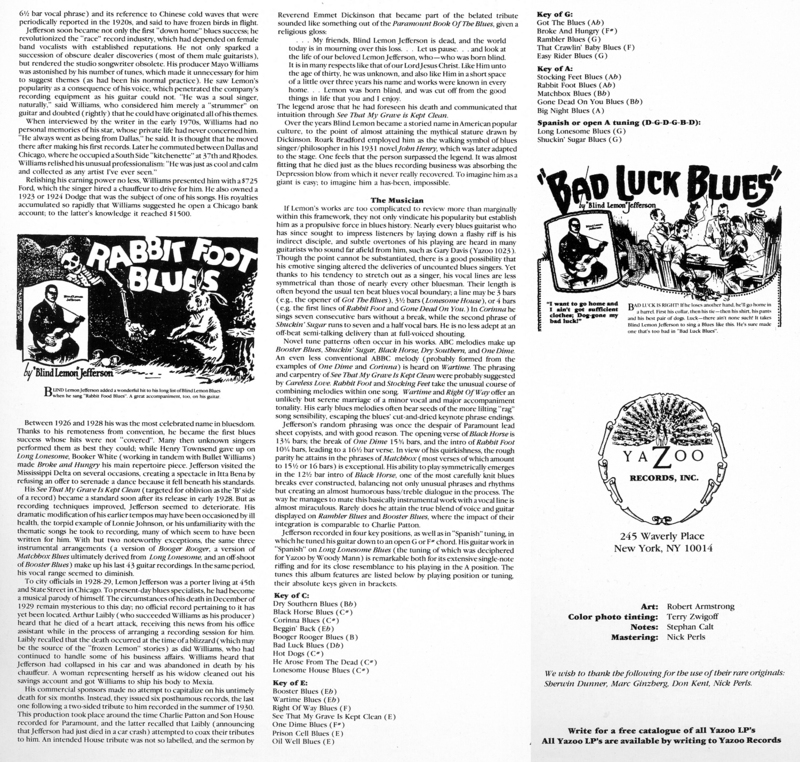 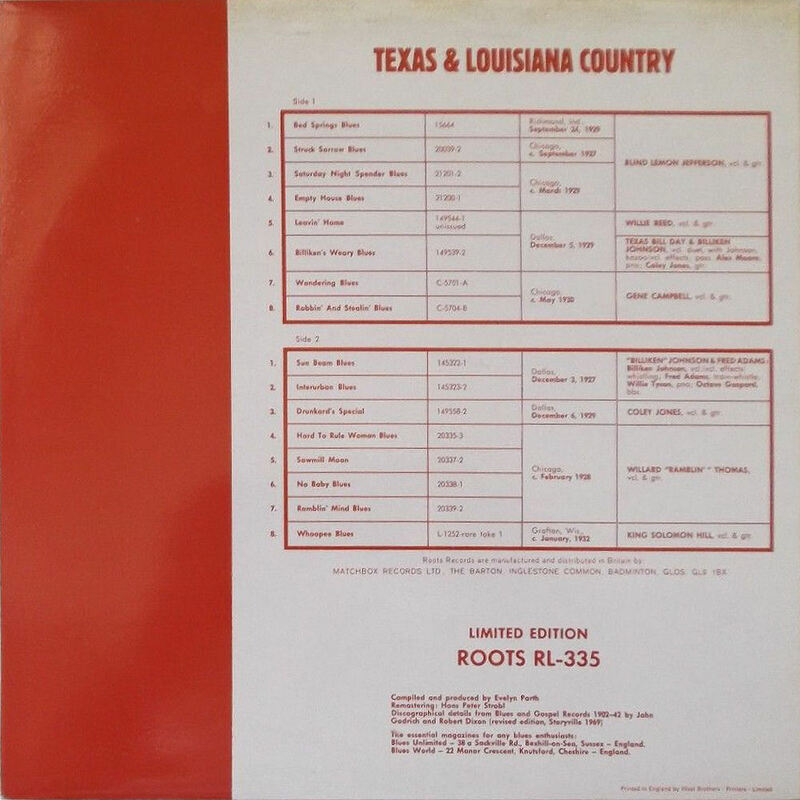 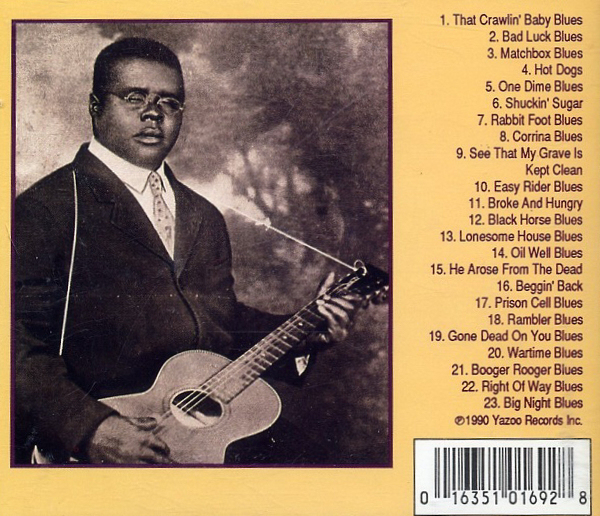 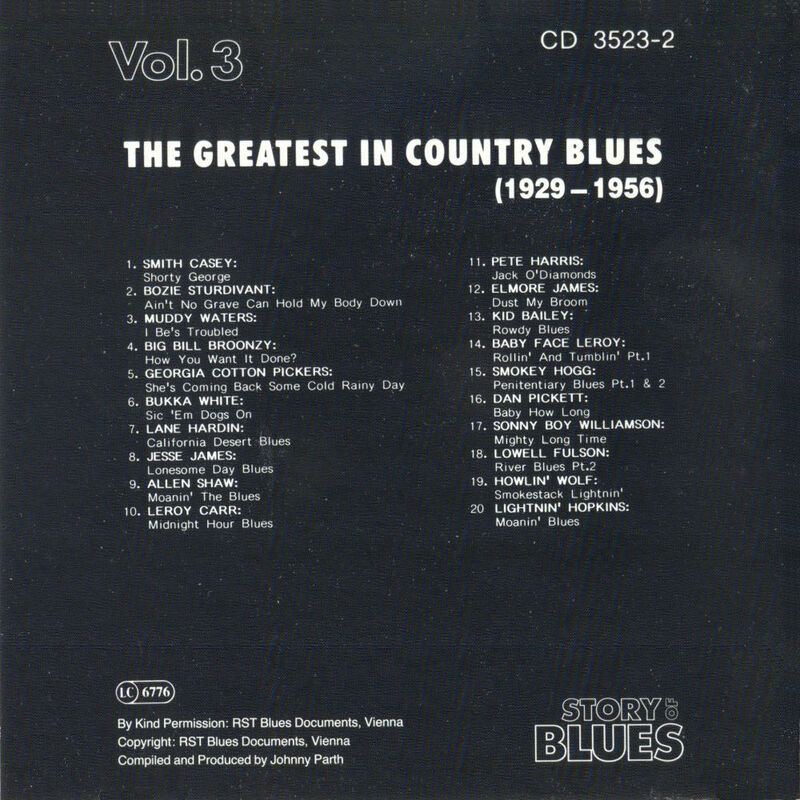 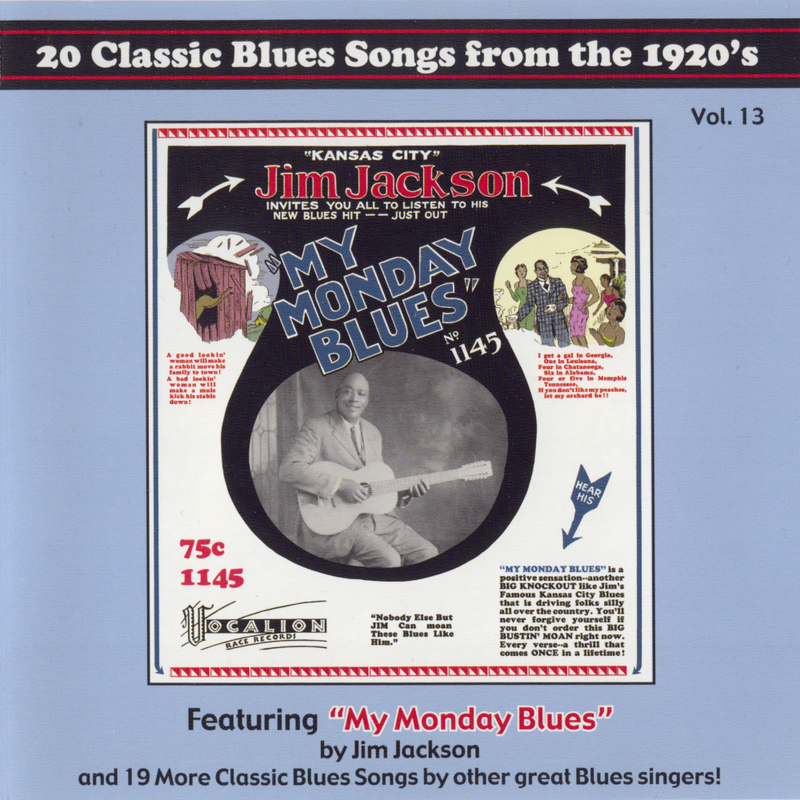 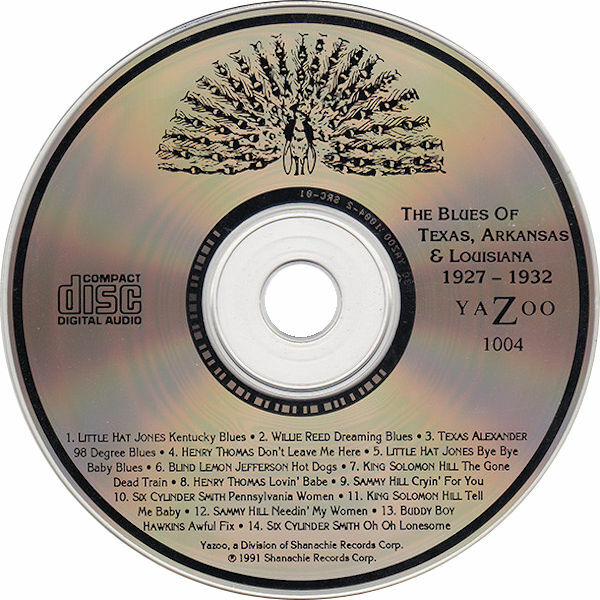 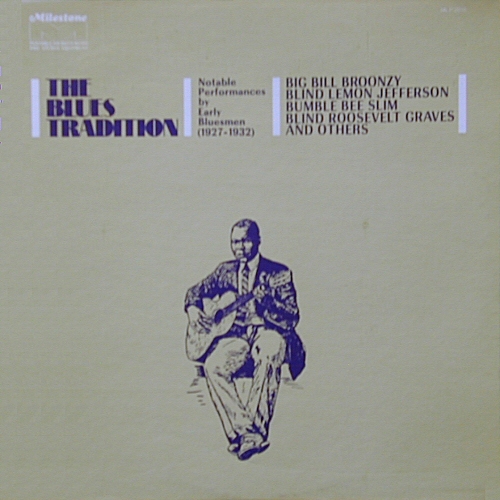 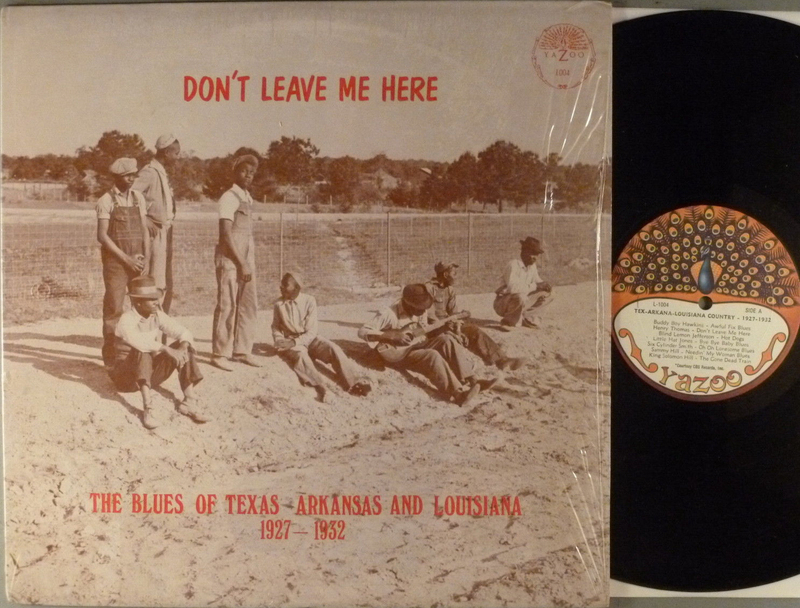 bonus disc "The Rough Guide to Country Blues Pioneers"